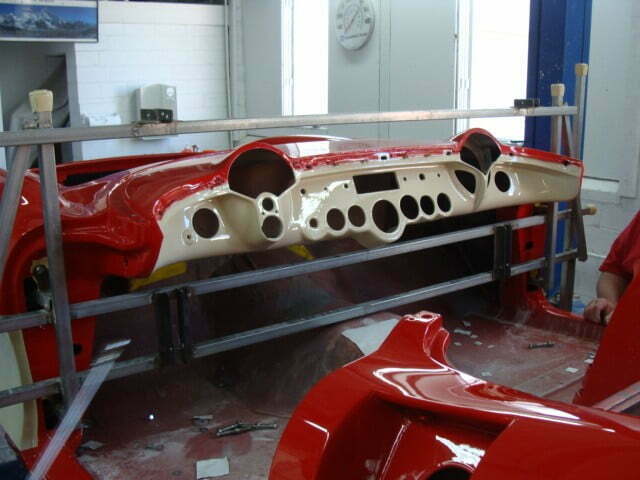 This was a very special project to us. 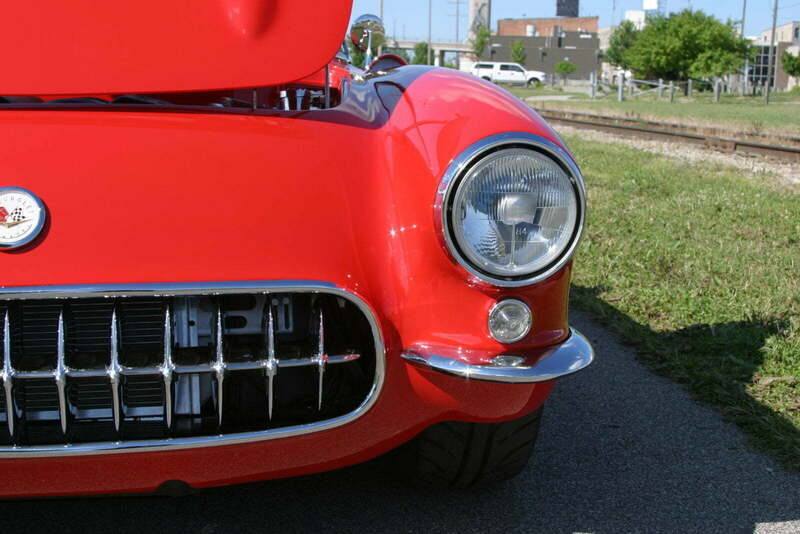 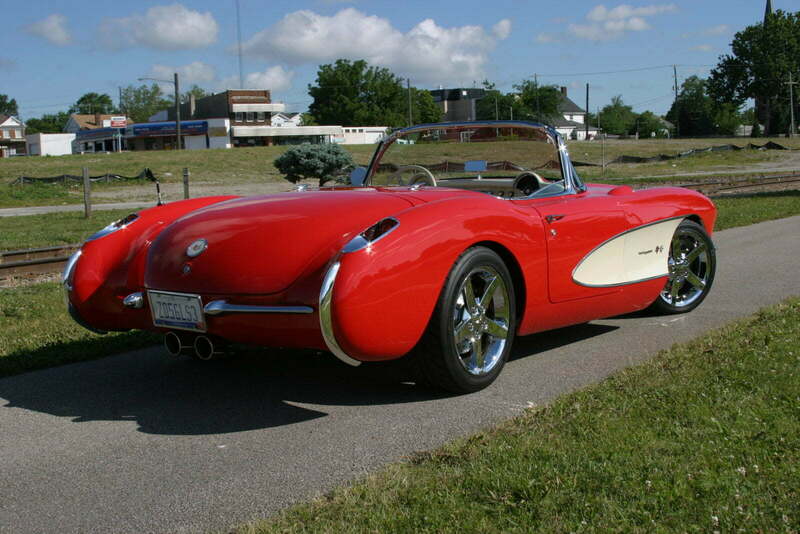 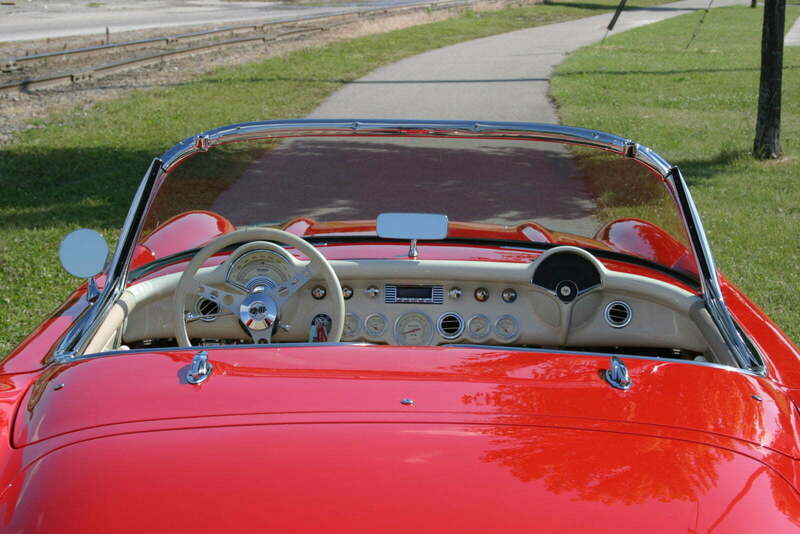 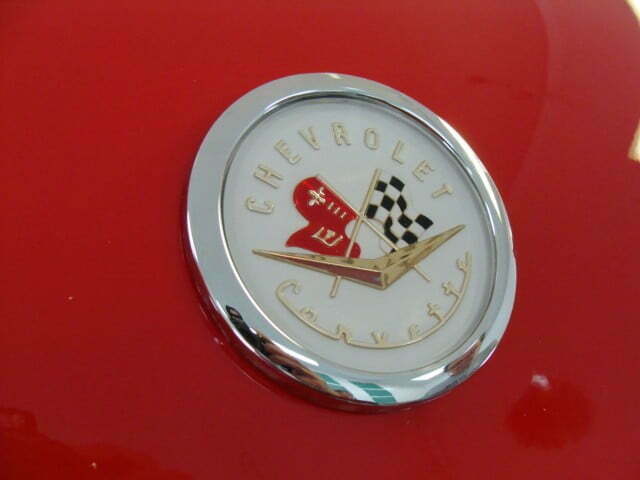 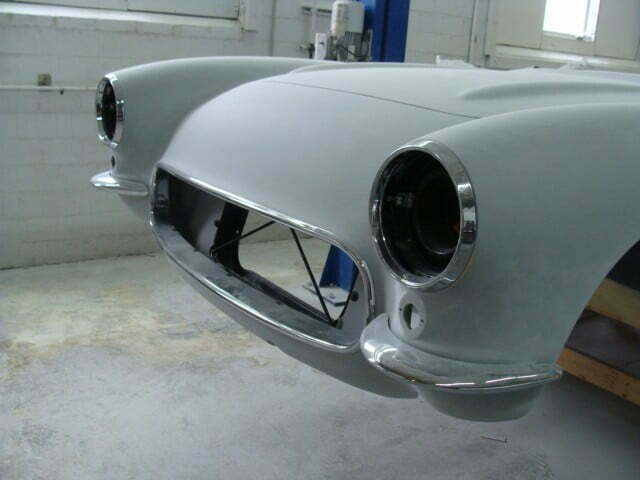 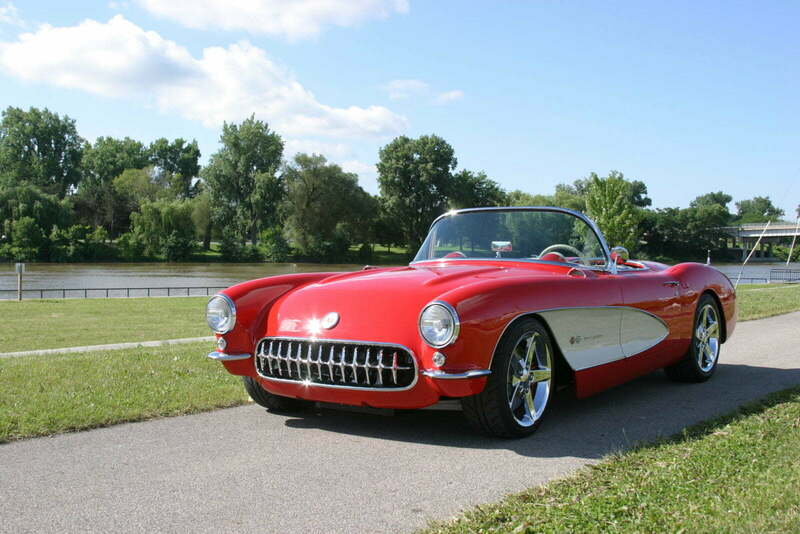 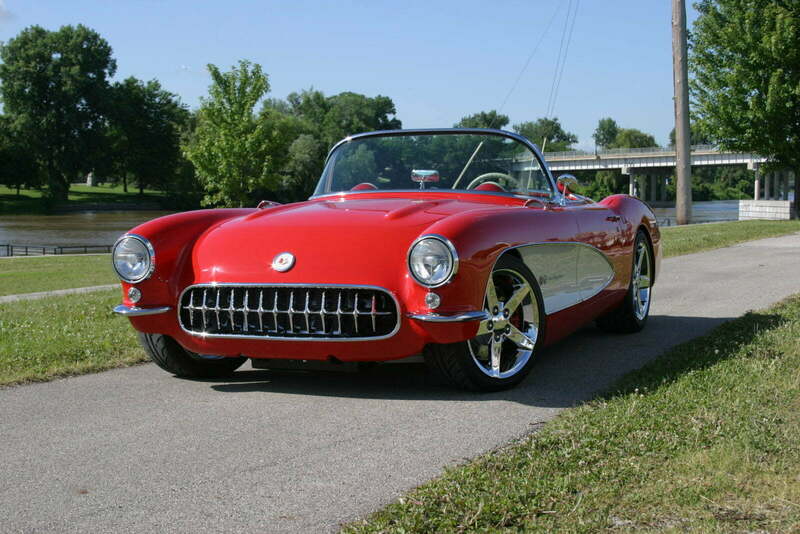 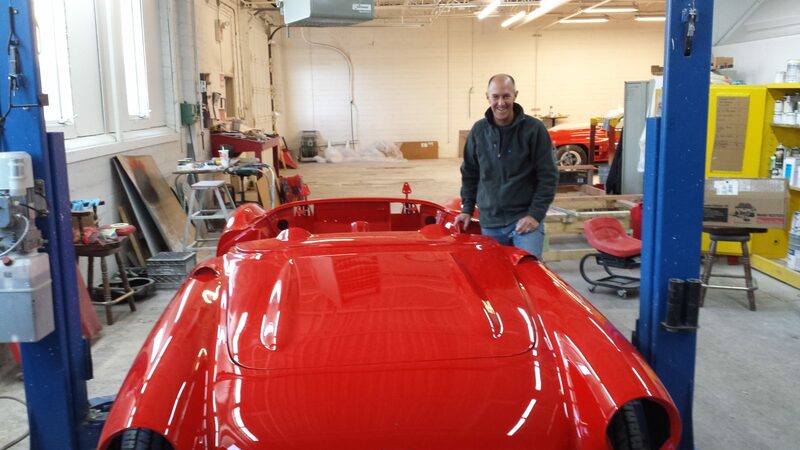 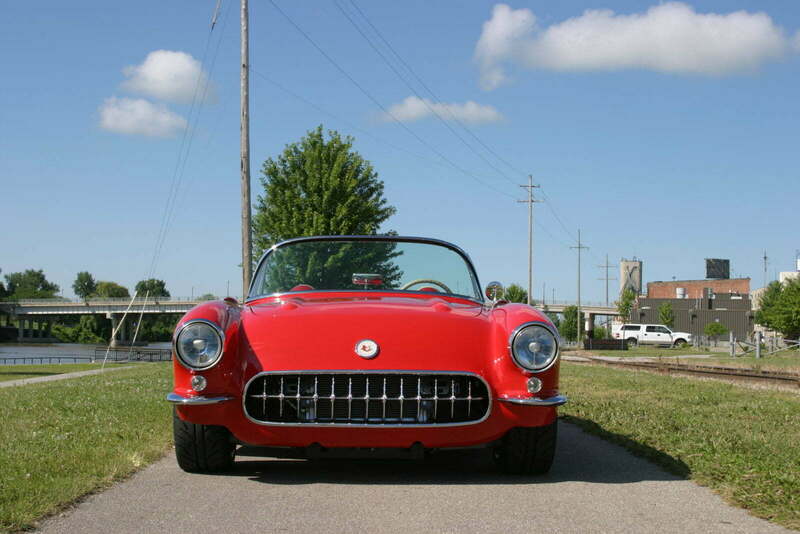 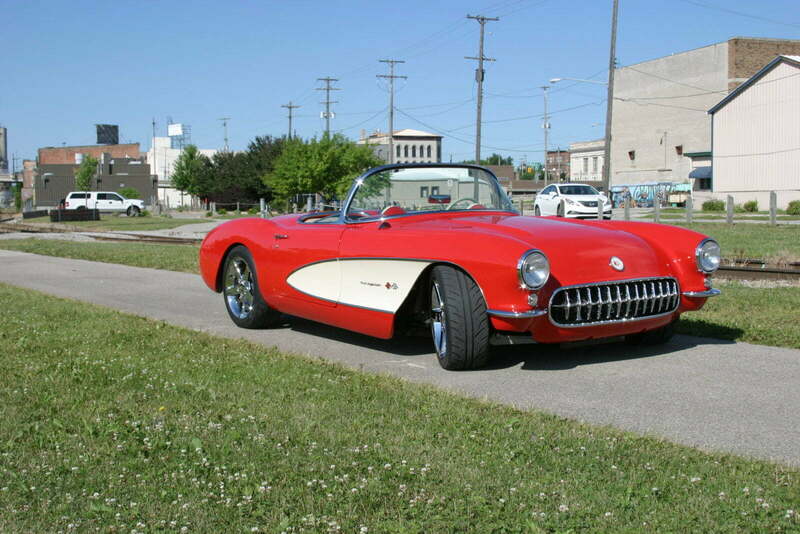 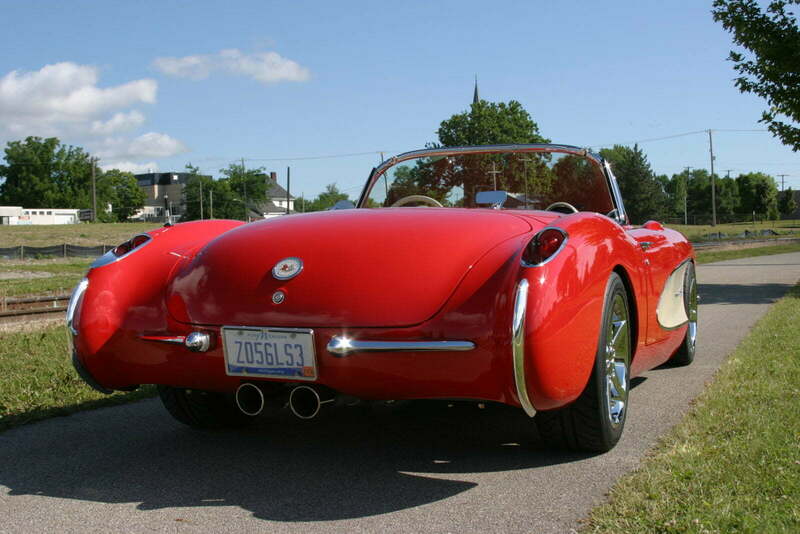 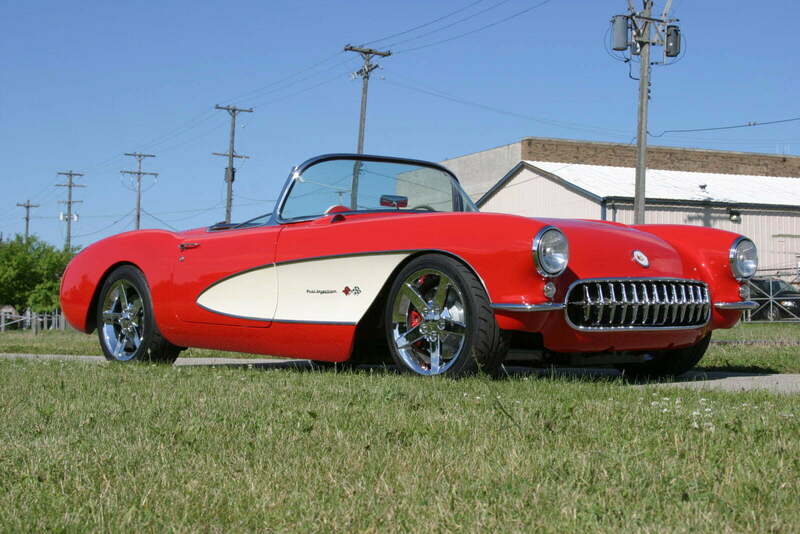 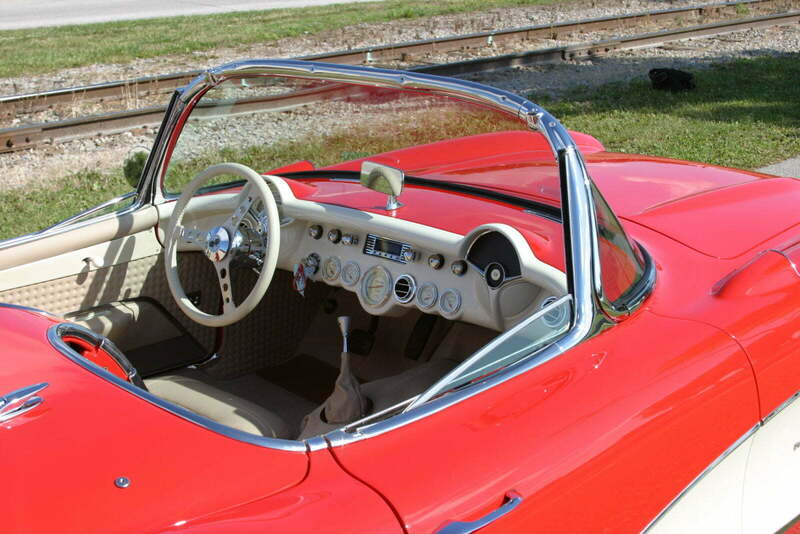 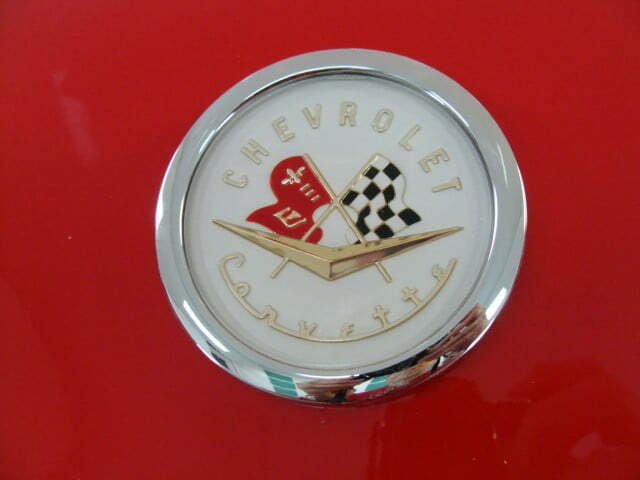 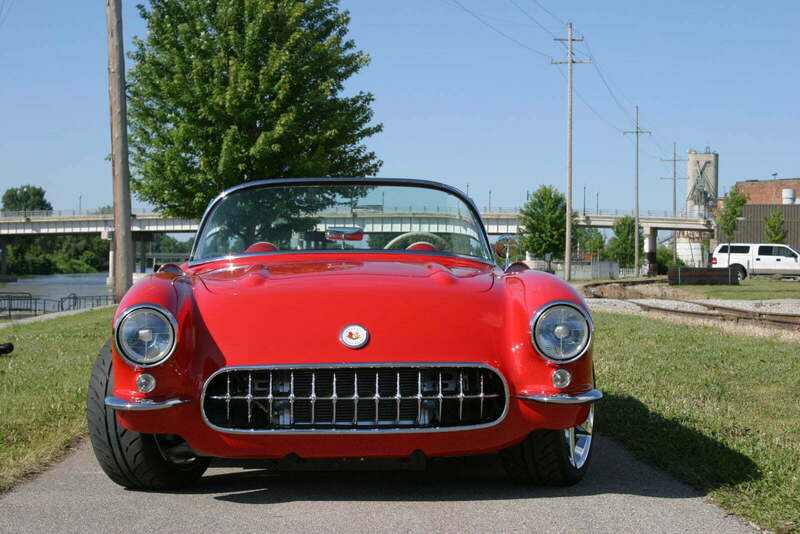 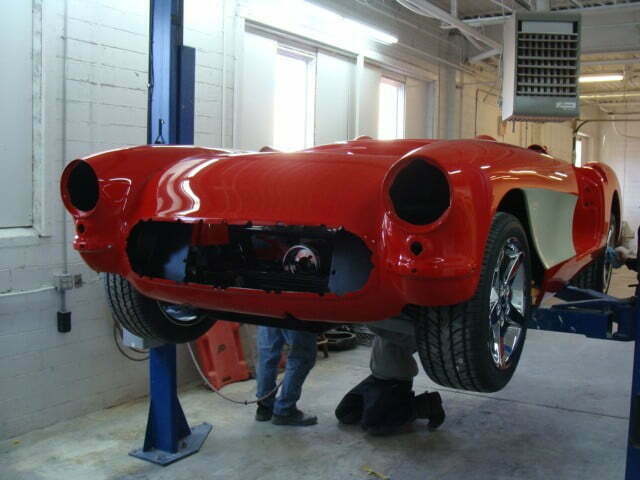 After doing restorations for decades, a gentleman came in and said that he recently purchased a 1956 Corvette and would like to make a RestoMod out of it. 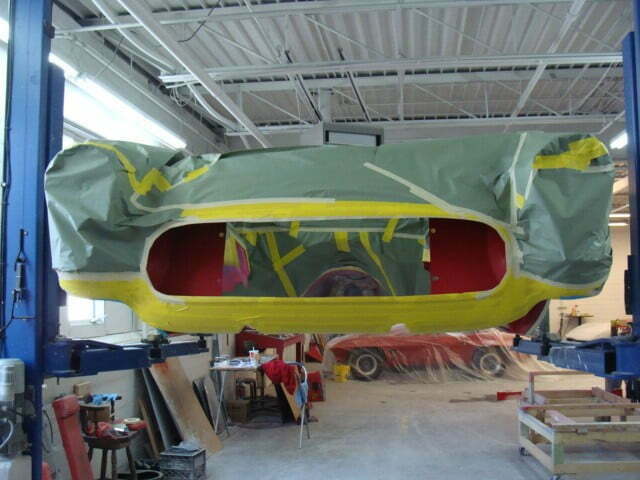 Our ears perked! 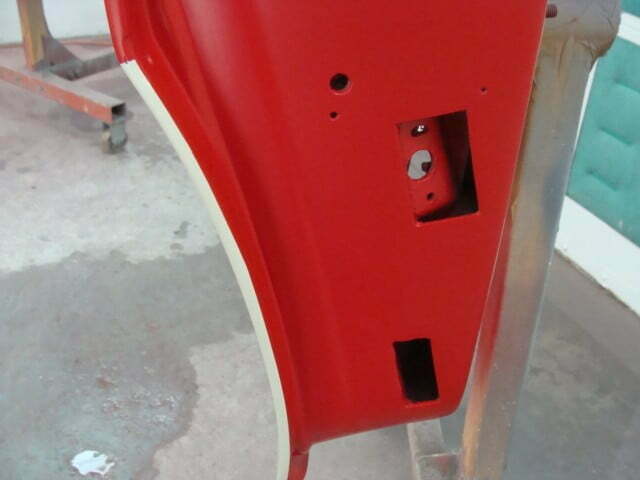 We have been dying to make a RestoMod! 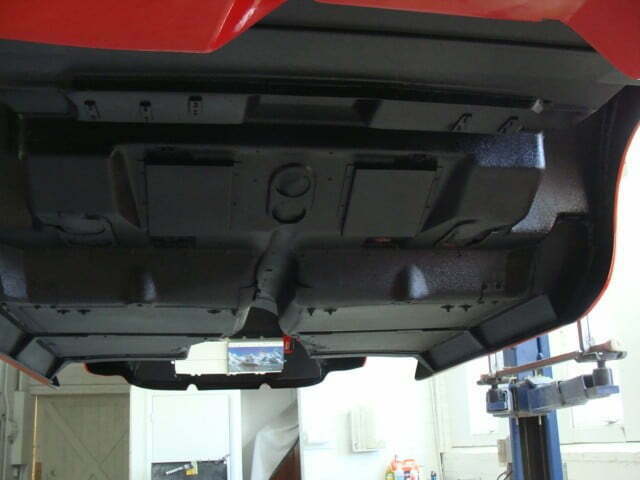 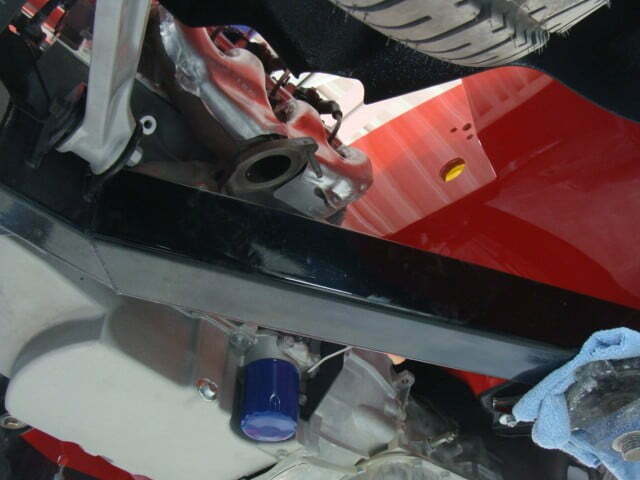 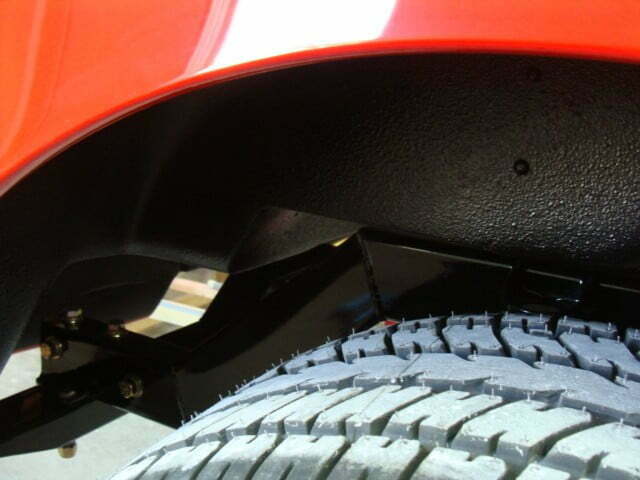 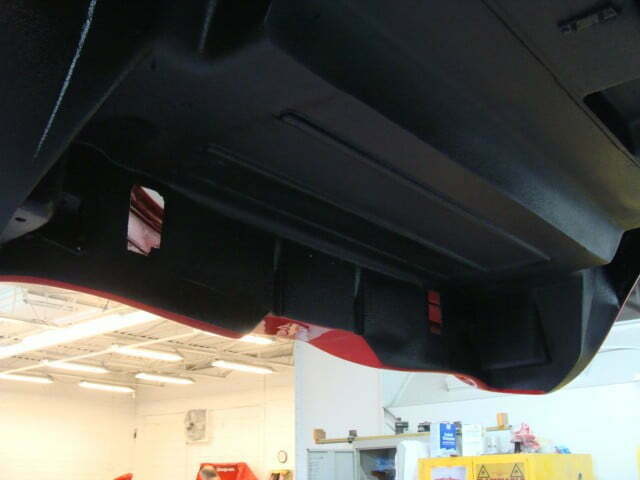 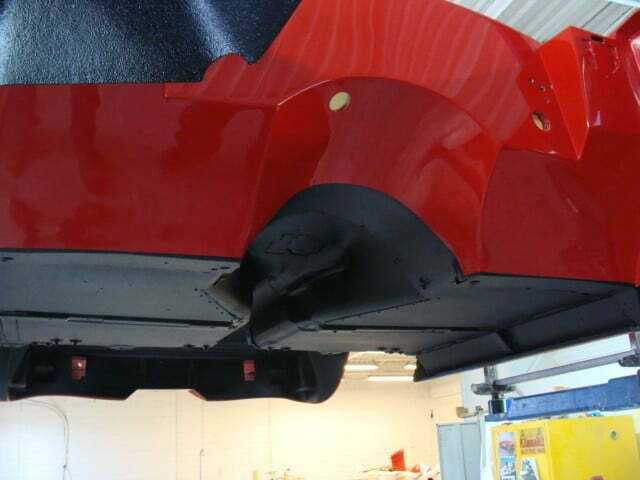 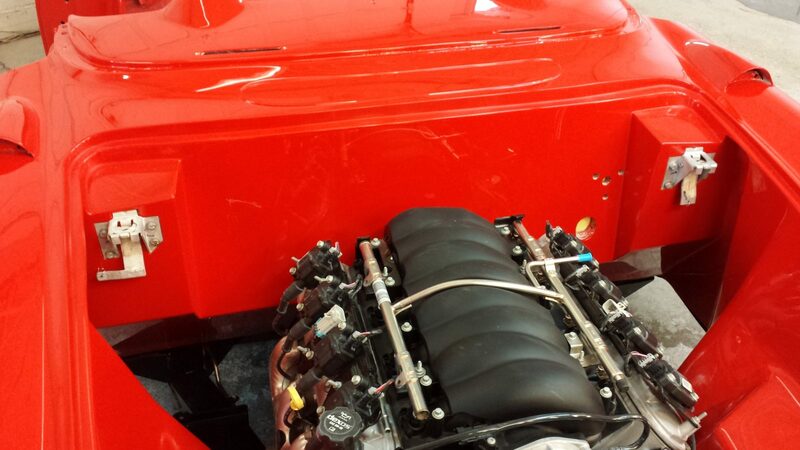 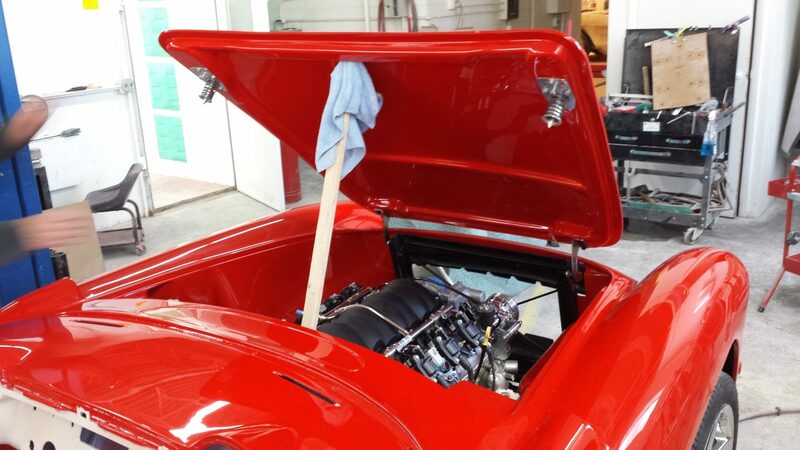 The owner made it clear that he wanted to perform all of the mechanical operations in his own garage but wanted us to perform all of the body work. 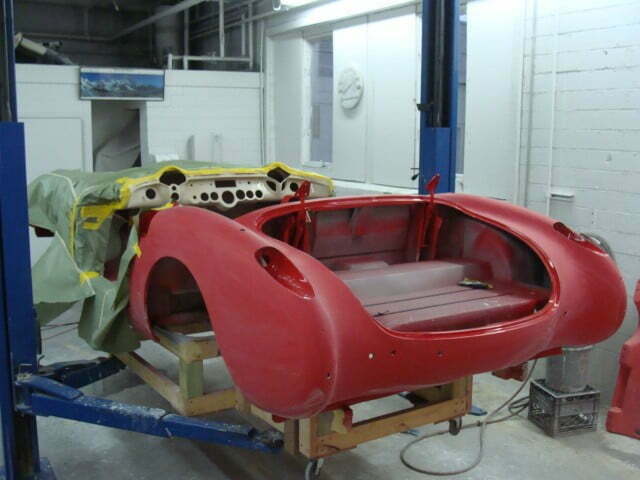 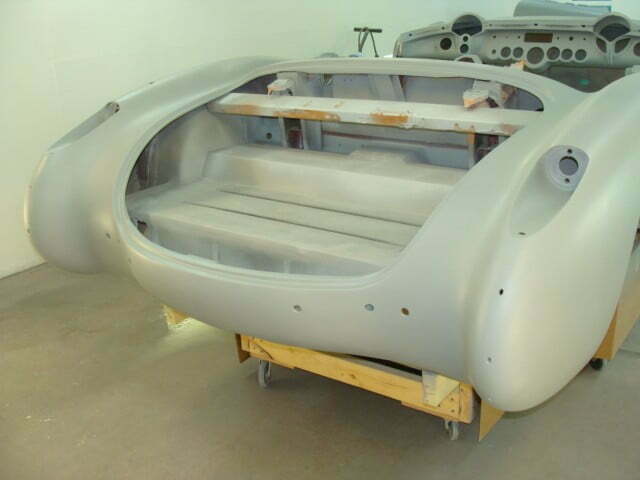 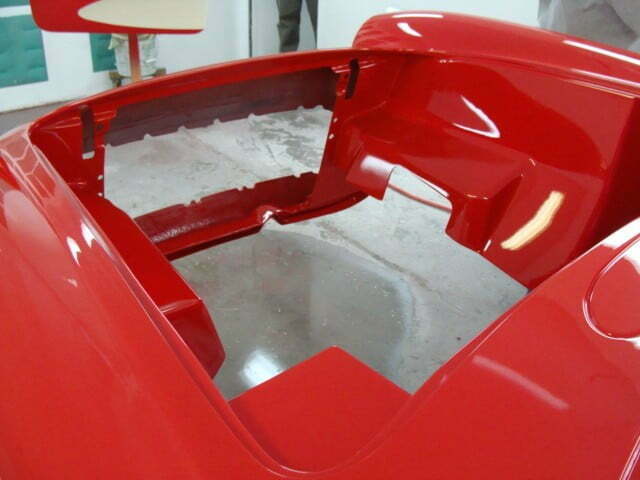 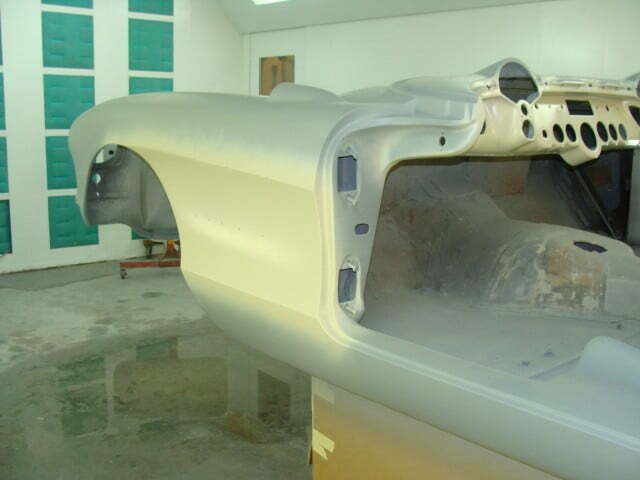 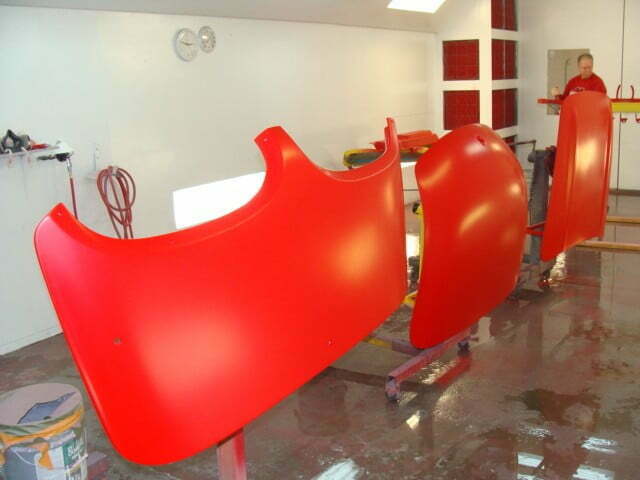 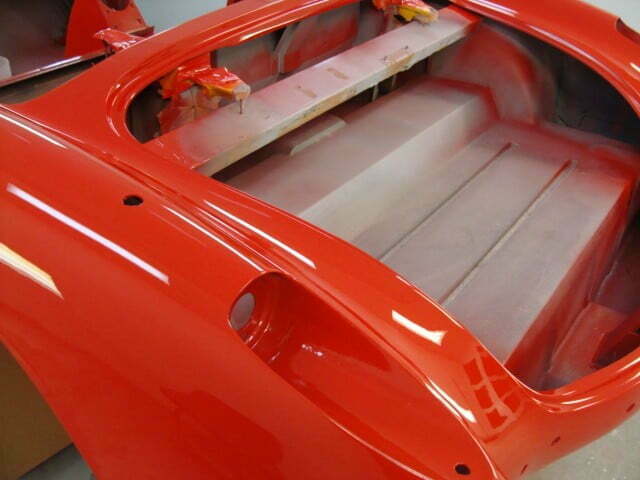 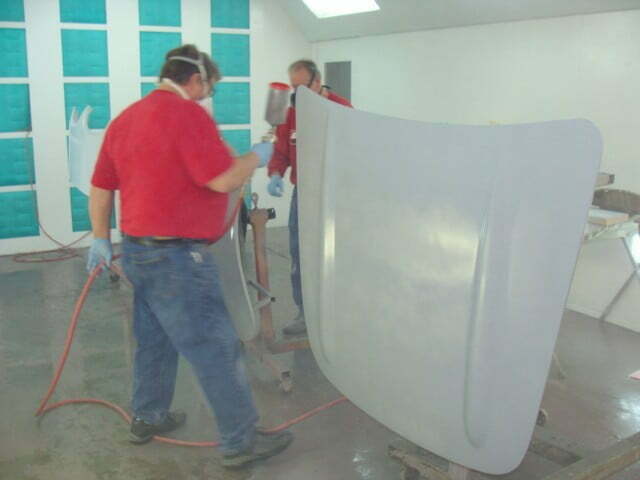 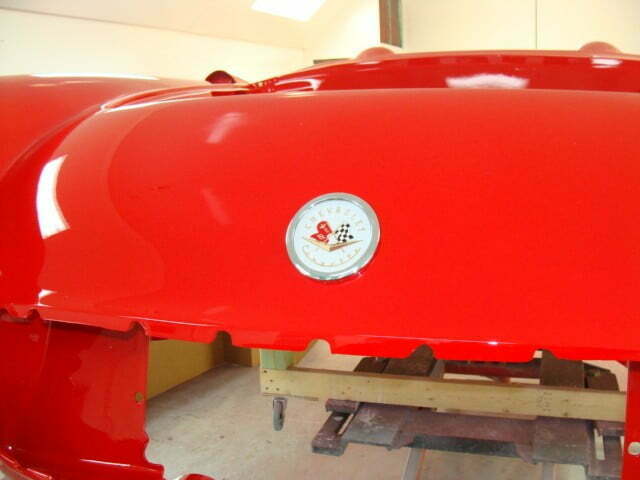 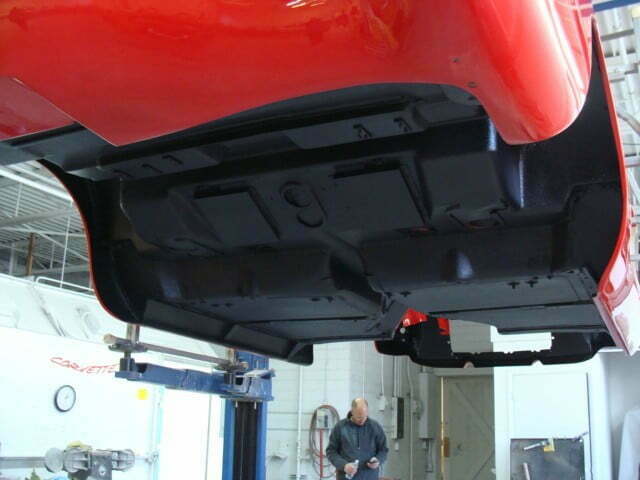 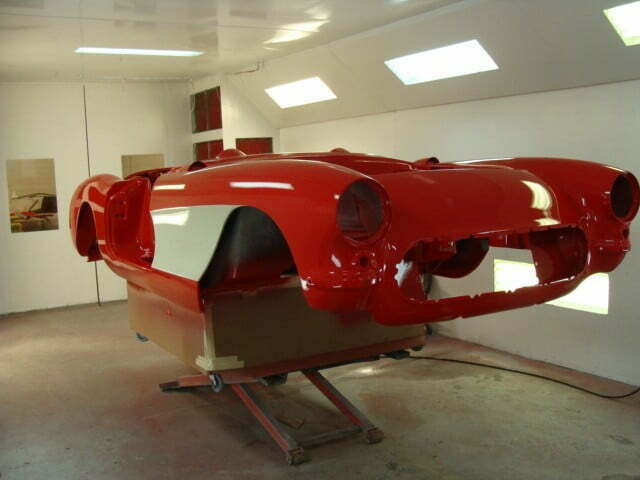 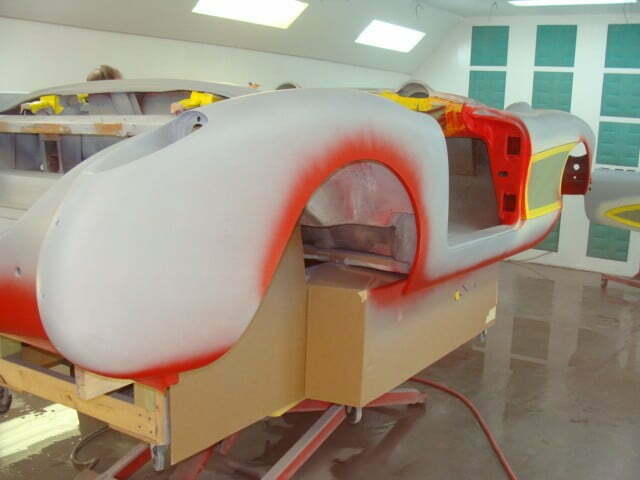 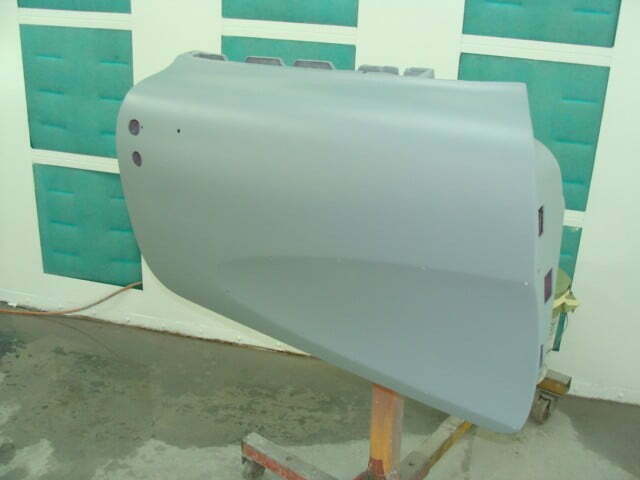 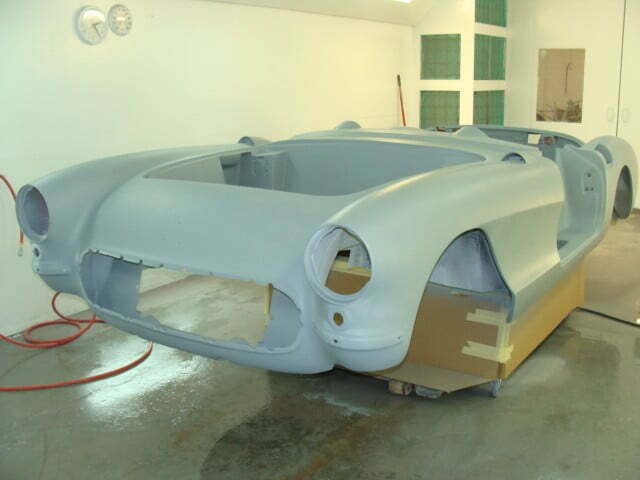 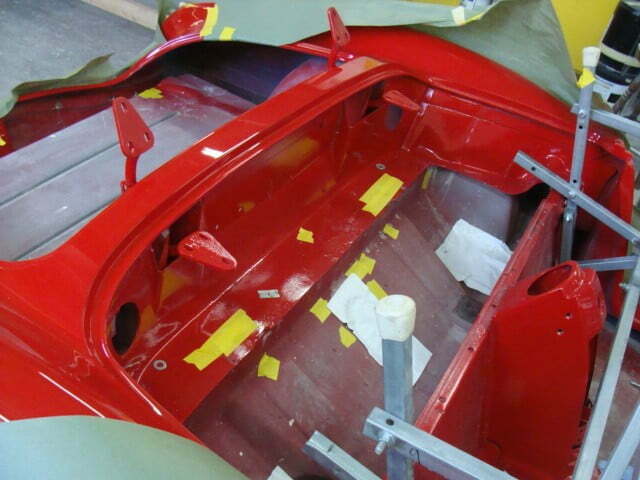 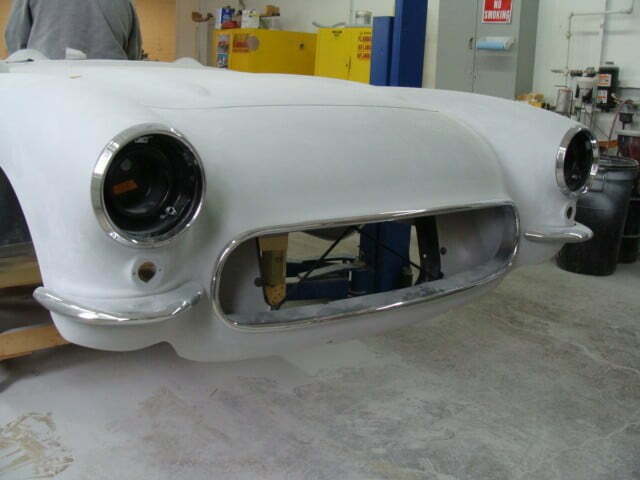 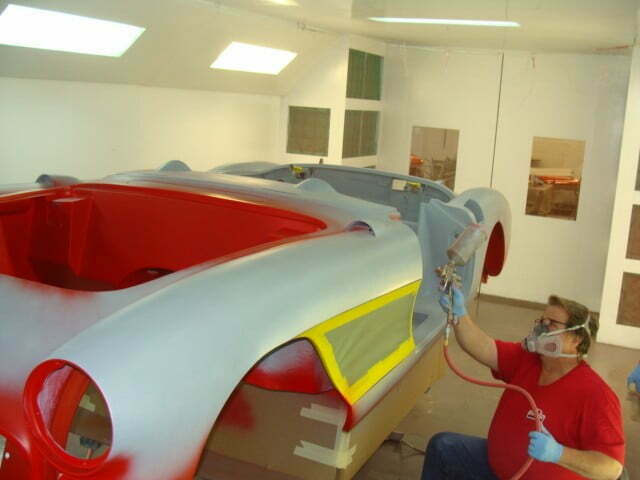 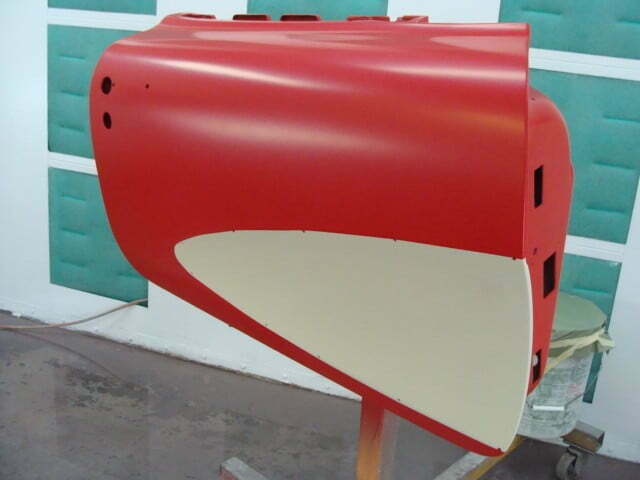 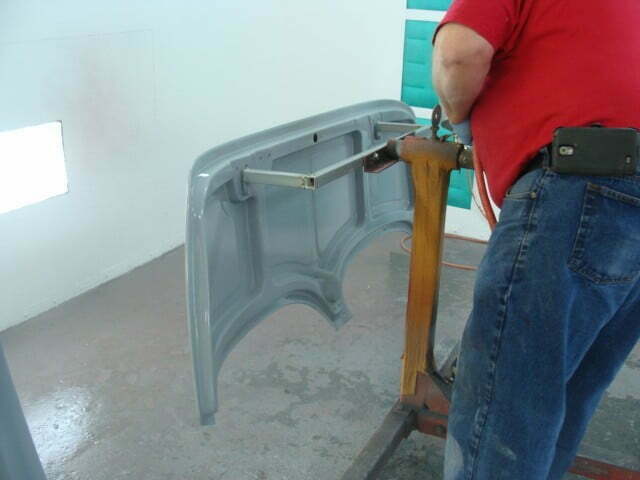 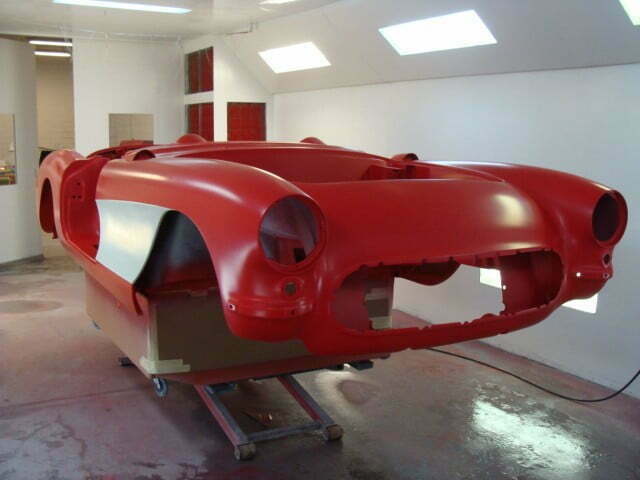 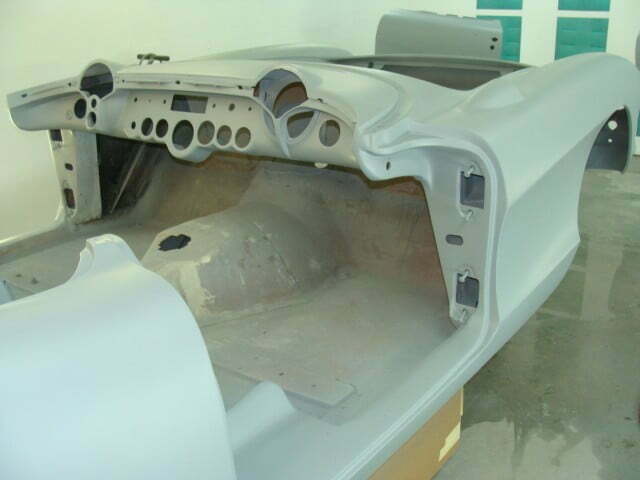 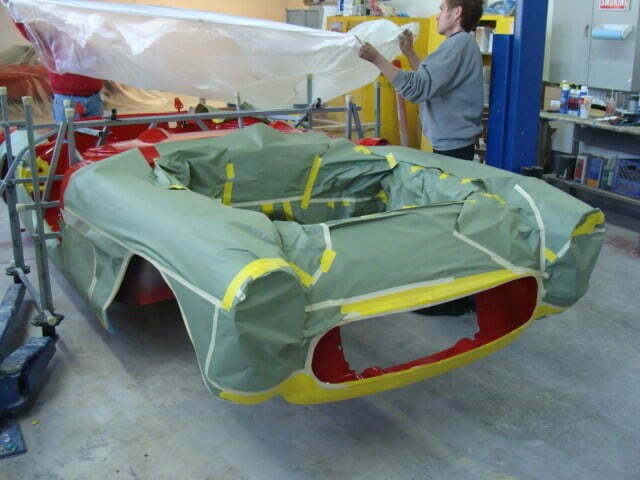 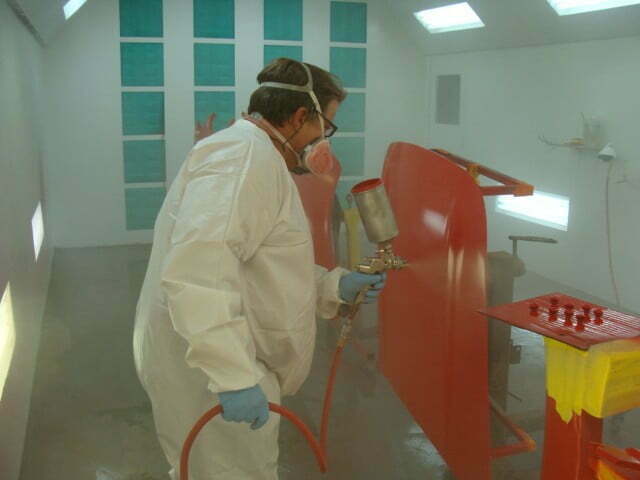 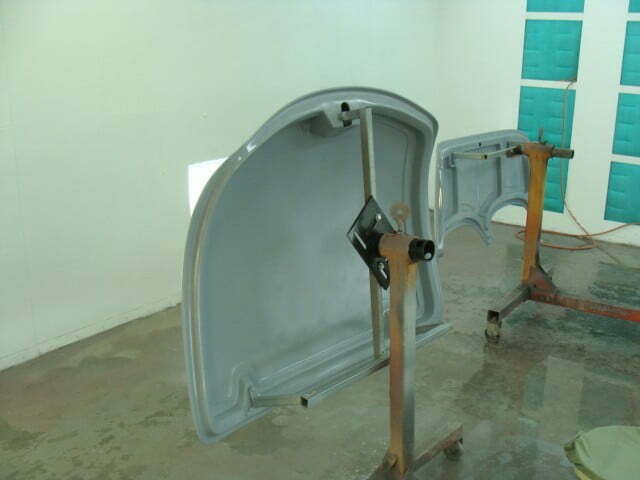 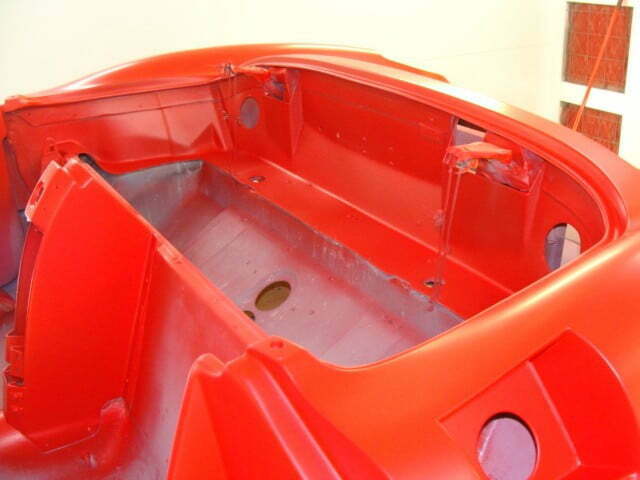 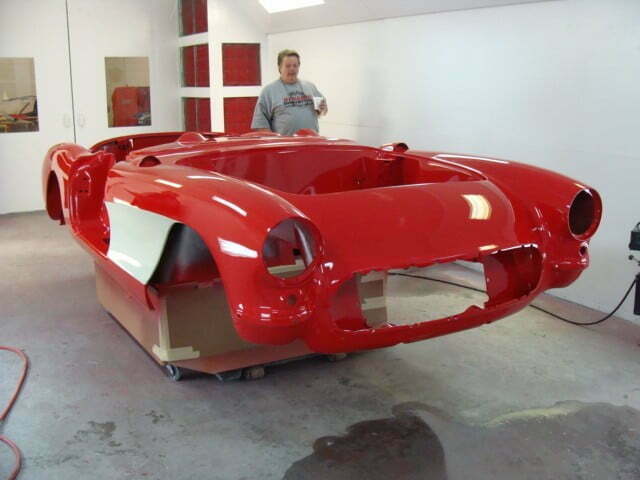 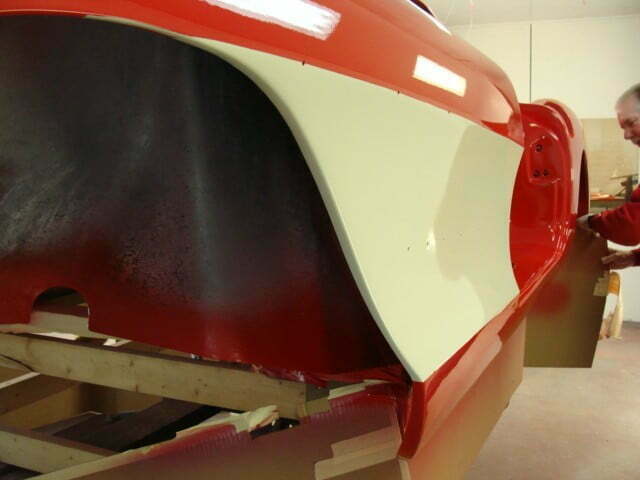 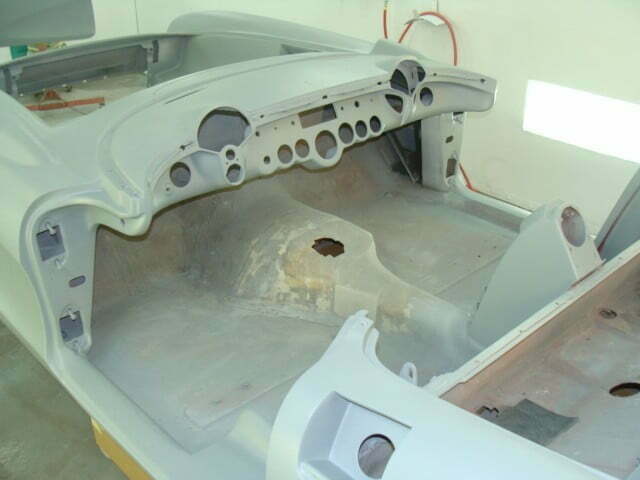 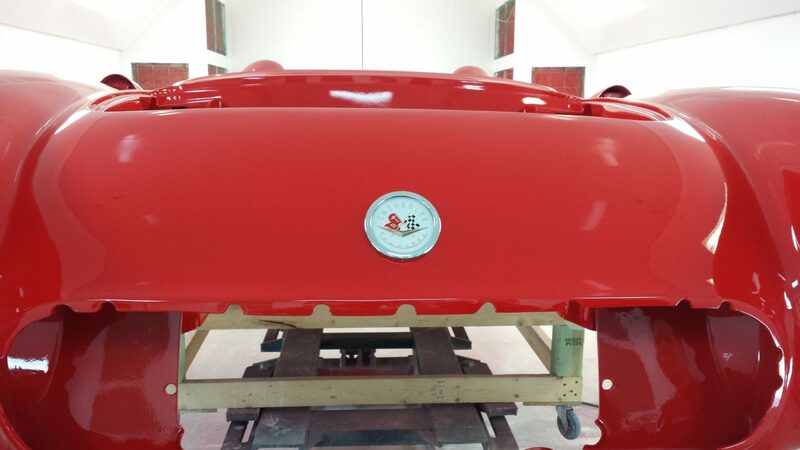 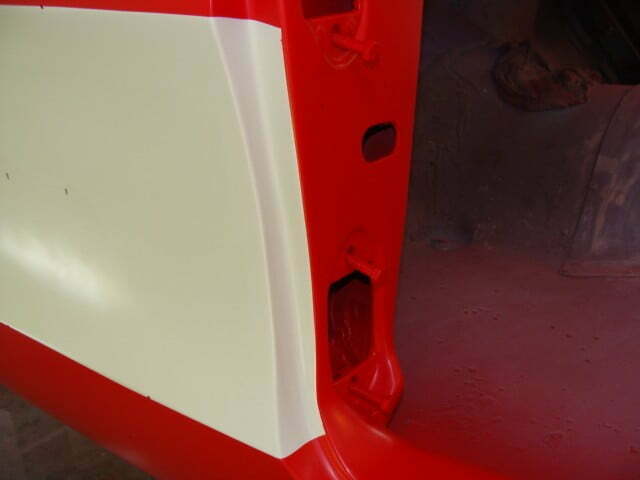 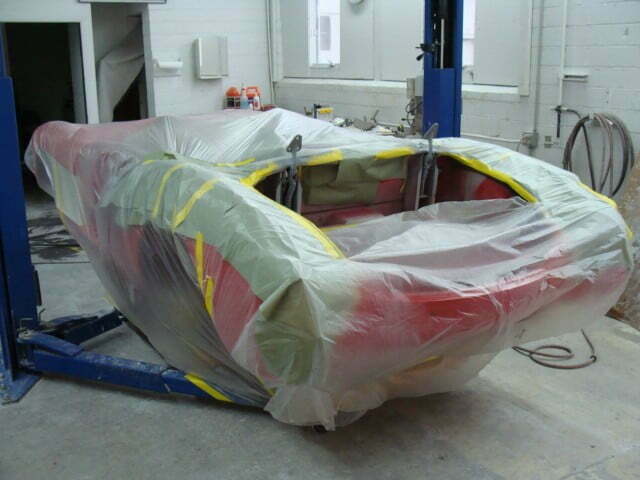 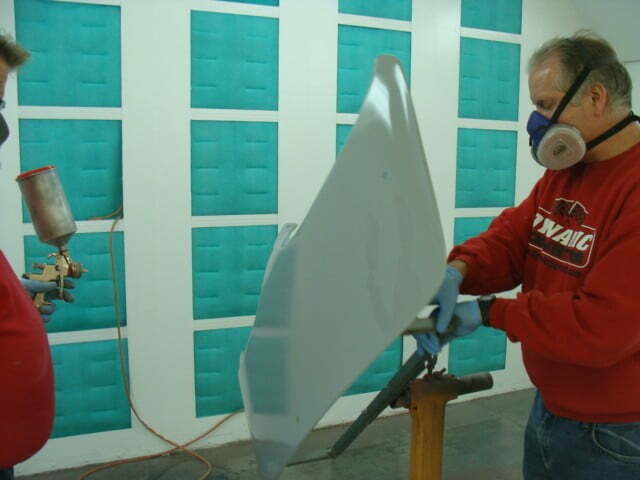 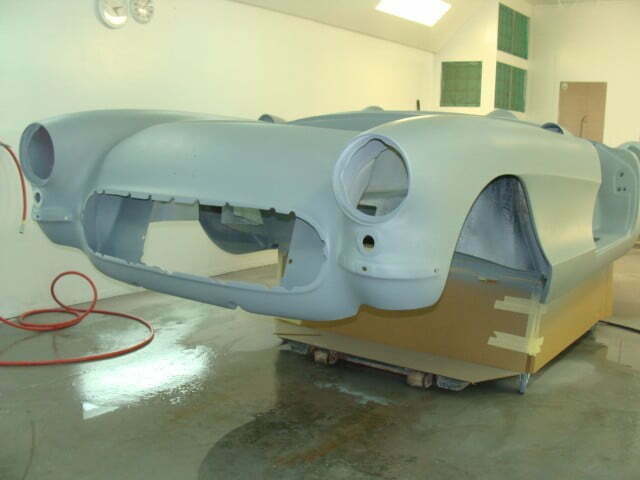 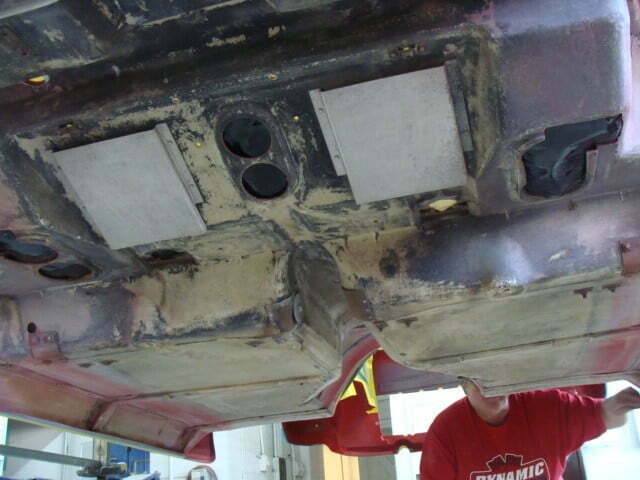 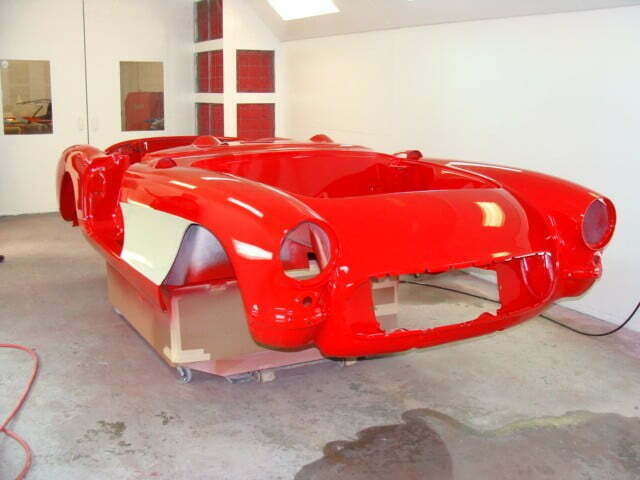 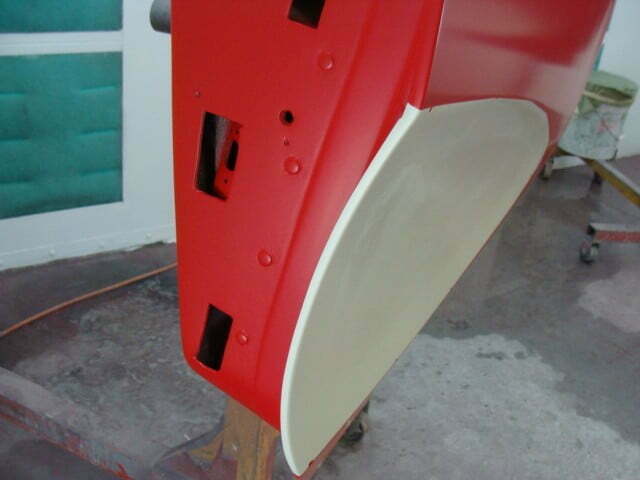 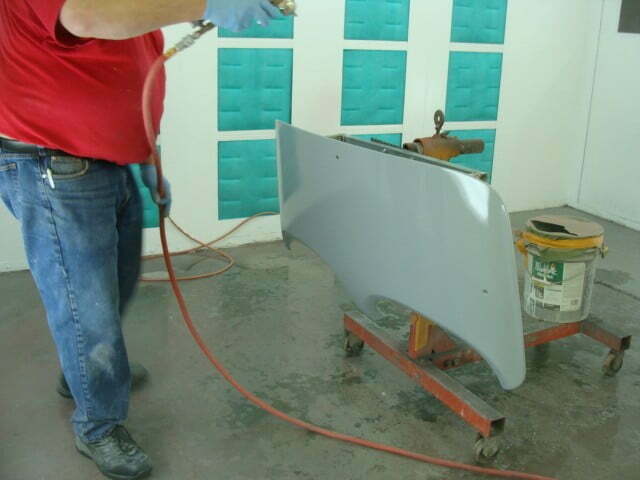 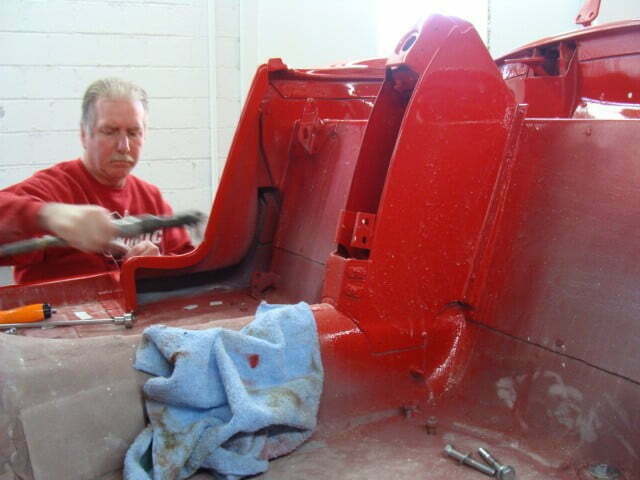 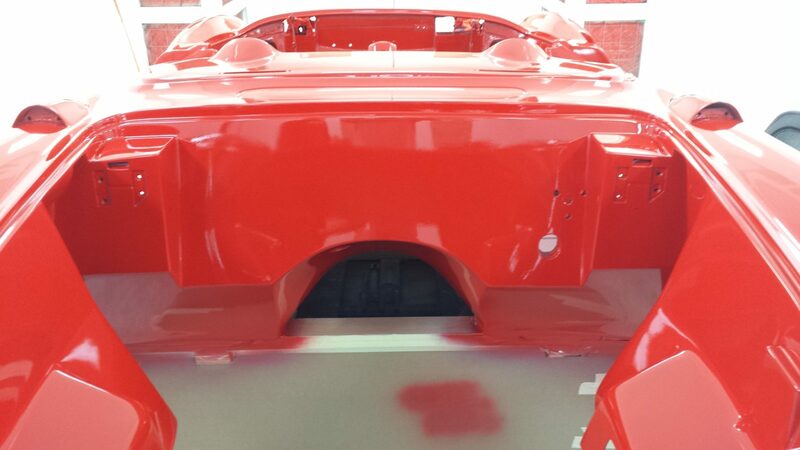 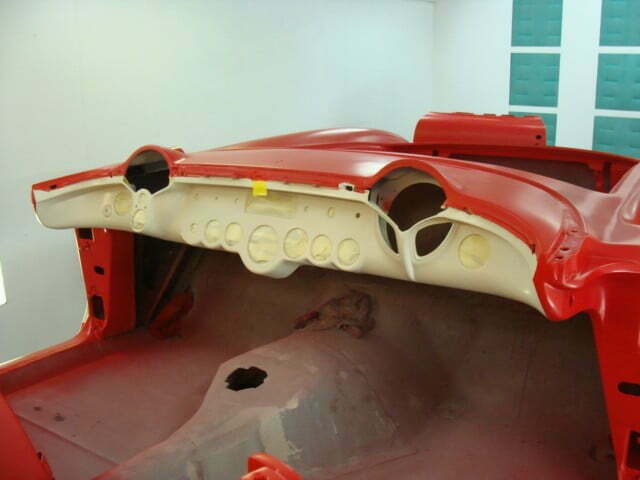 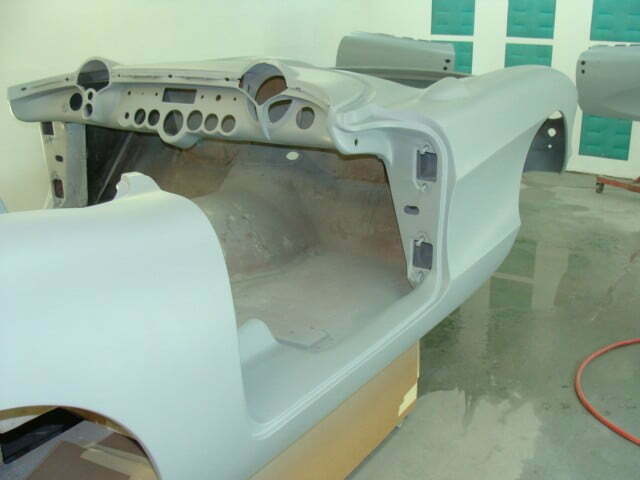 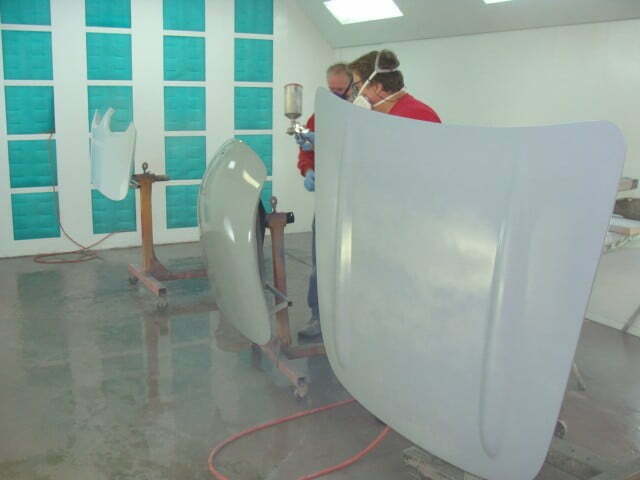 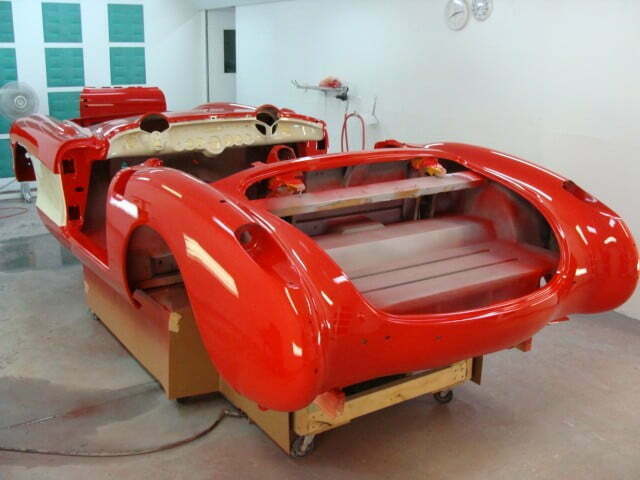 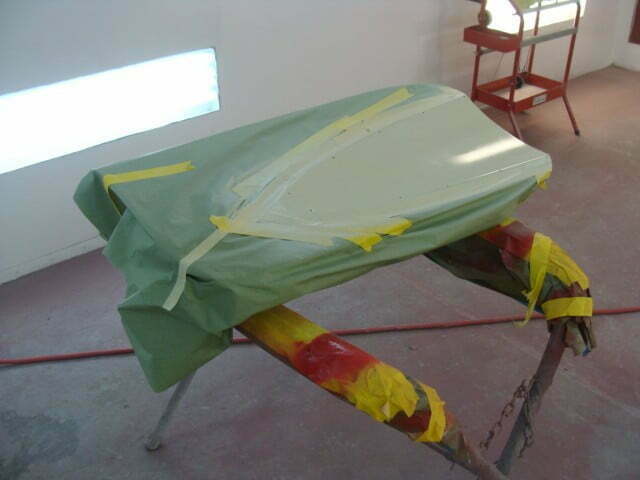 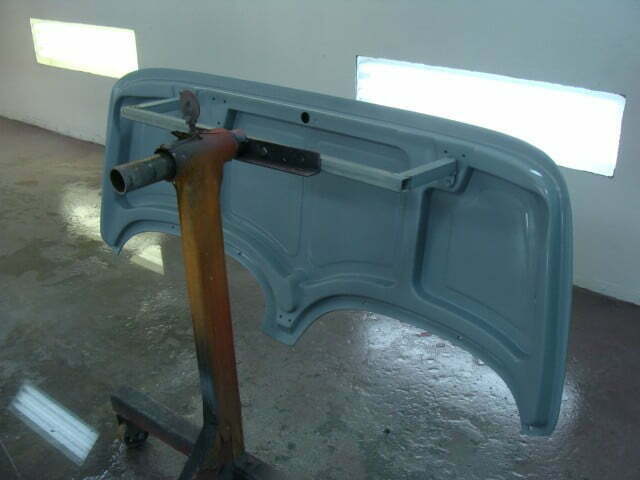 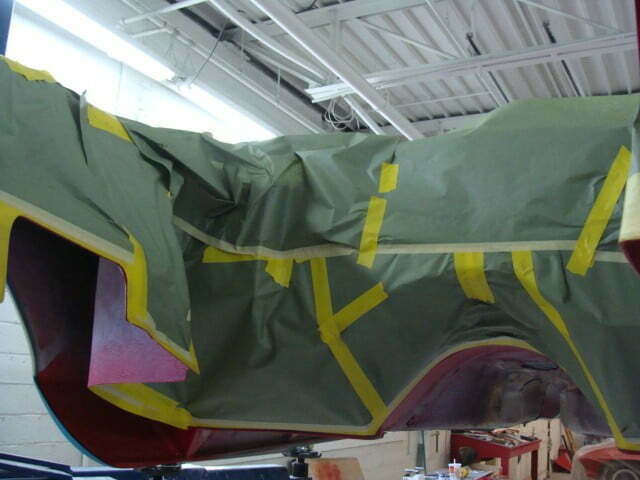 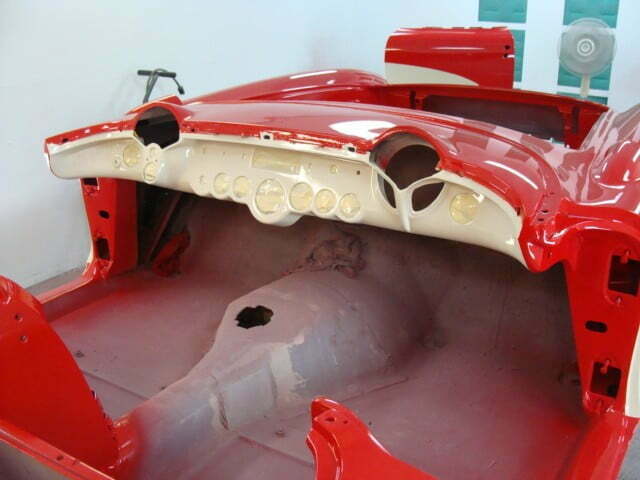 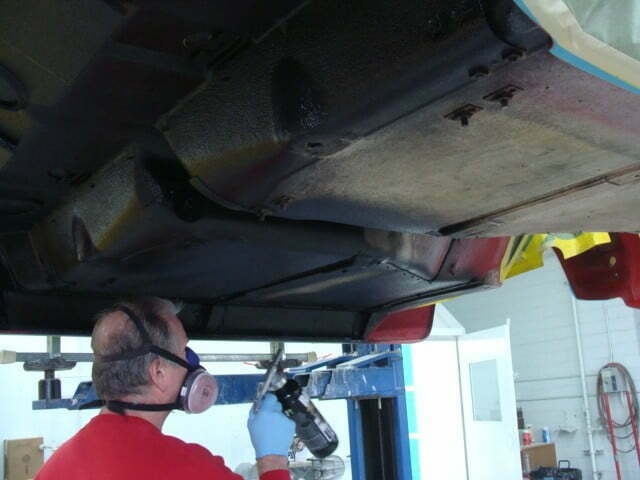 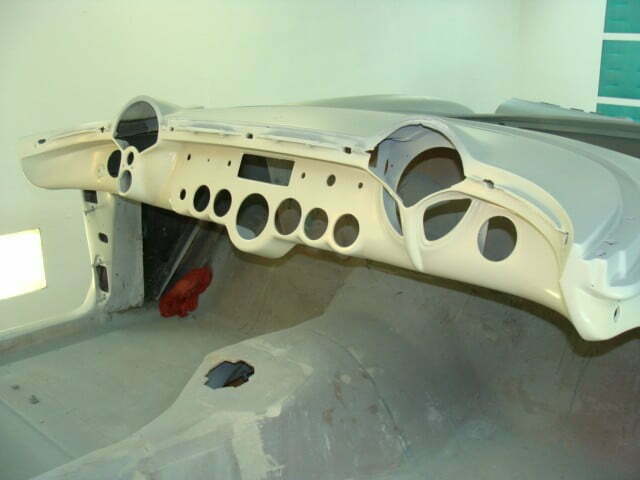 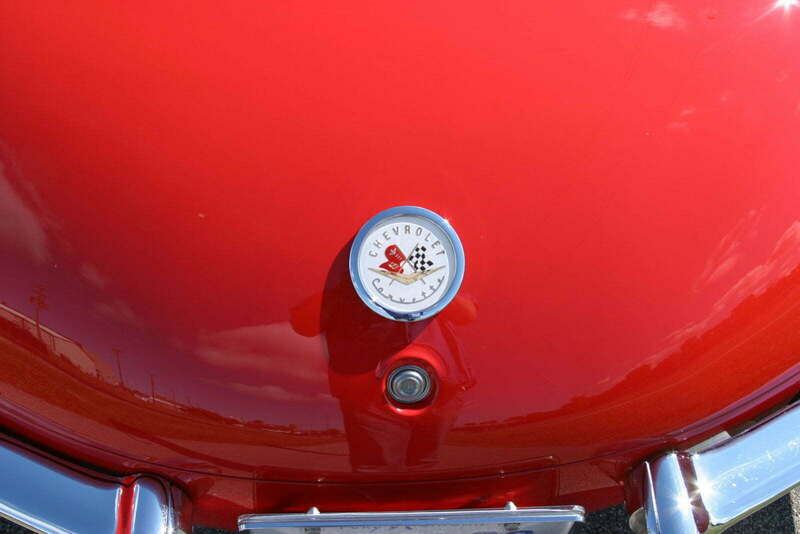 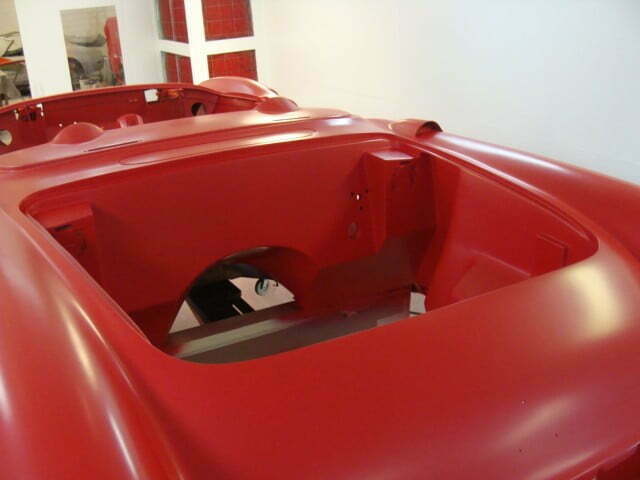 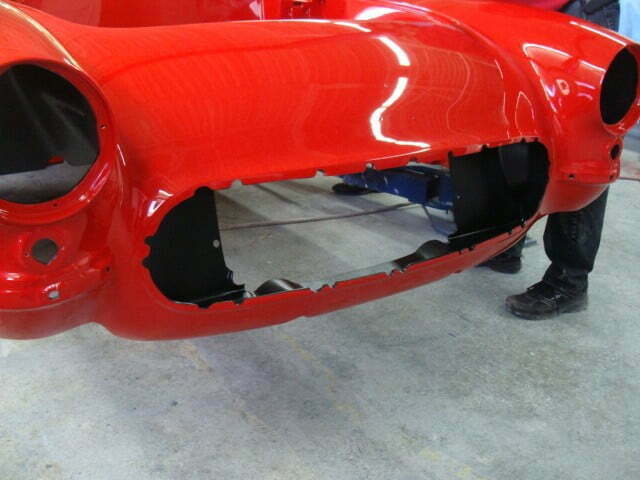 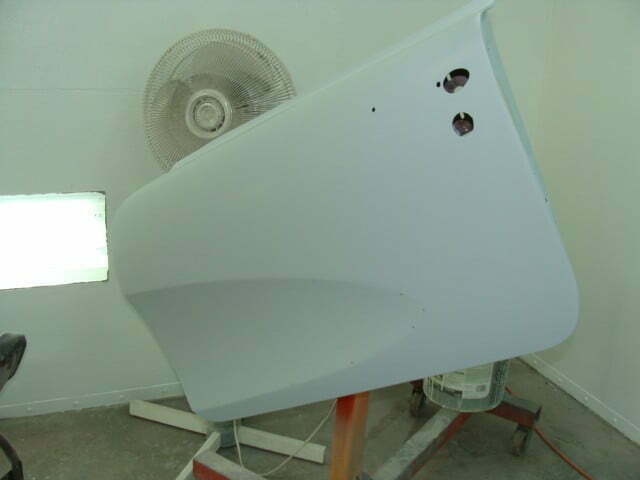 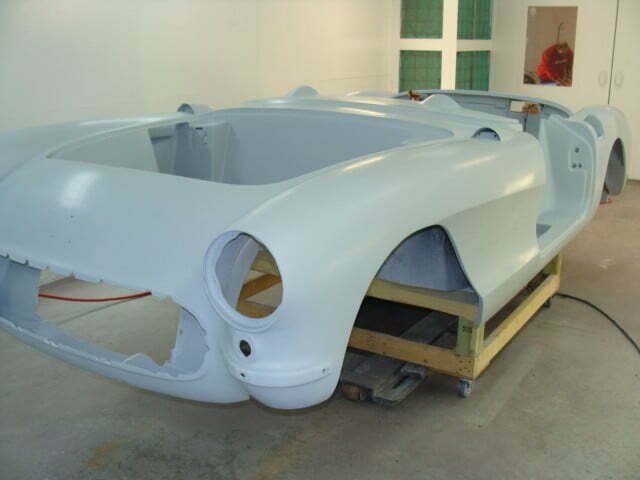 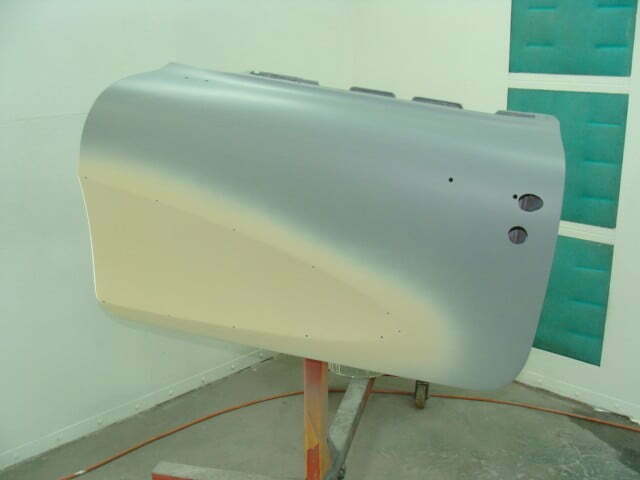 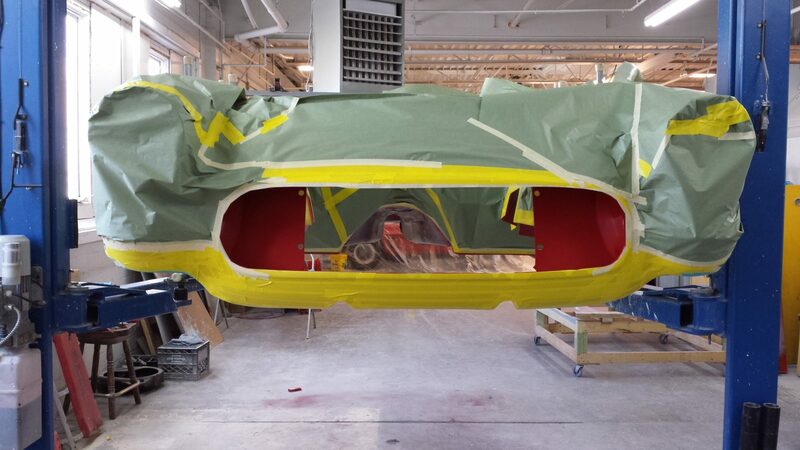 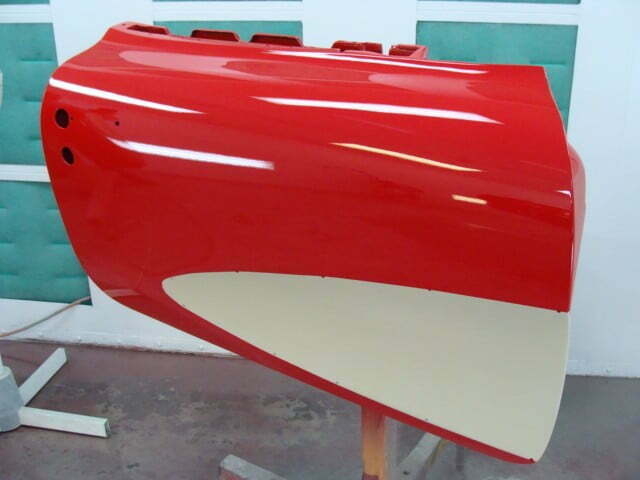 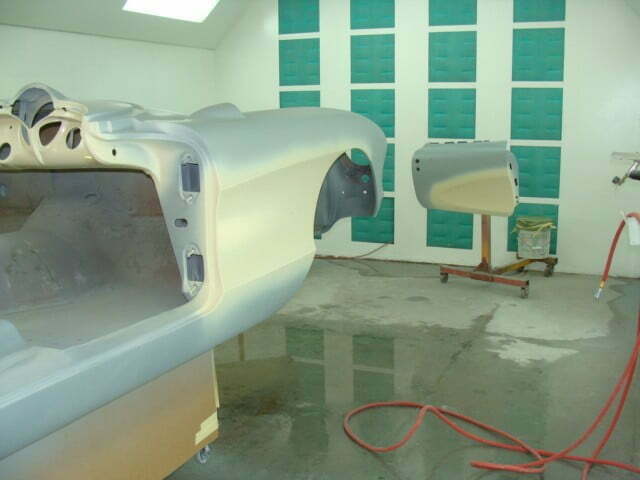 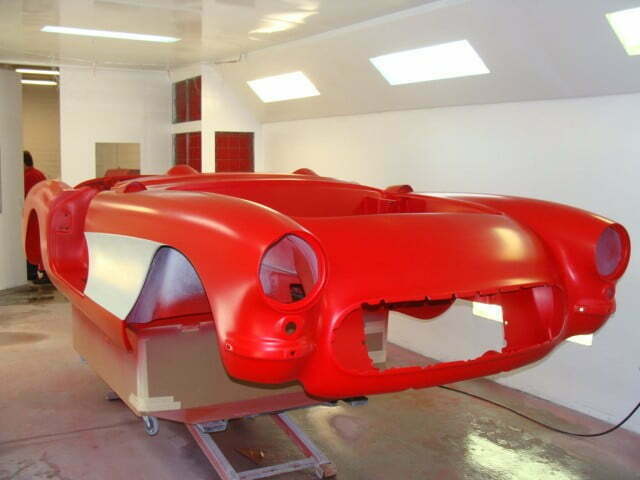 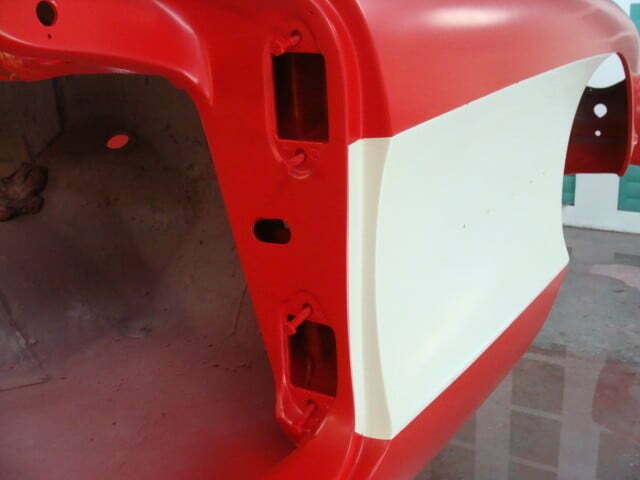 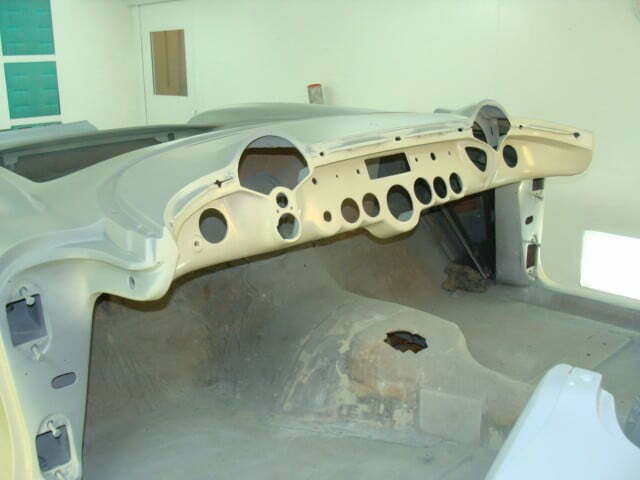 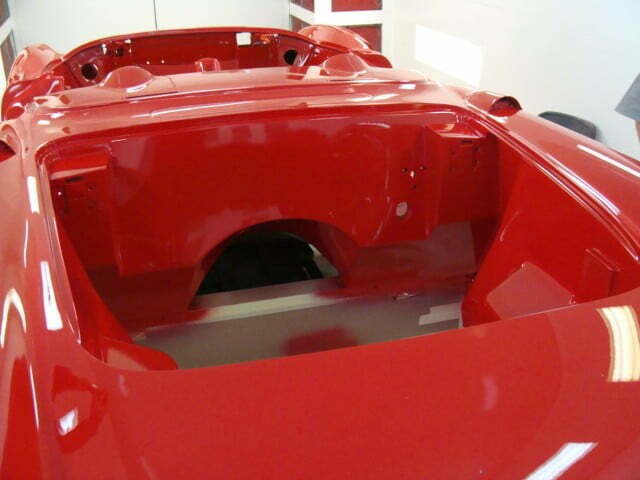 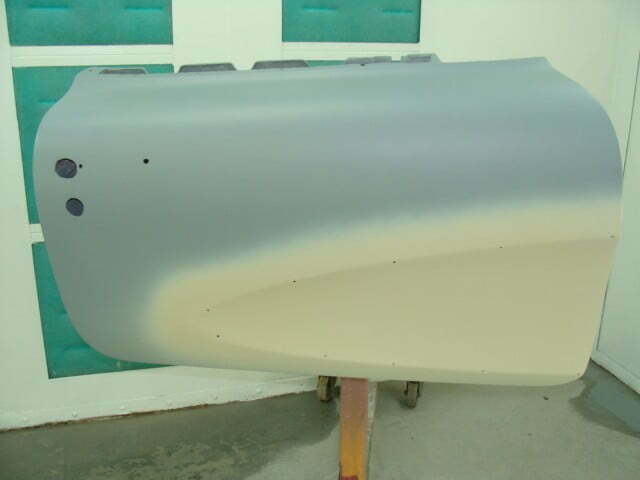 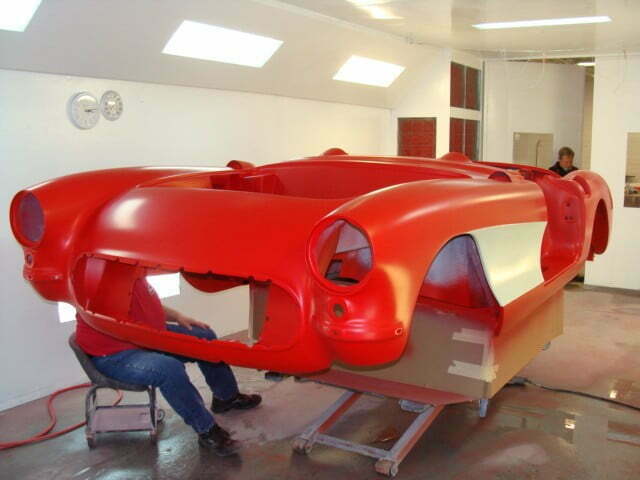 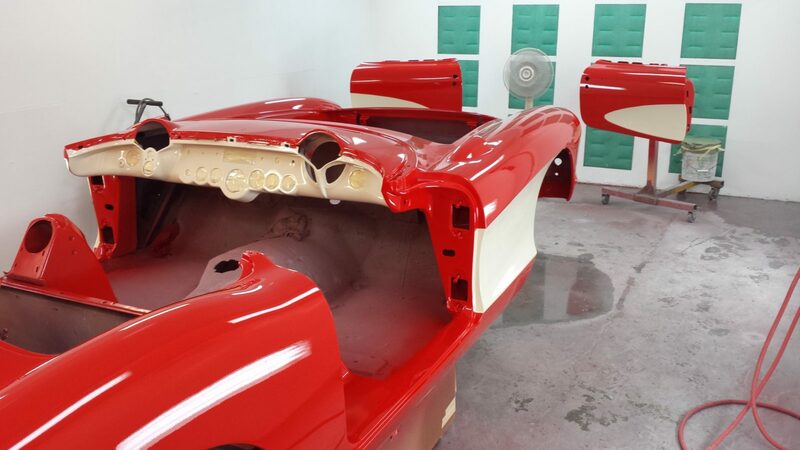 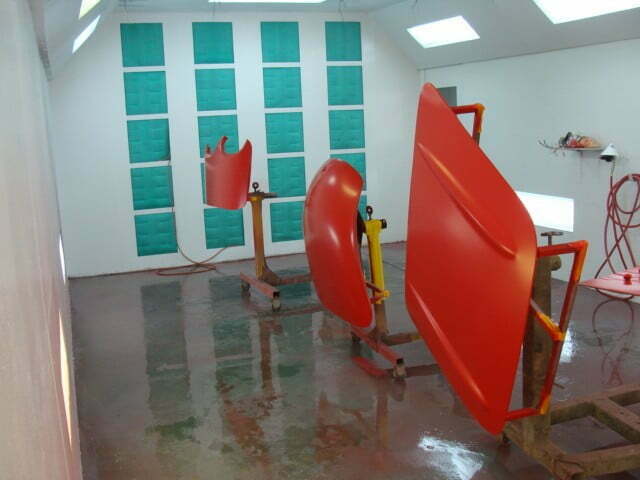 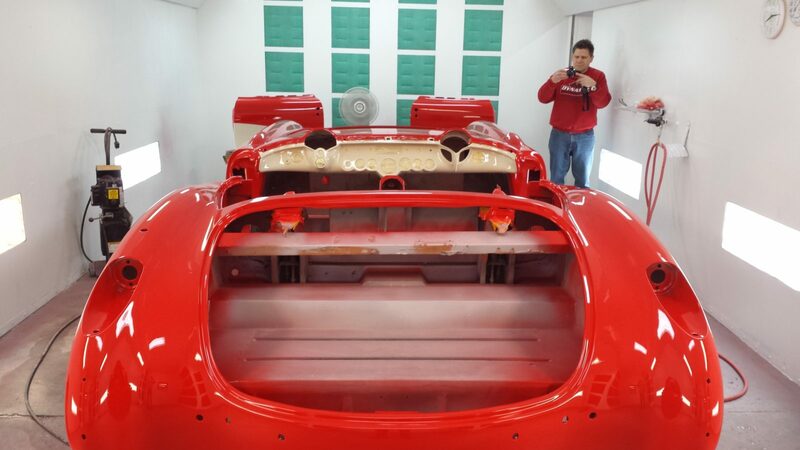 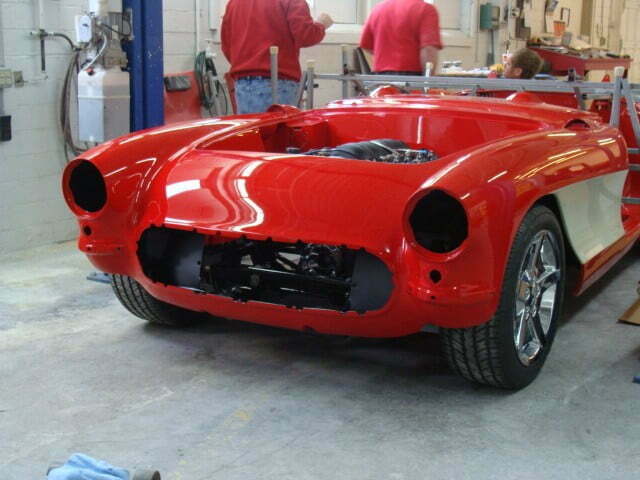 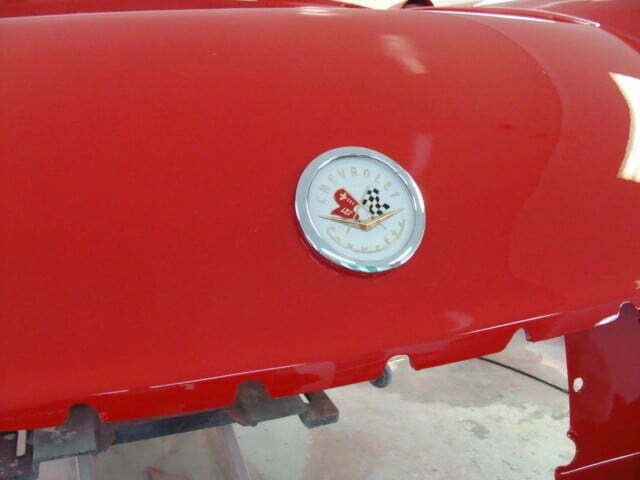 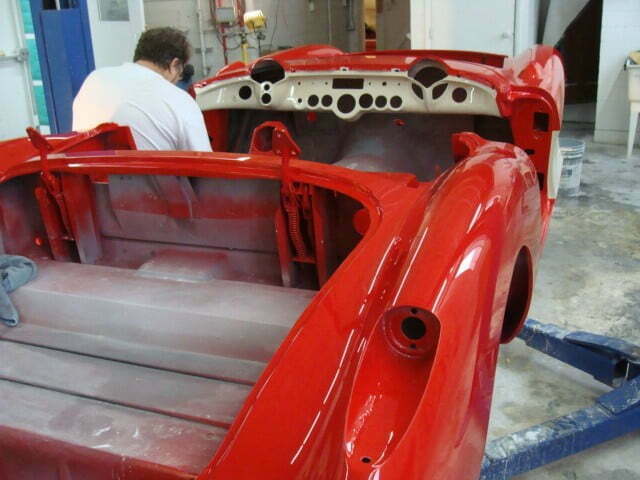 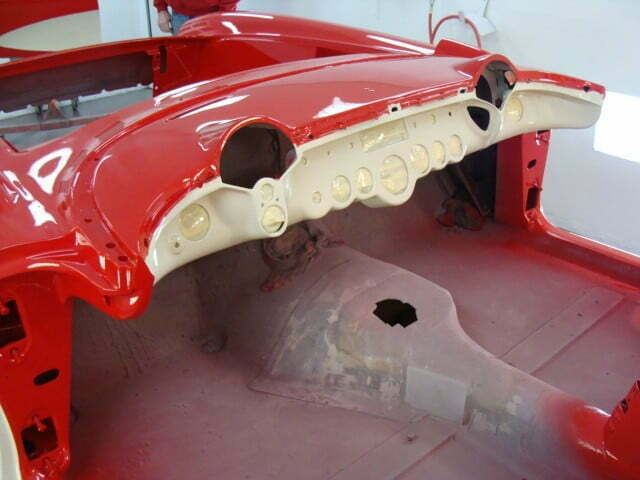 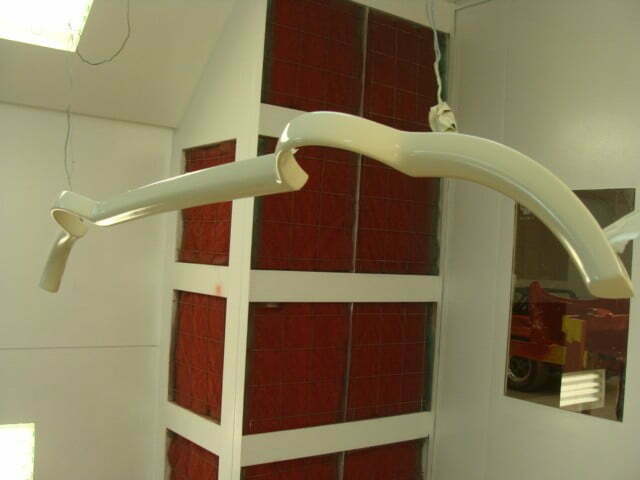 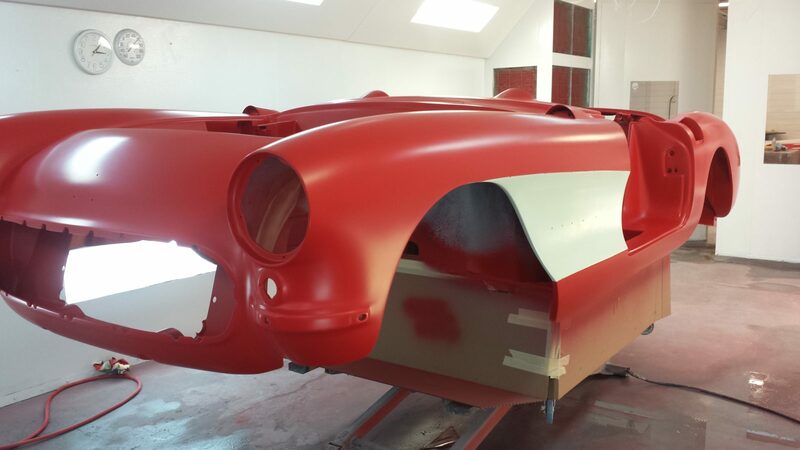 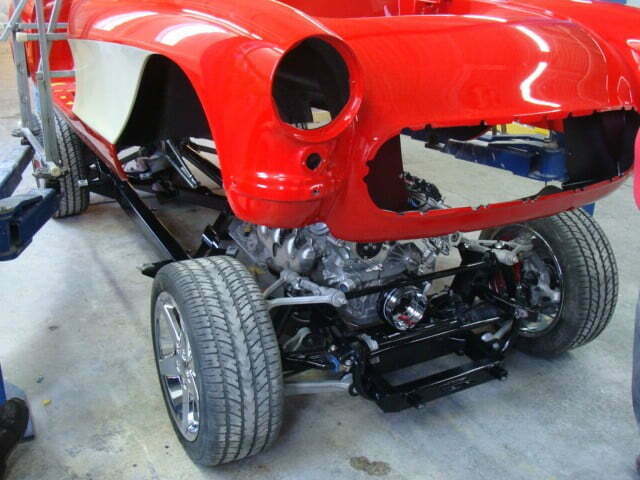 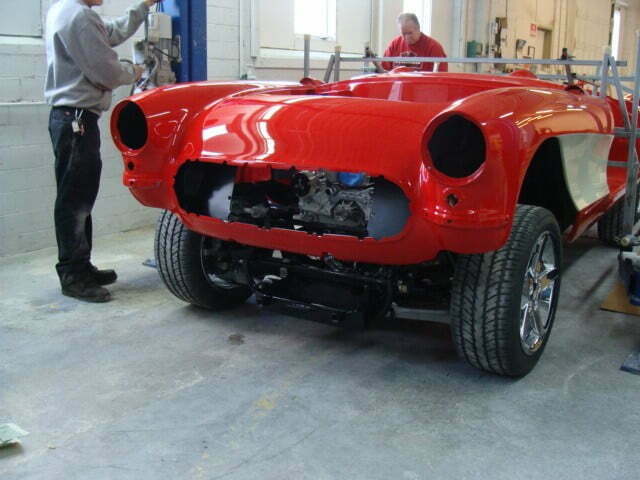 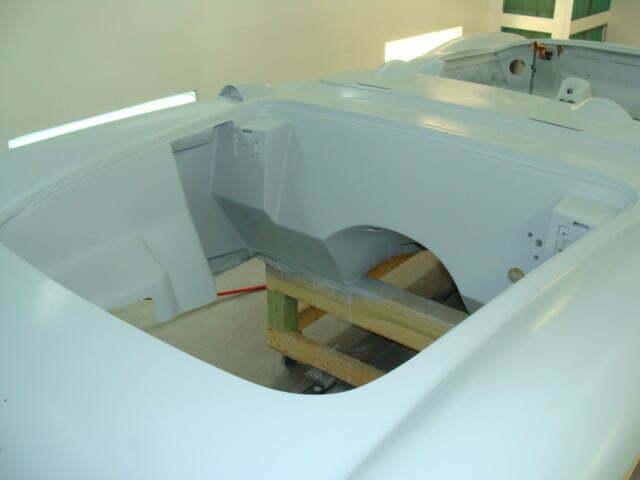 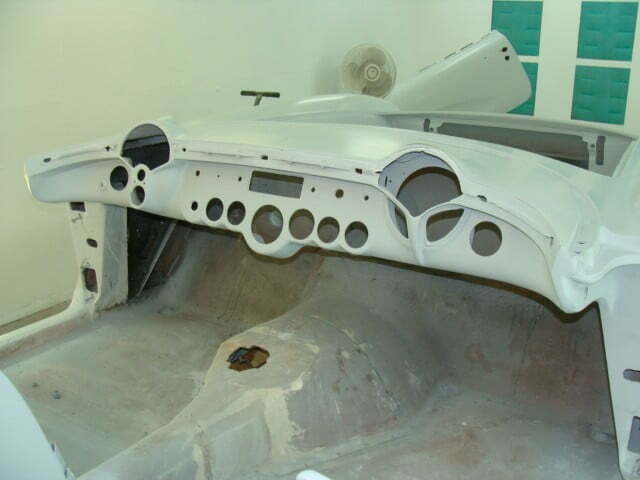 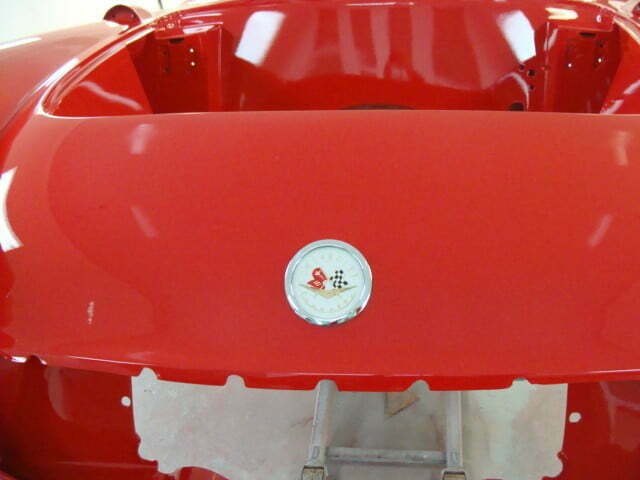 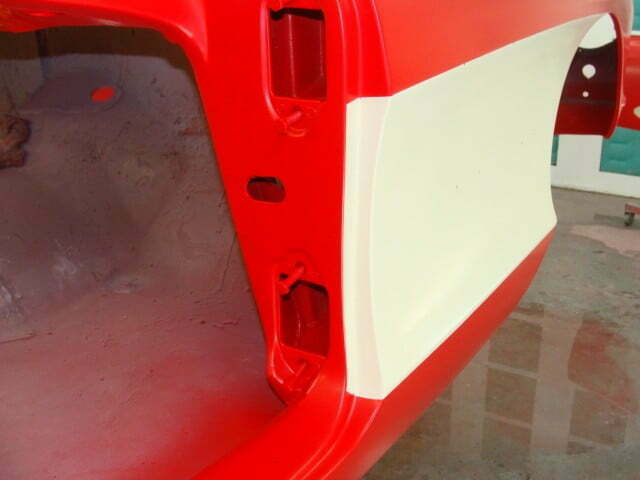 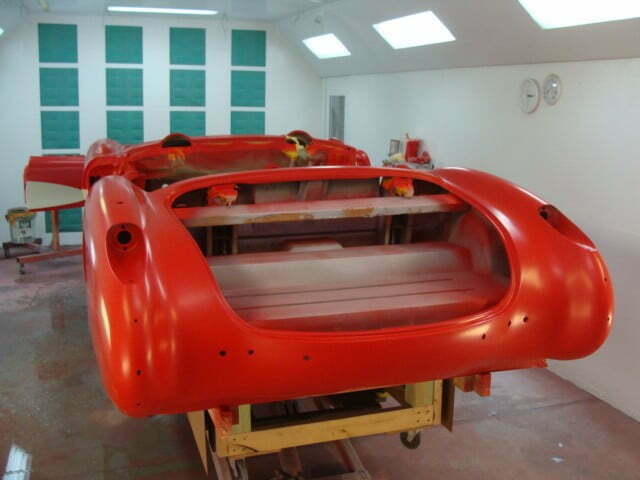 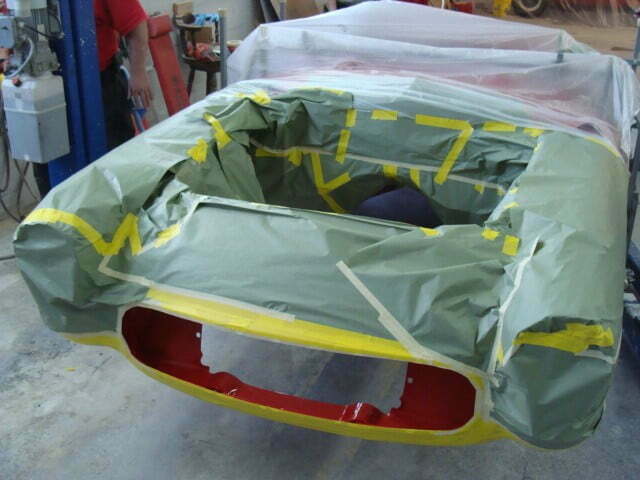 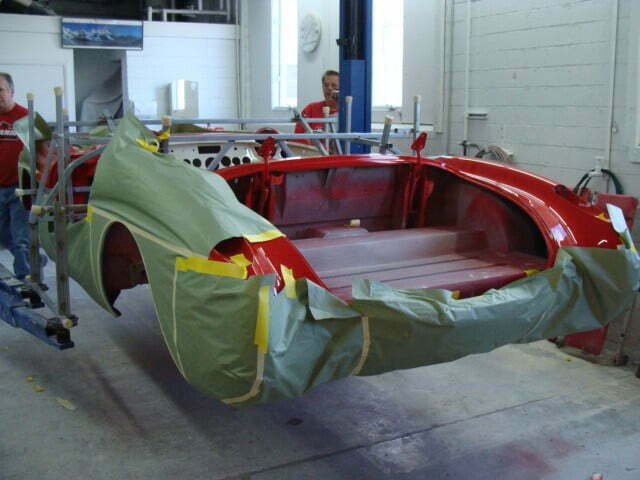 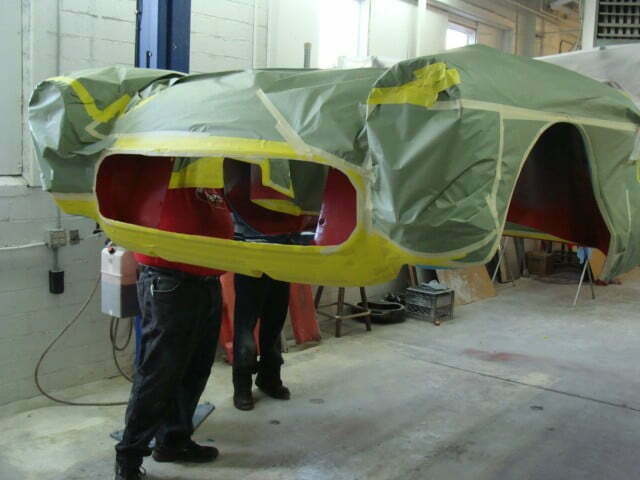 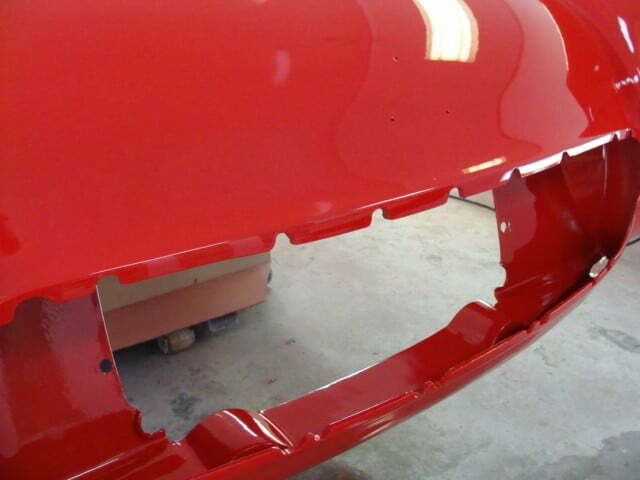 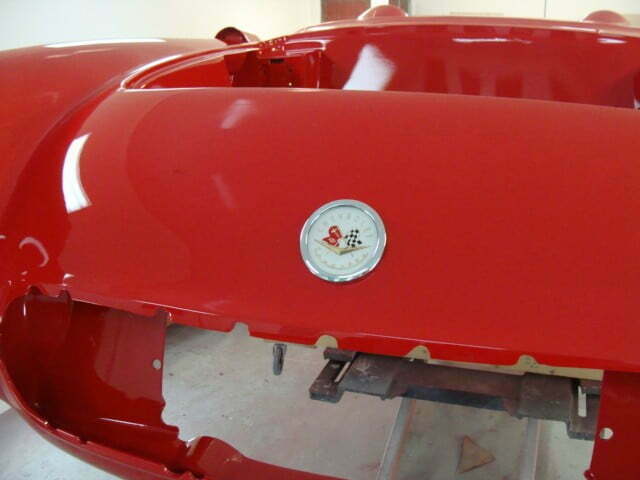 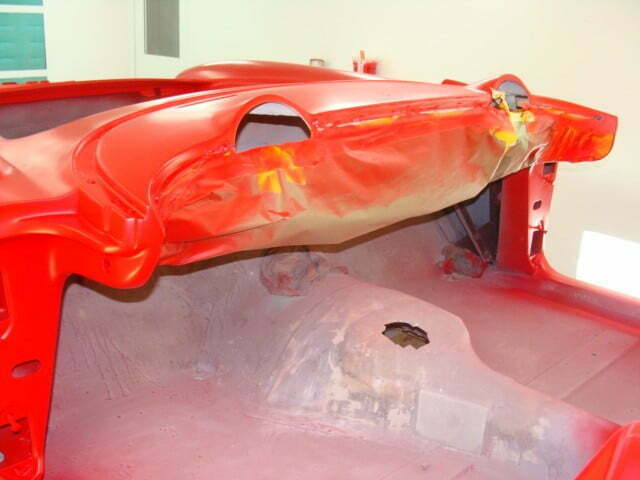 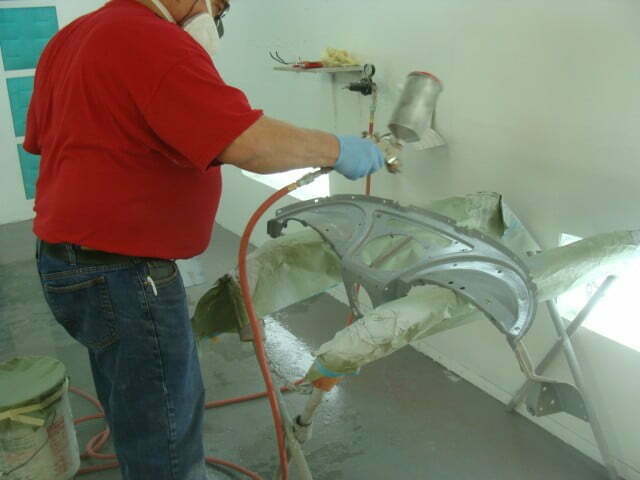 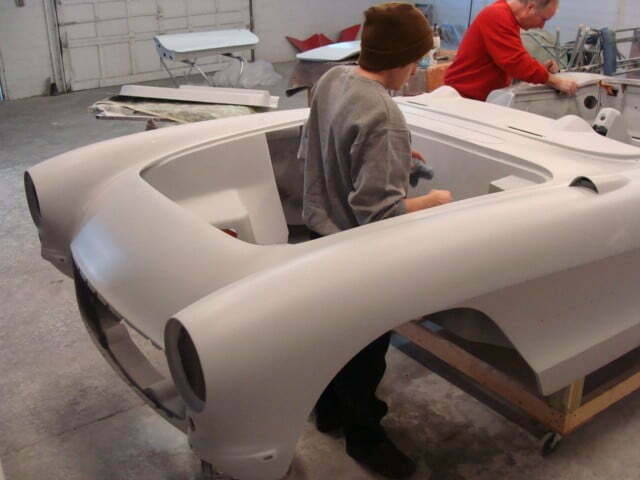 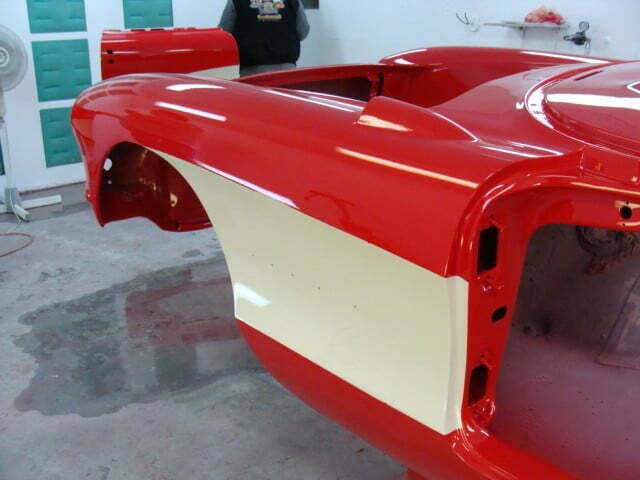 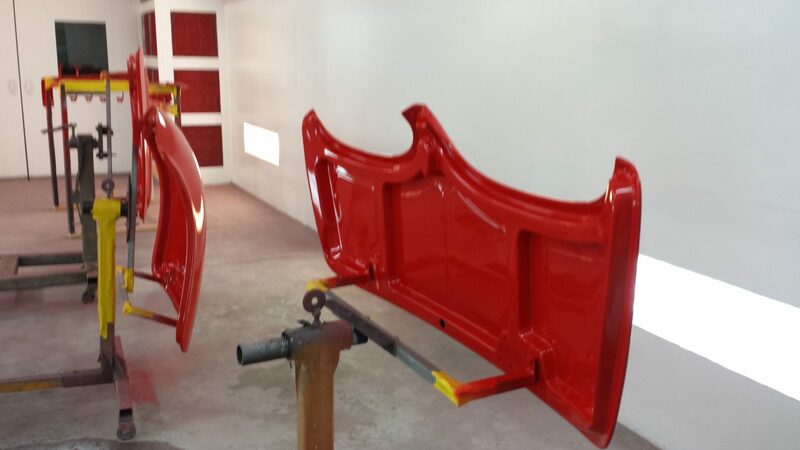 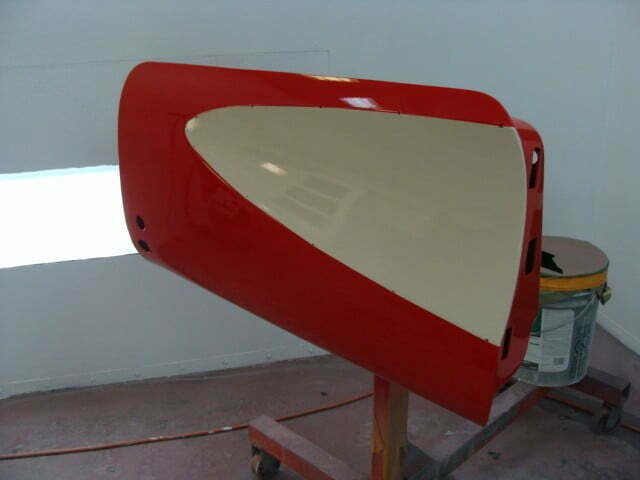 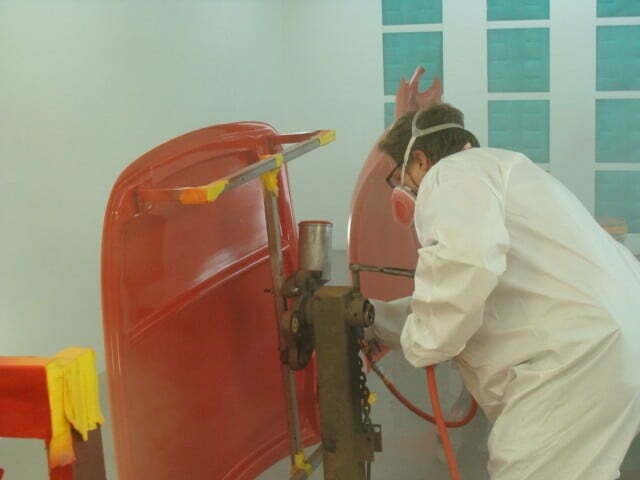 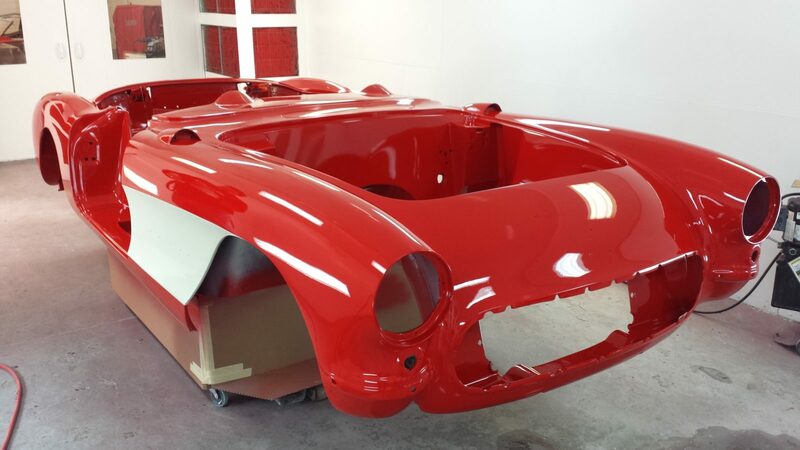 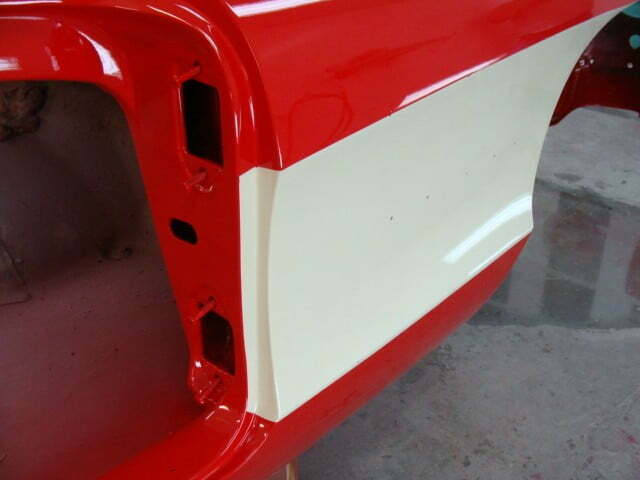 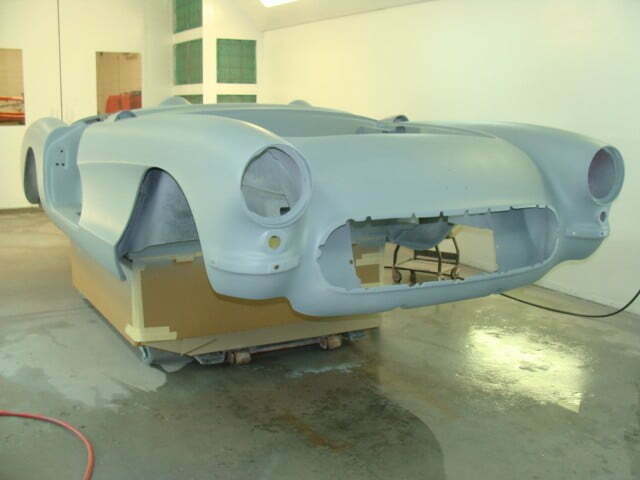 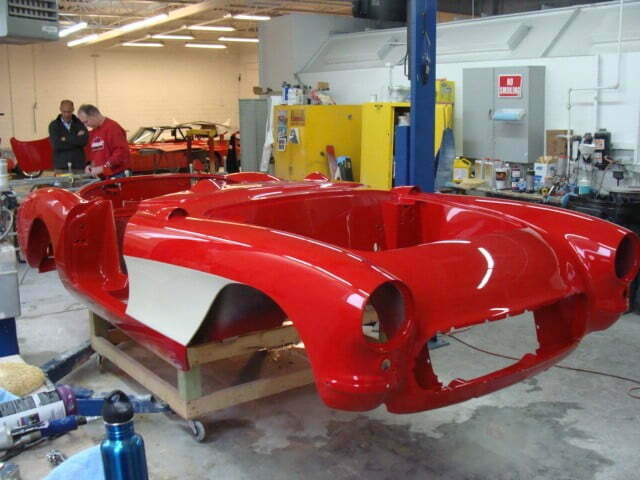 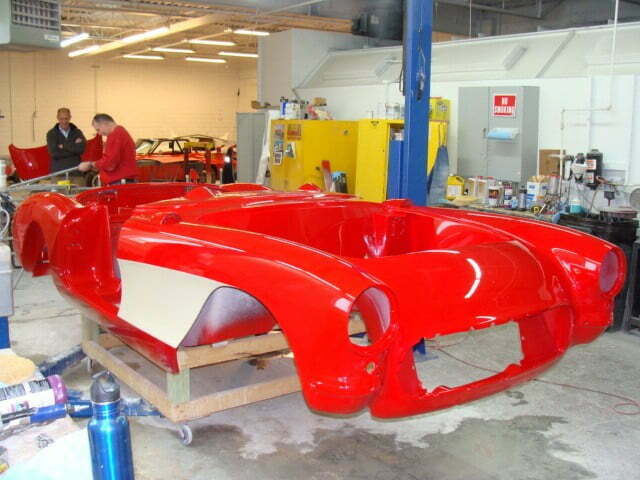 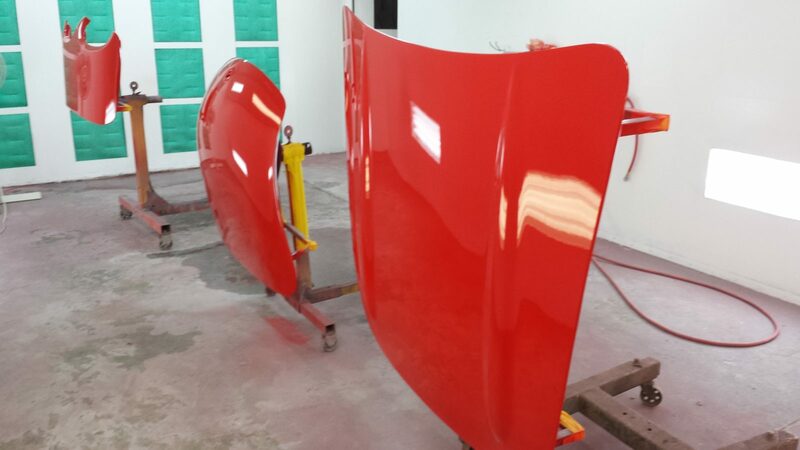 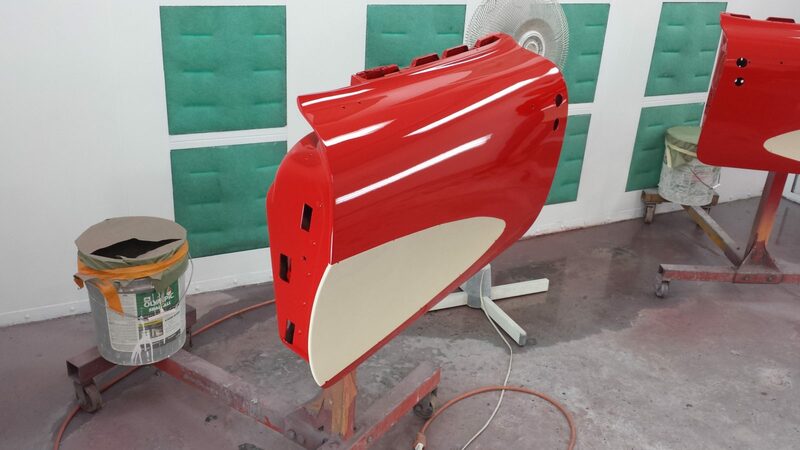 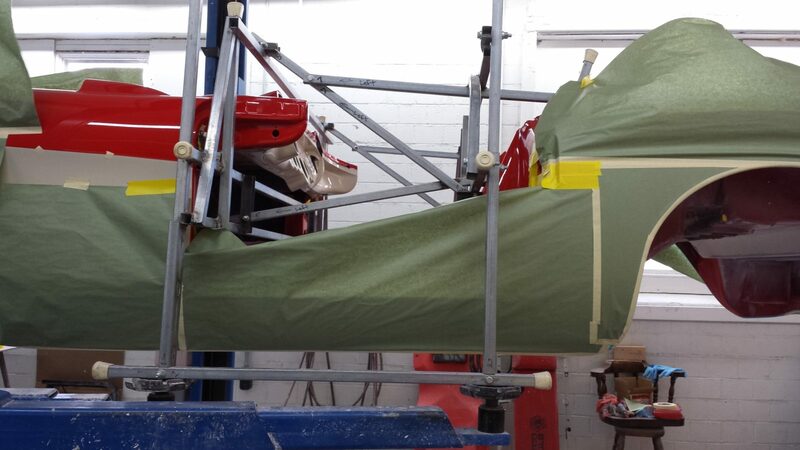 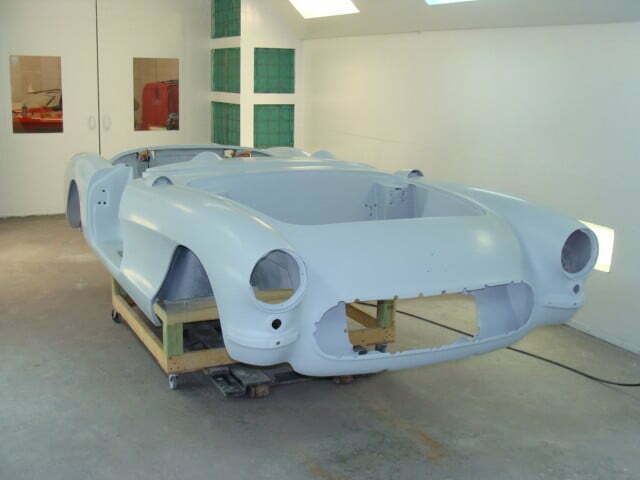 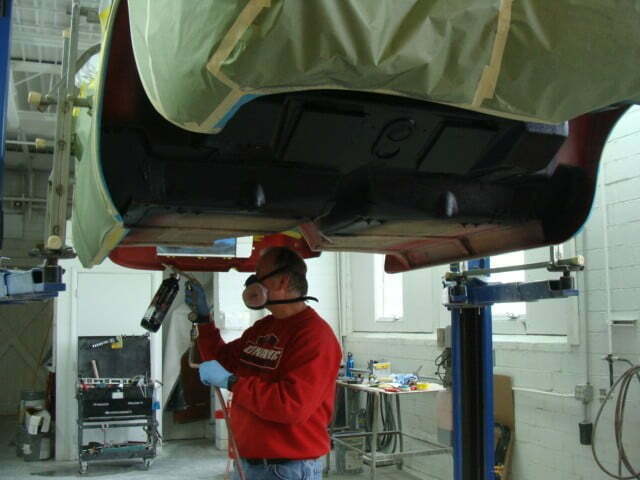 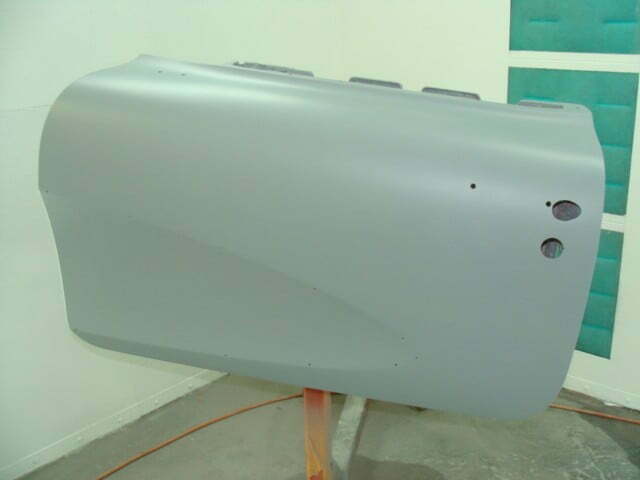 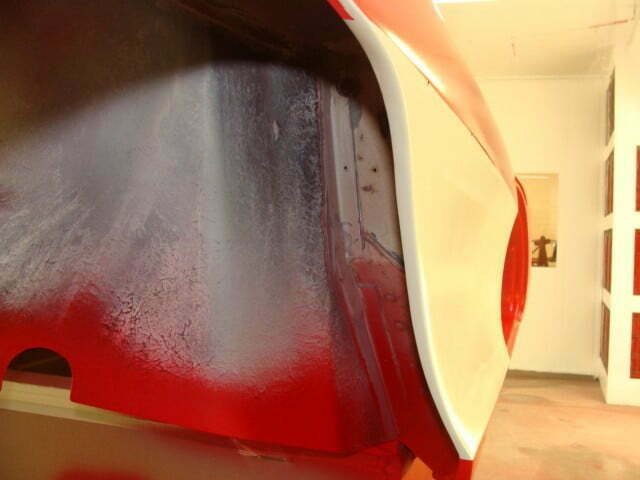 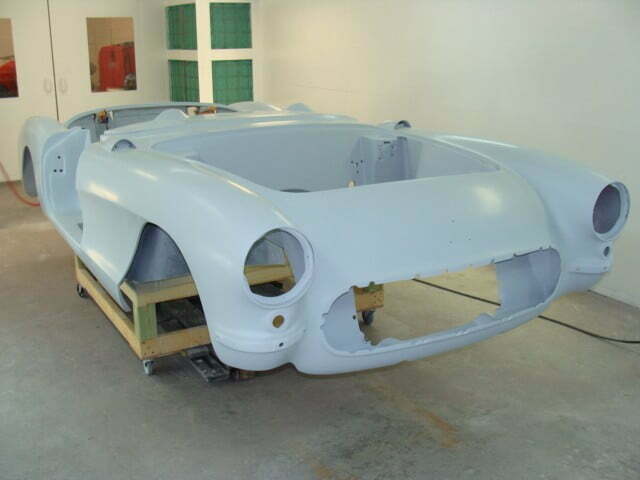 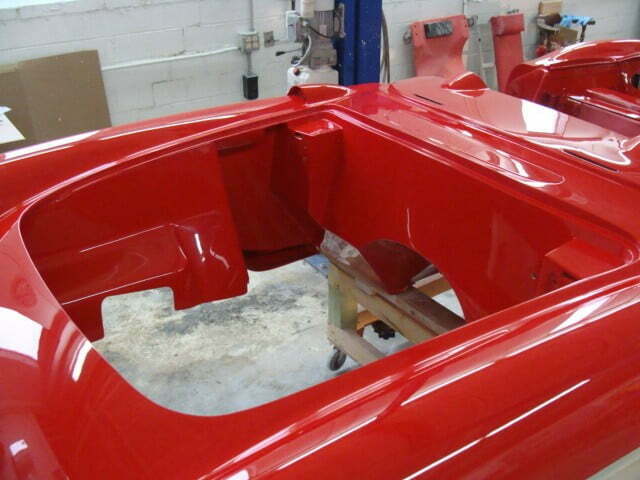 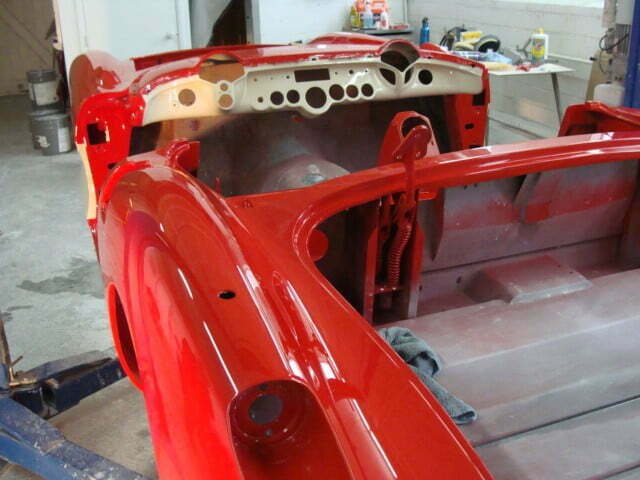 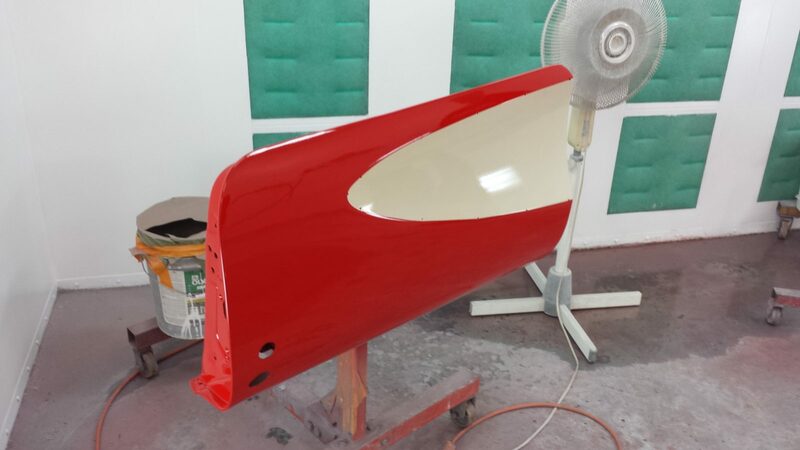 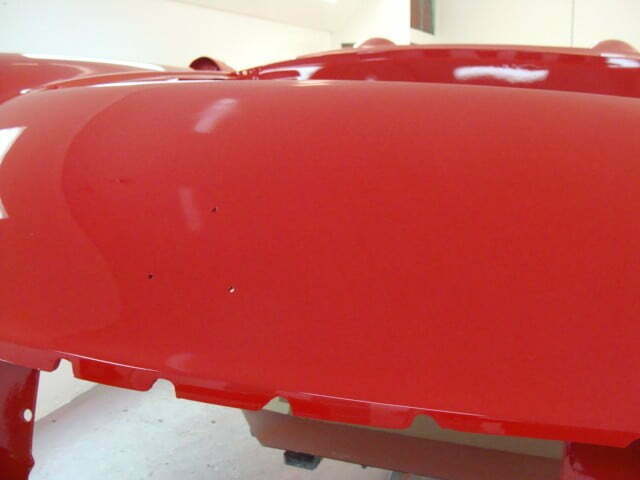 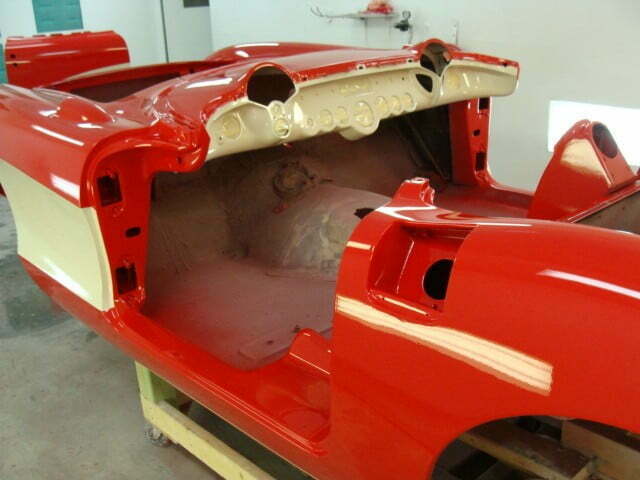 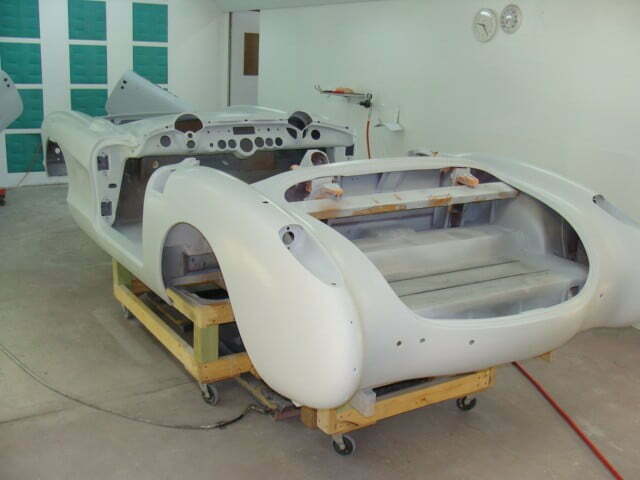 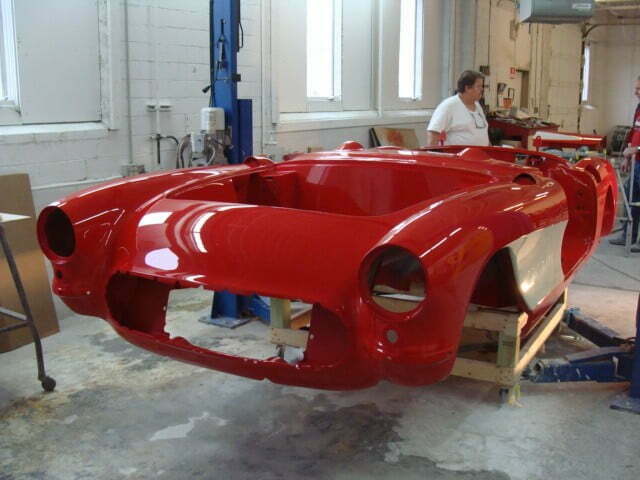 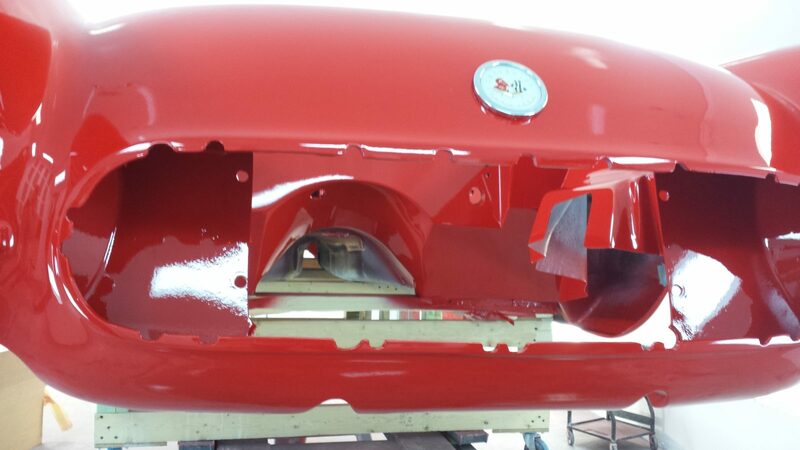 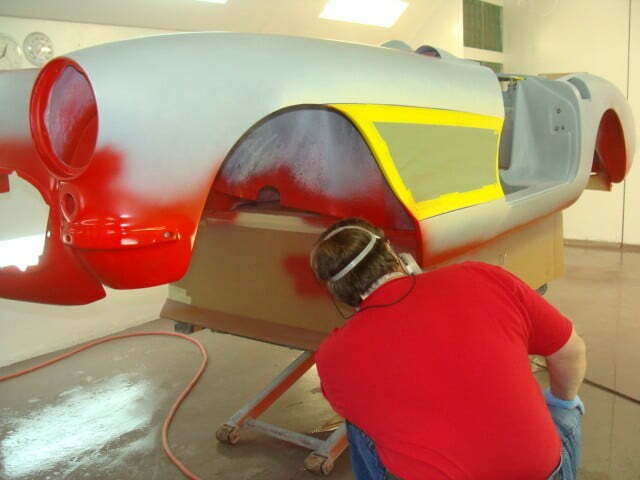 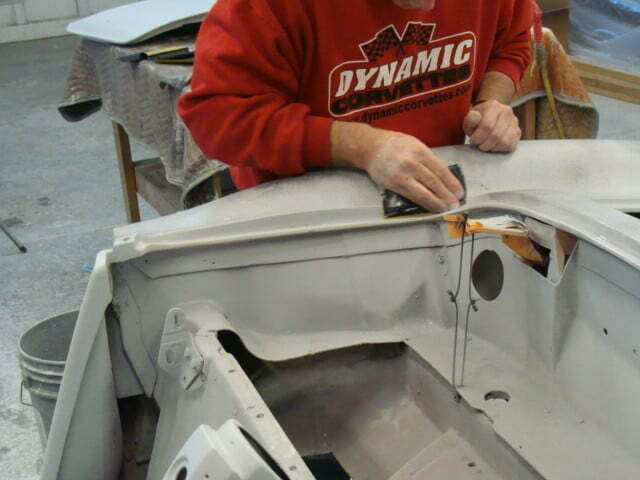 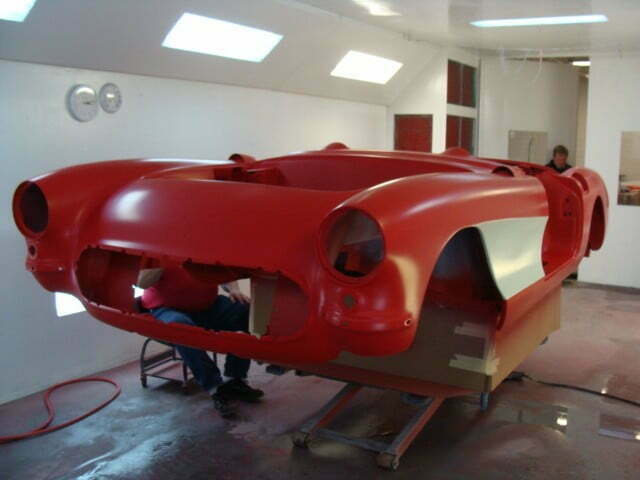 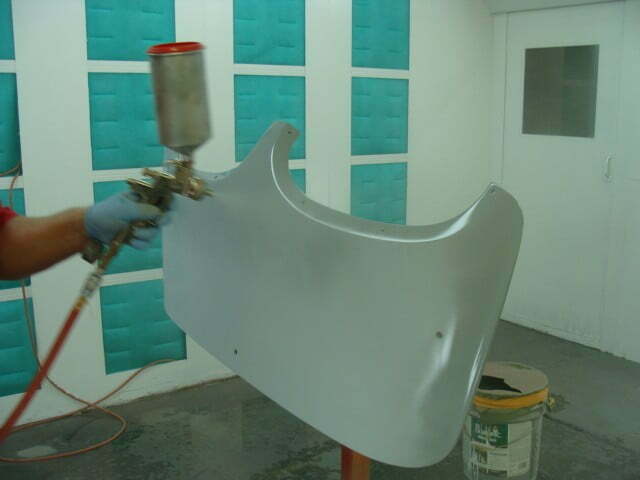 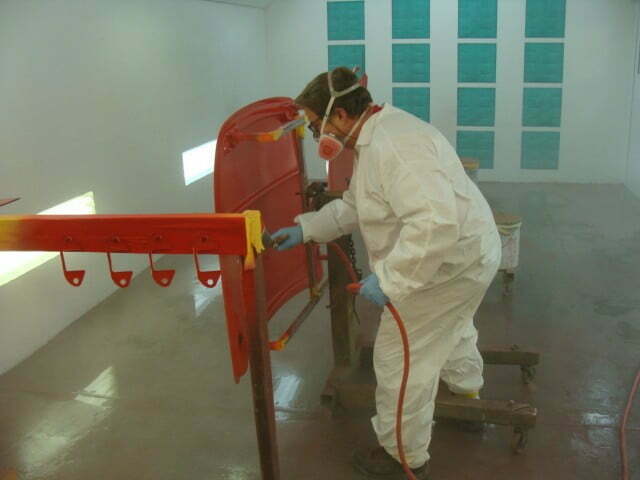 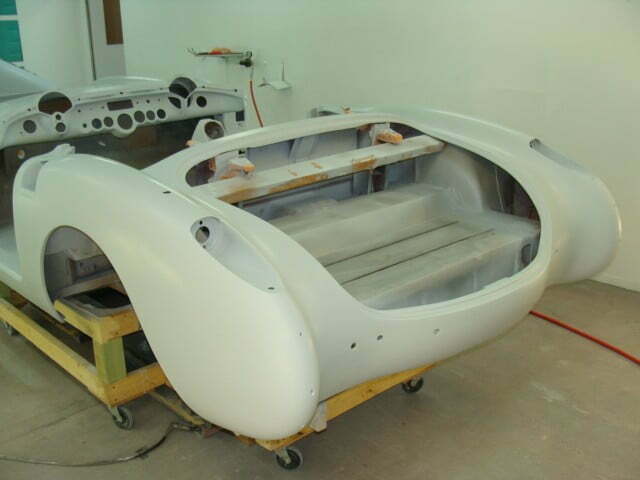 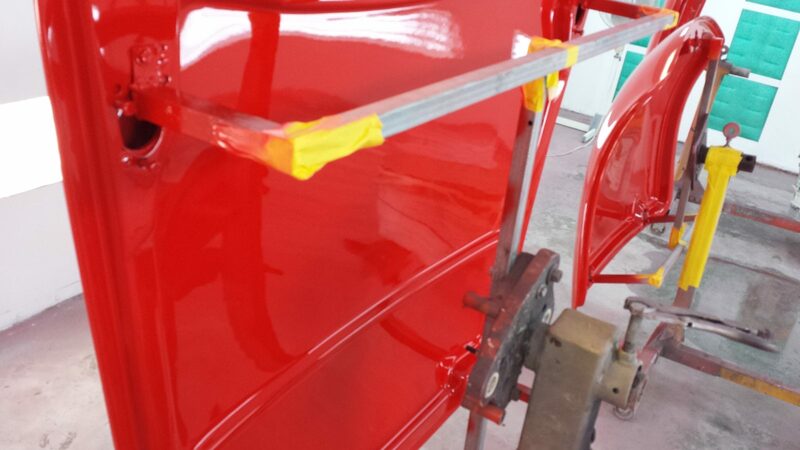 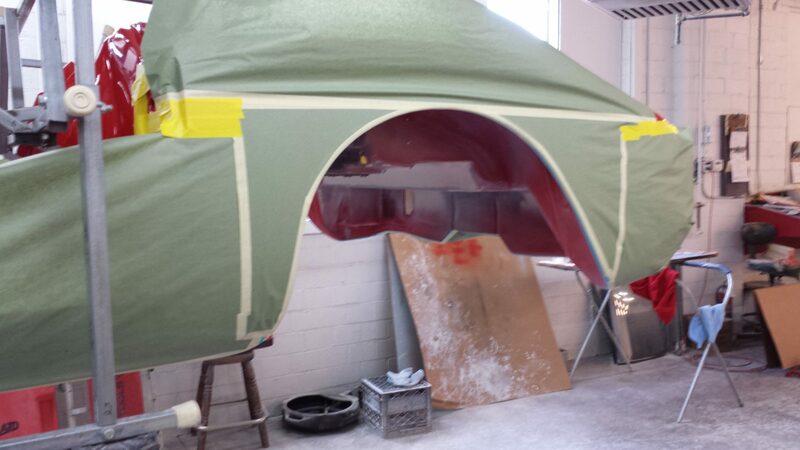 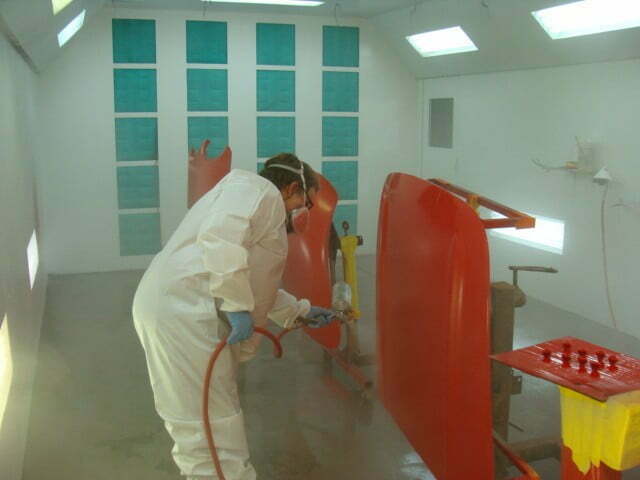 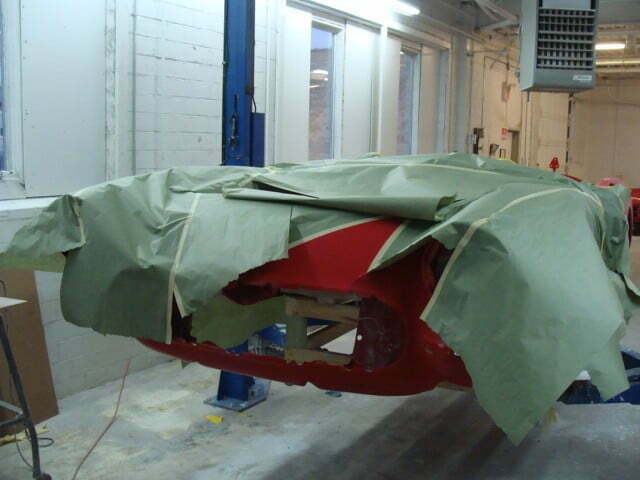 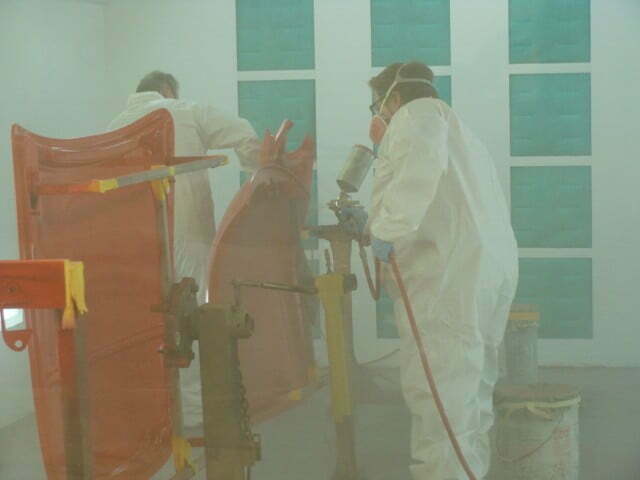 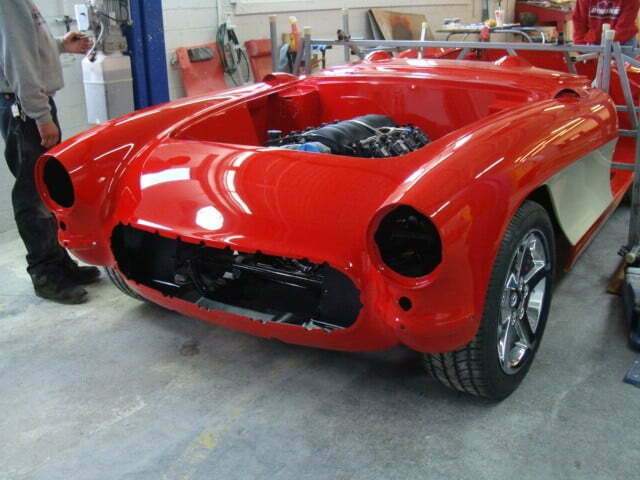 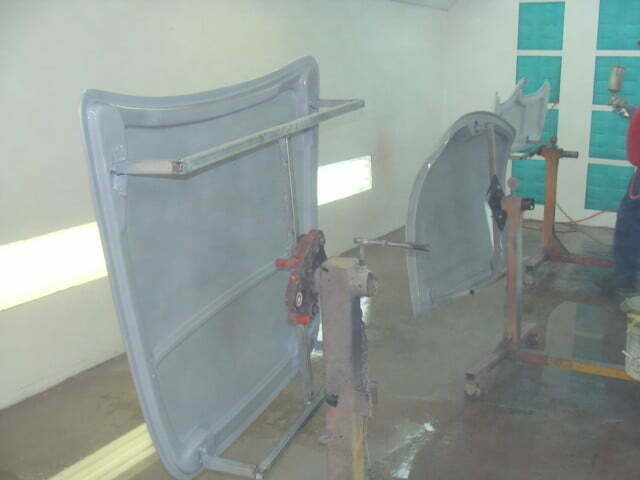 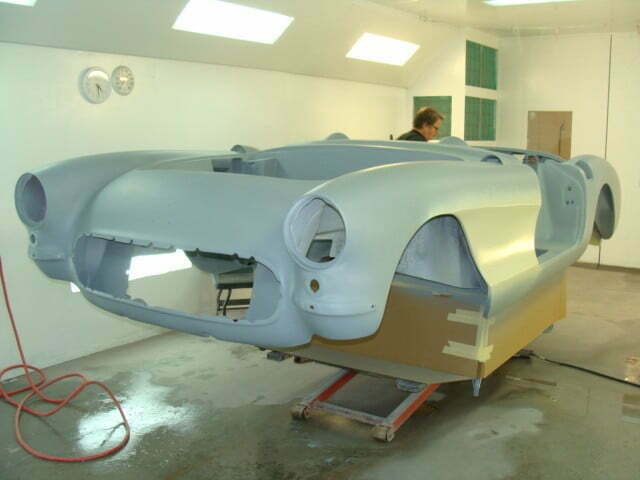 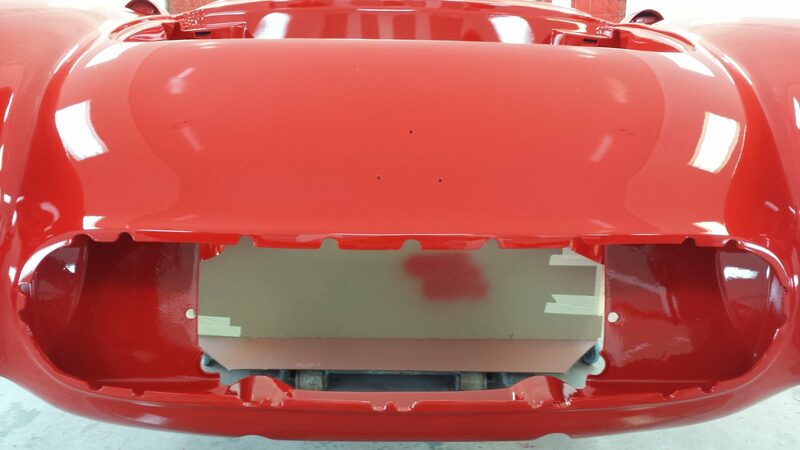 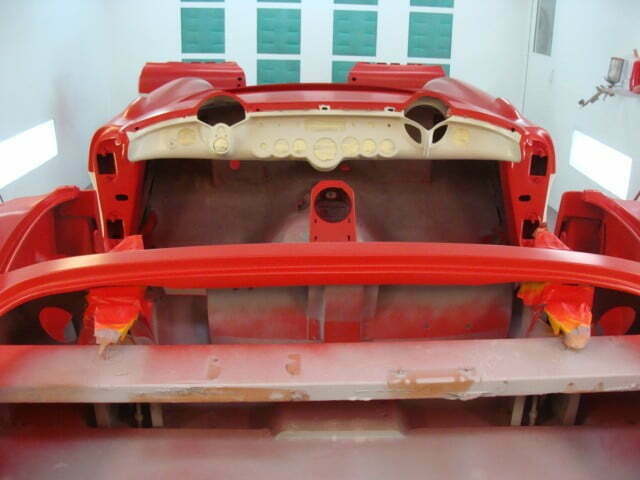 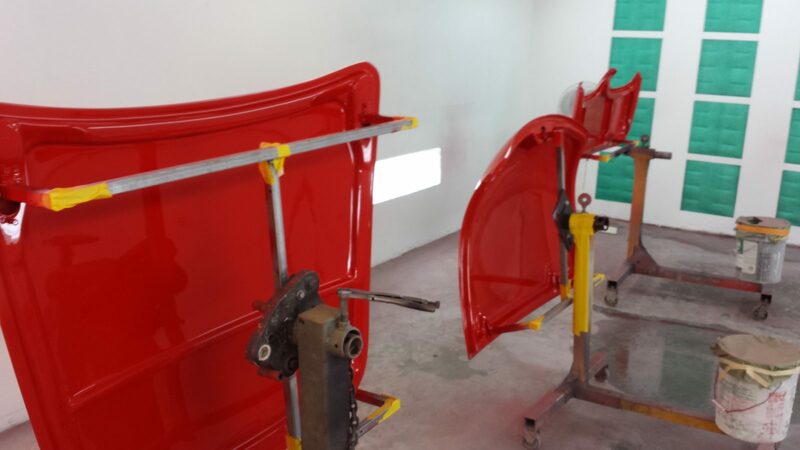 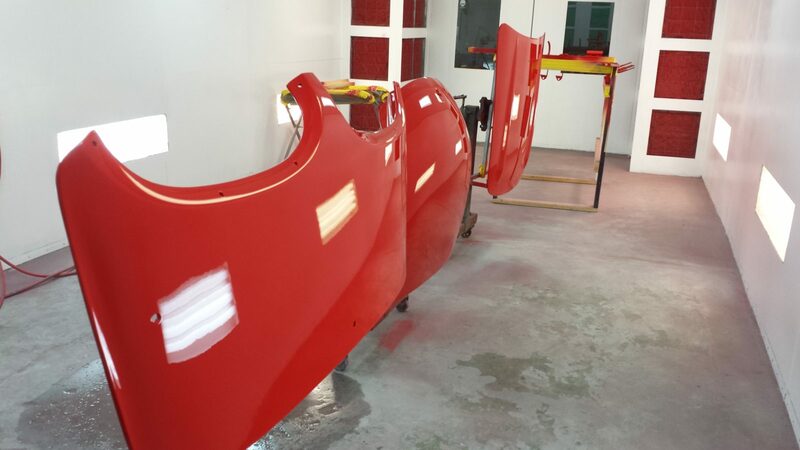 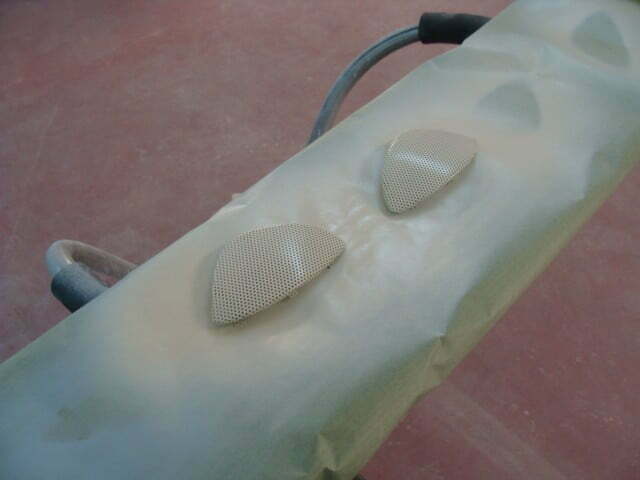 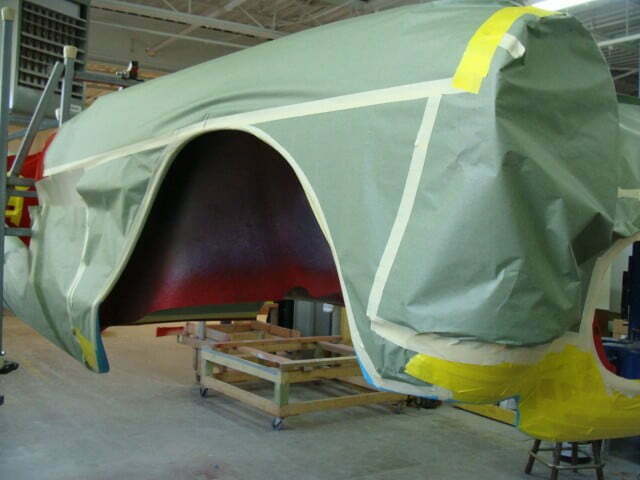 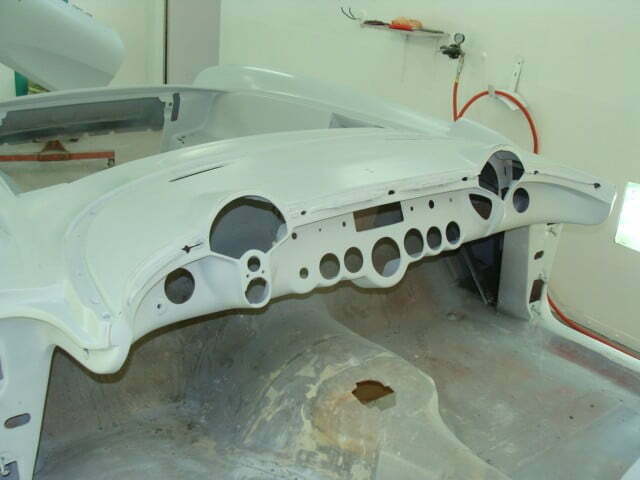 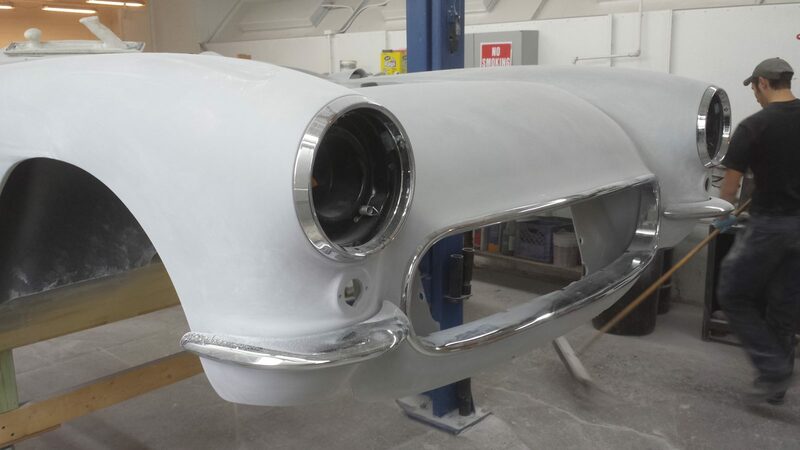 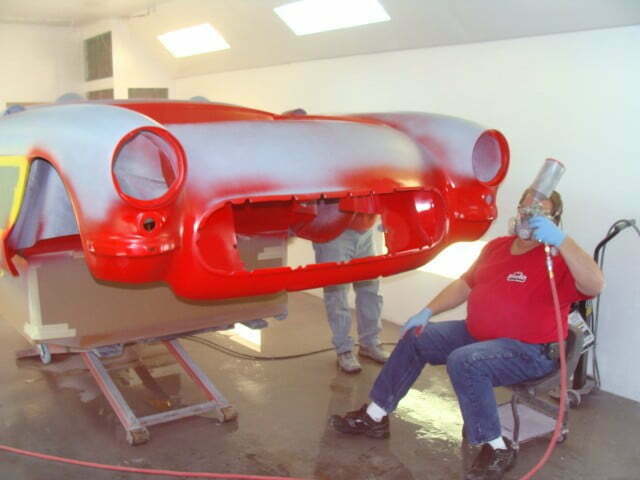 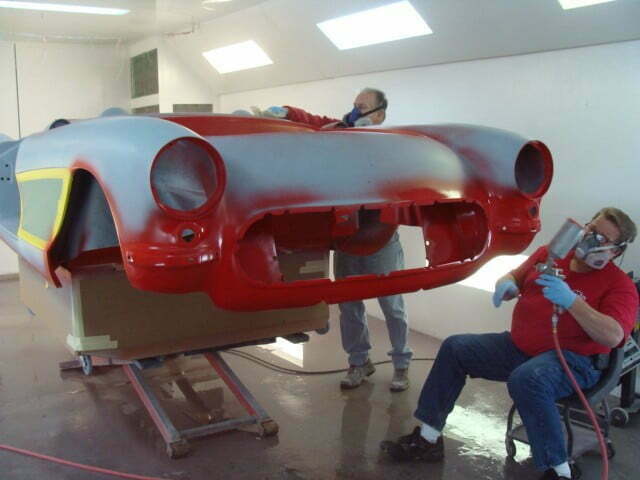 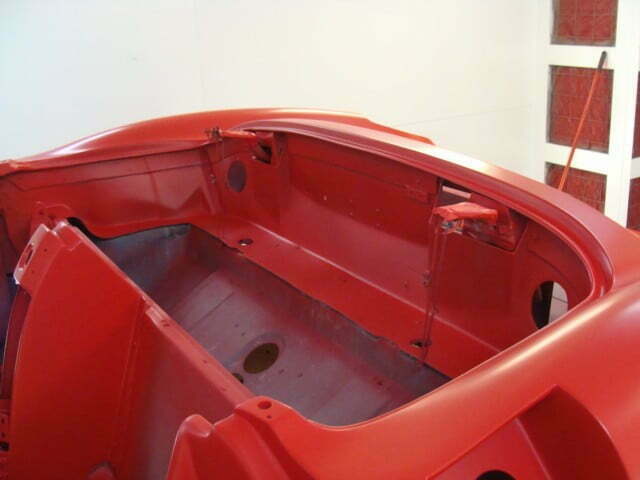 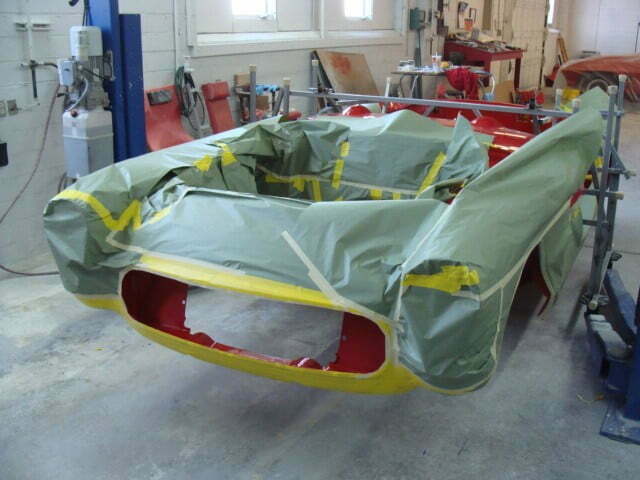 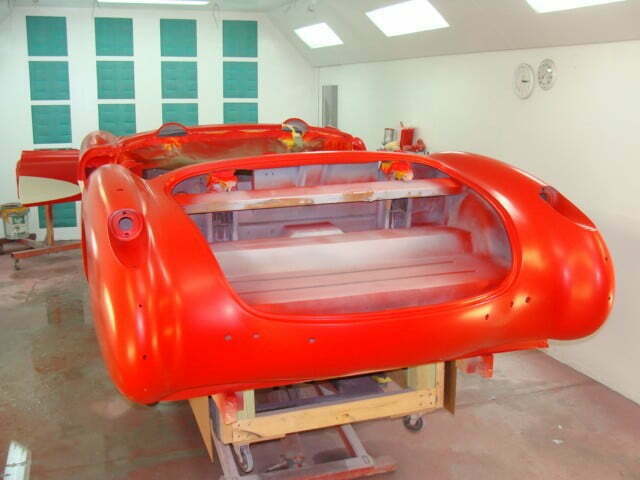 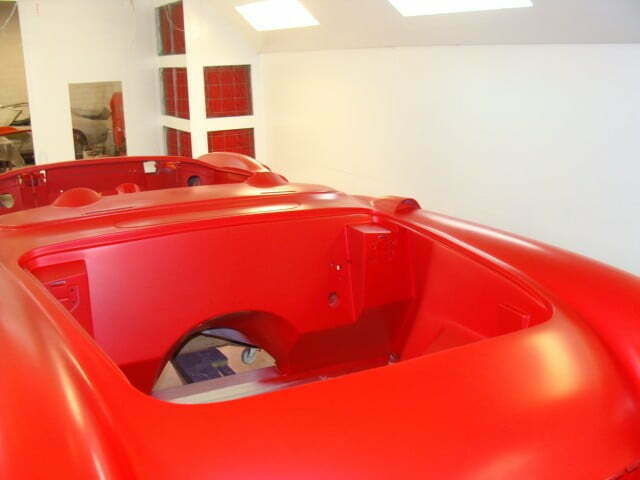 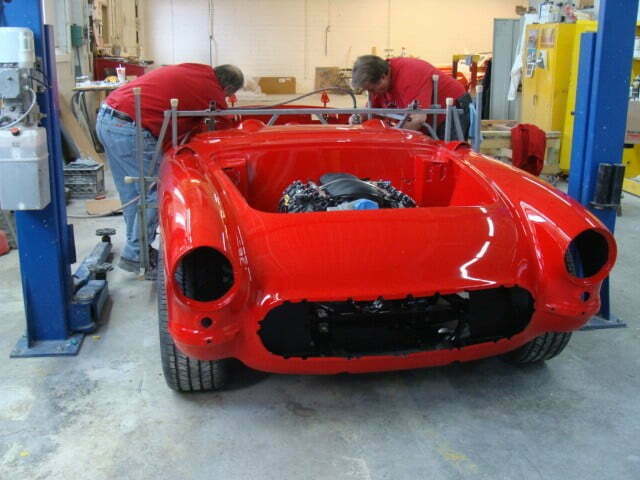 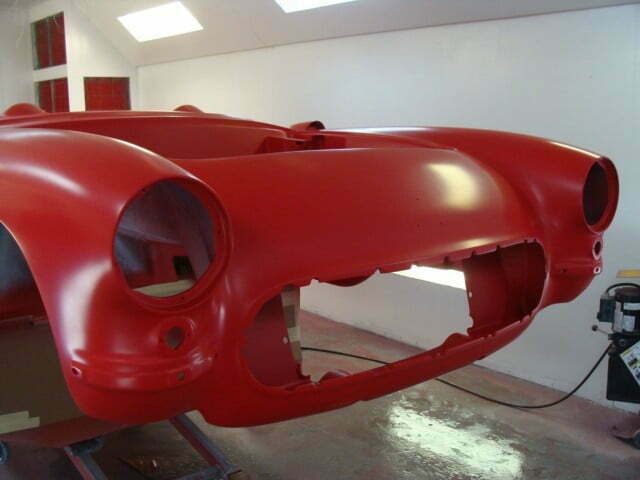 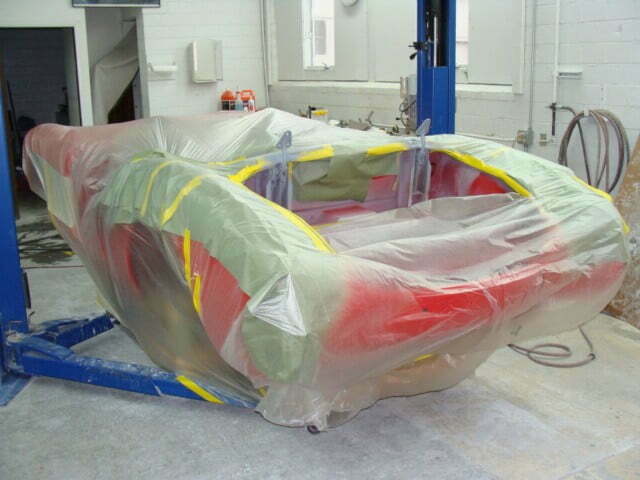 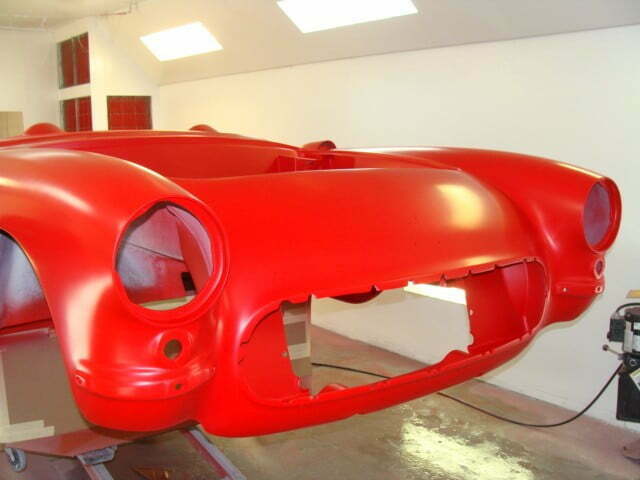 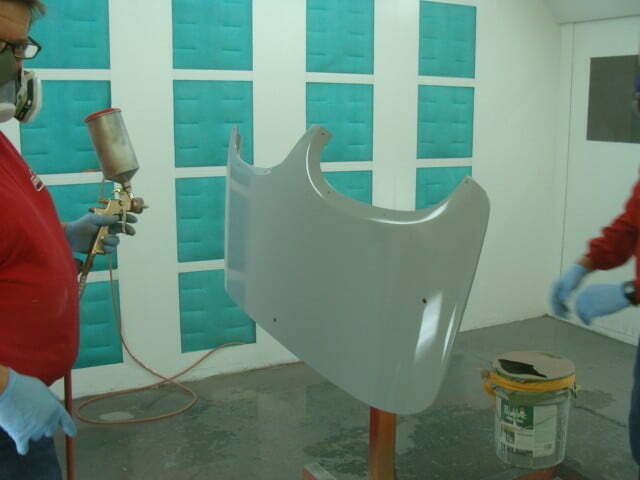 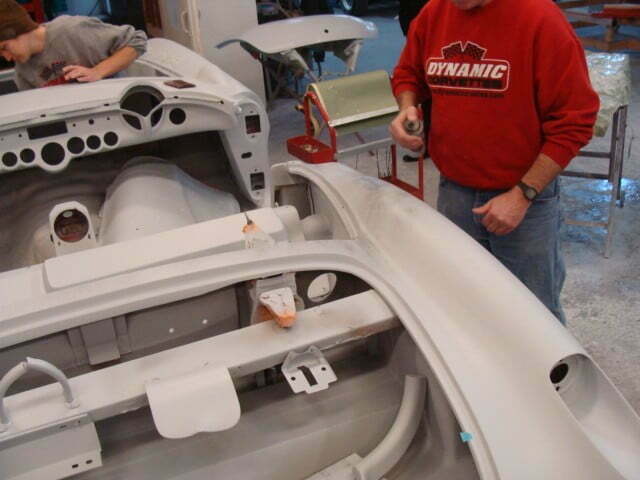 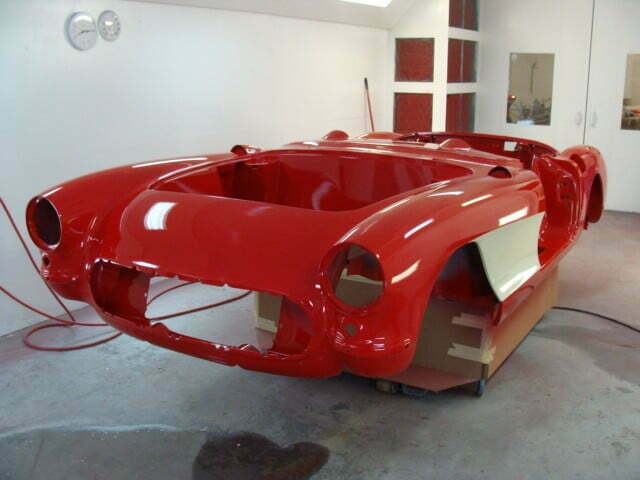 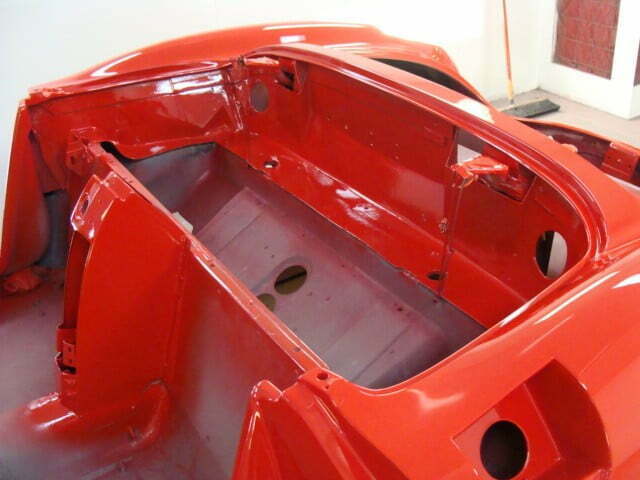 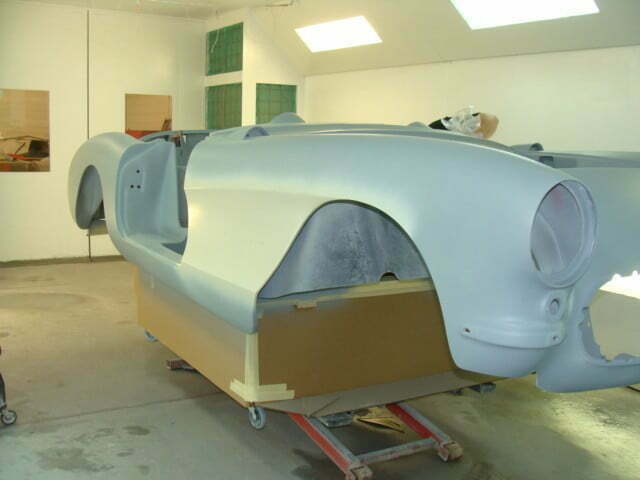 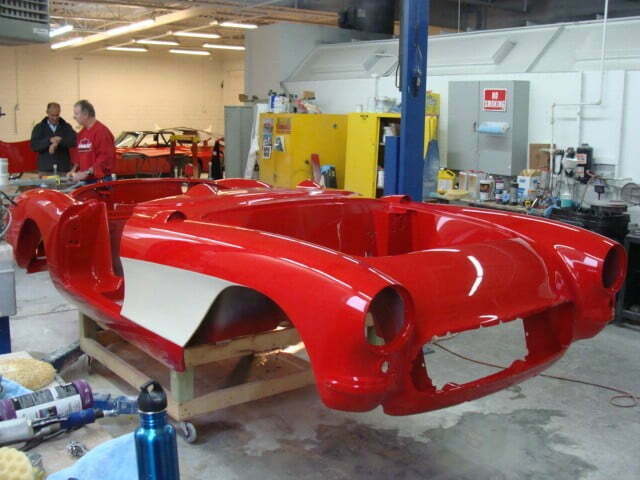 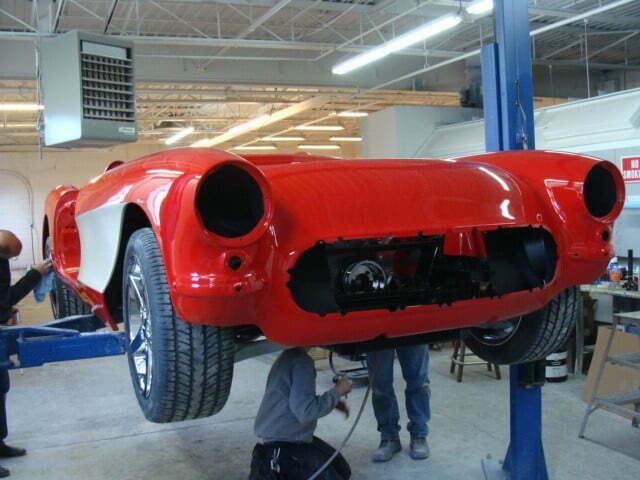 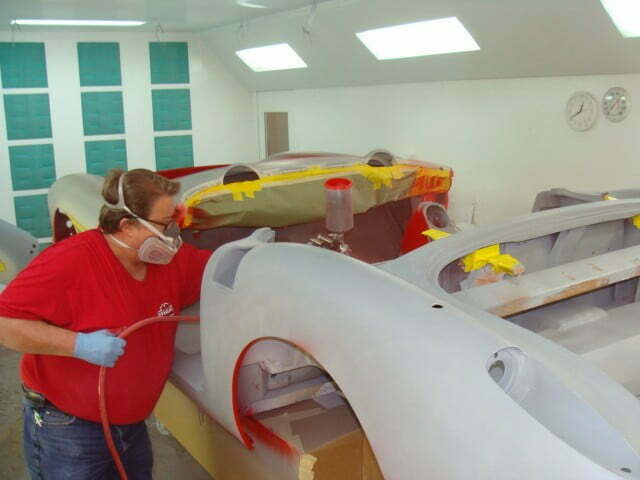 We quickly got to work on the 1956 body stripping all of the old paint and starting to perform body work. 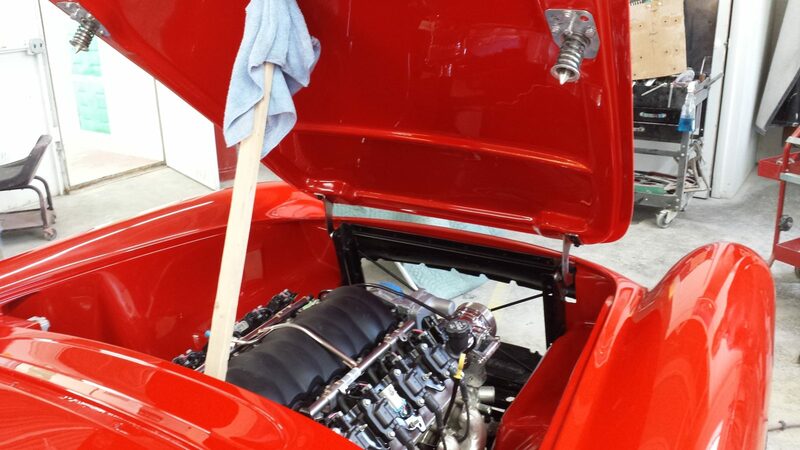 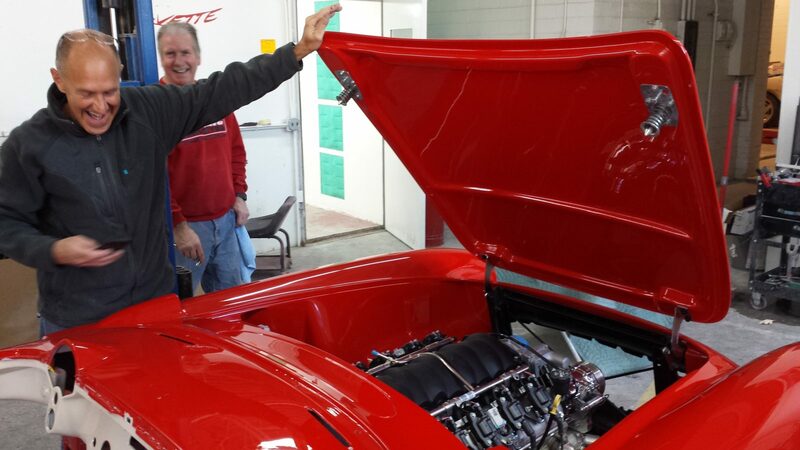 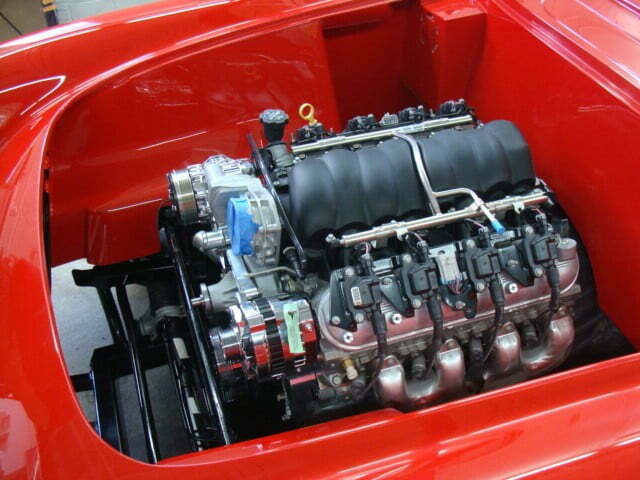 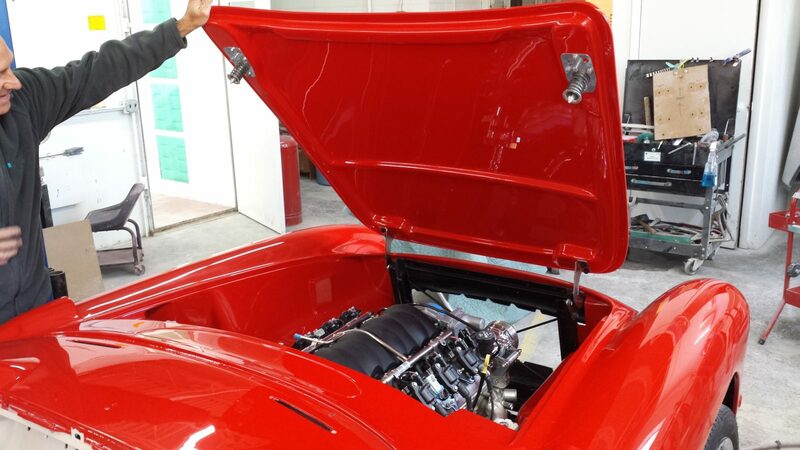 Meanwhile, the owner had the chassis, engine, and transmission all delivered to his home and started to build the chassis during his spare time in his garage. 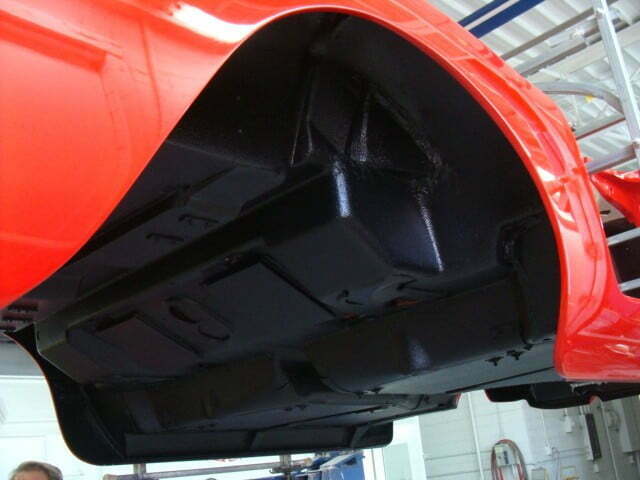 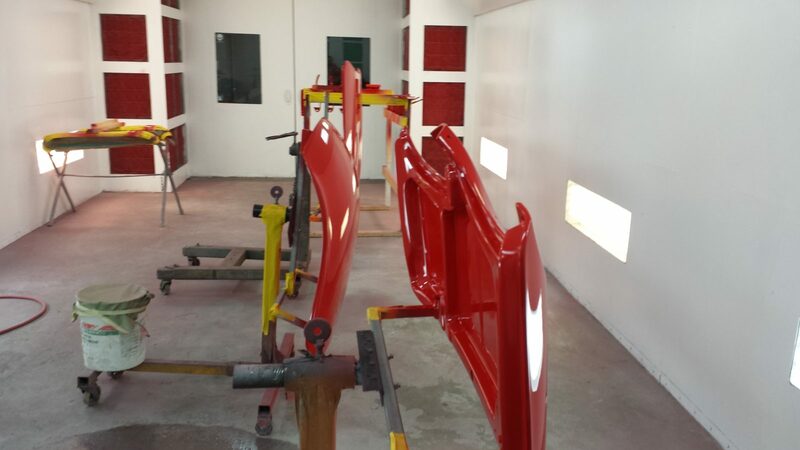 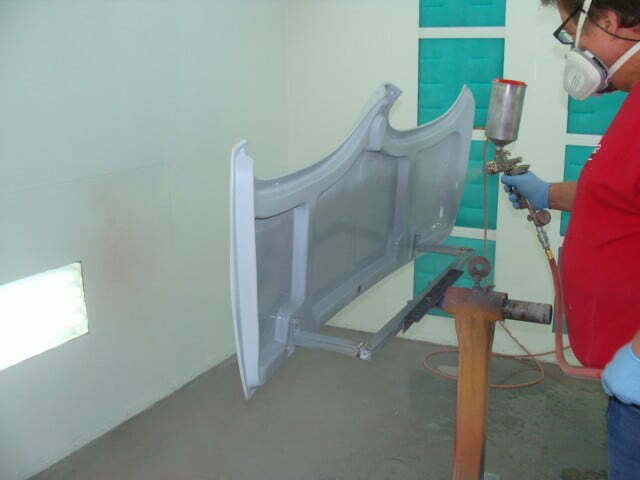 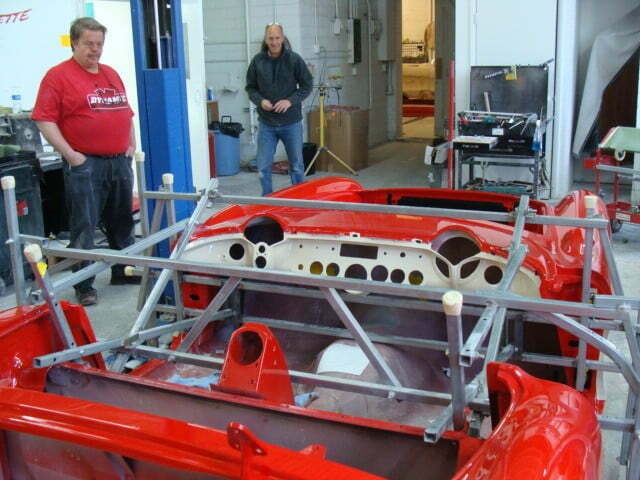 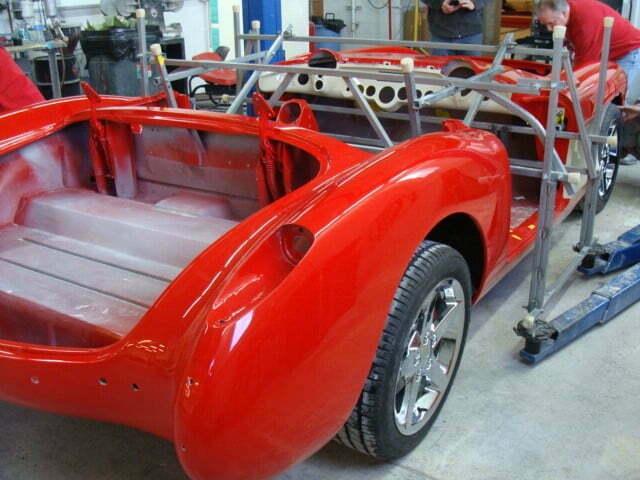 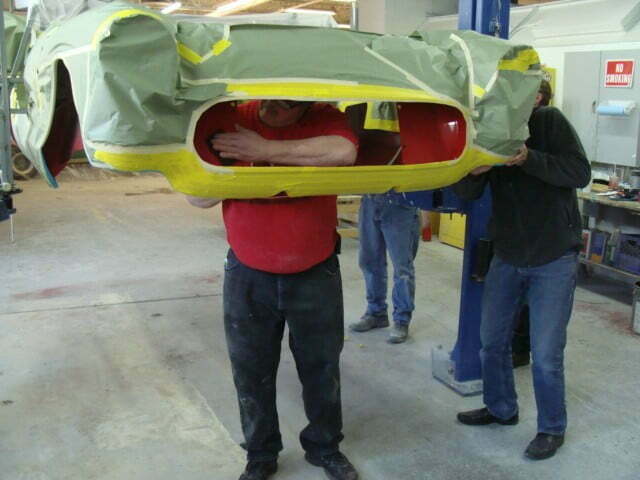 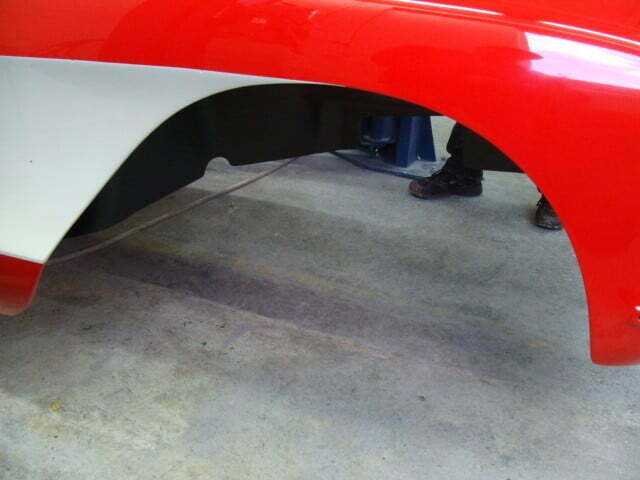 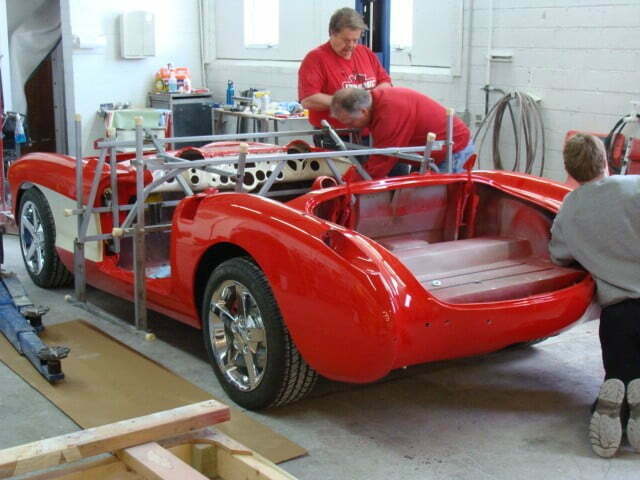 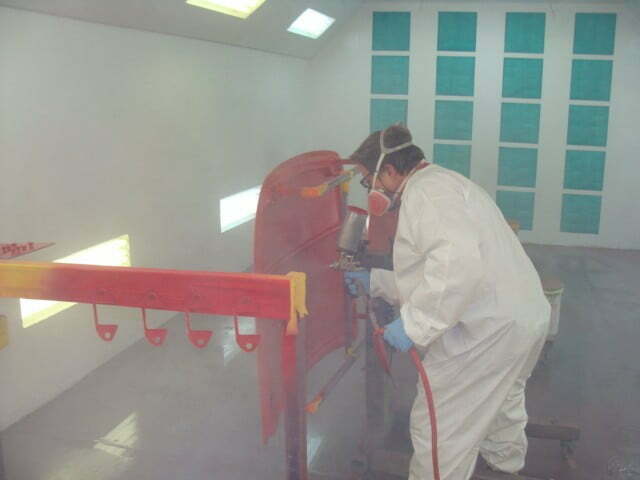 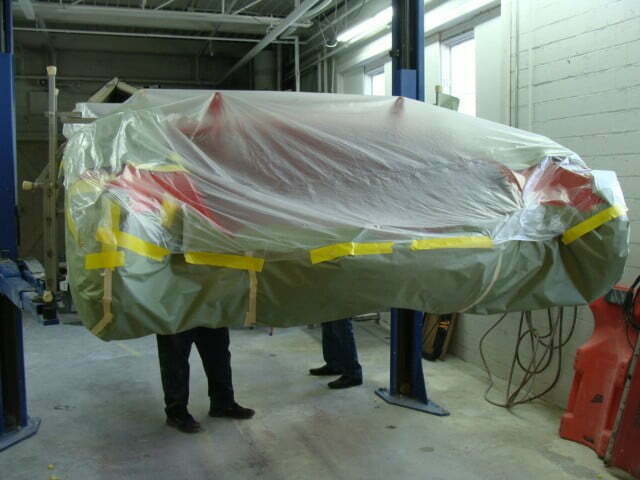 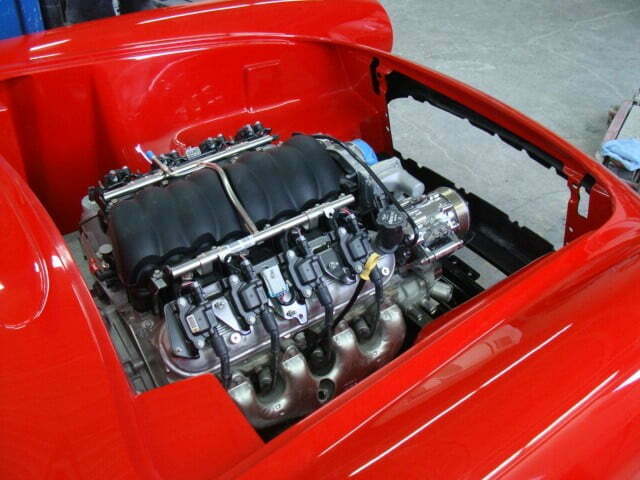 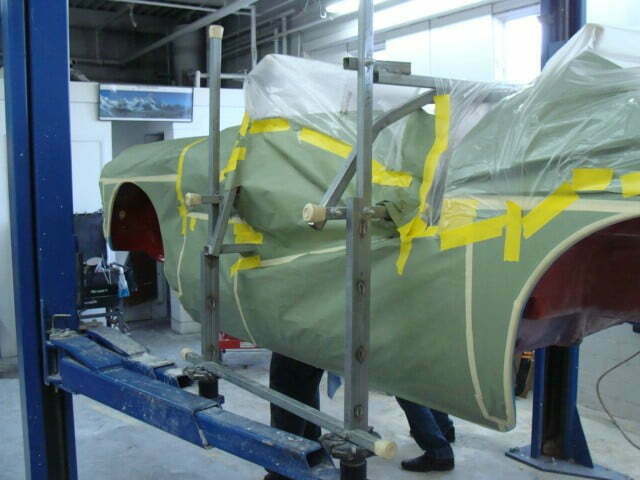 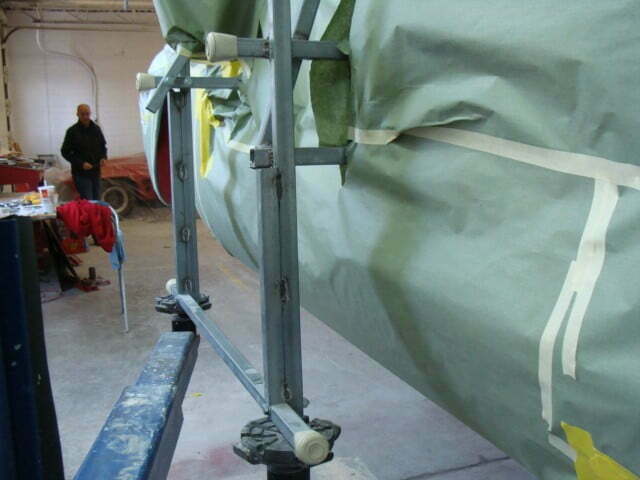 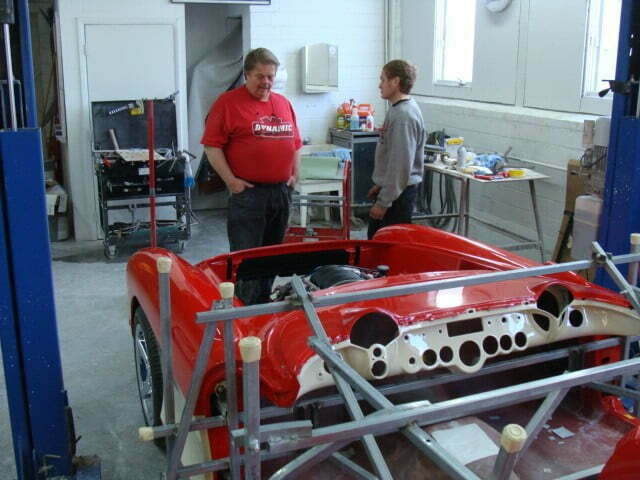 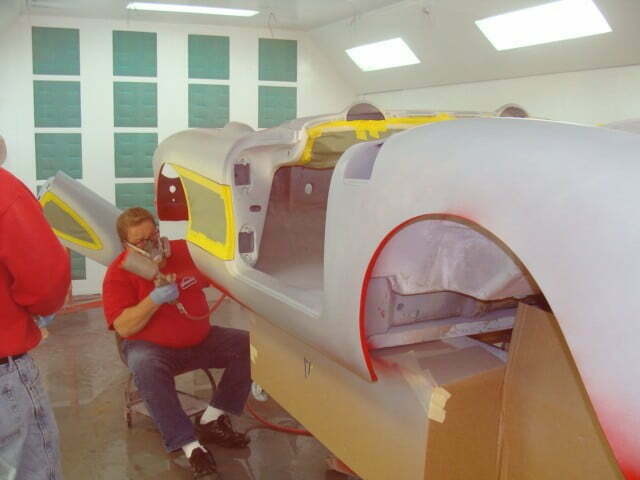 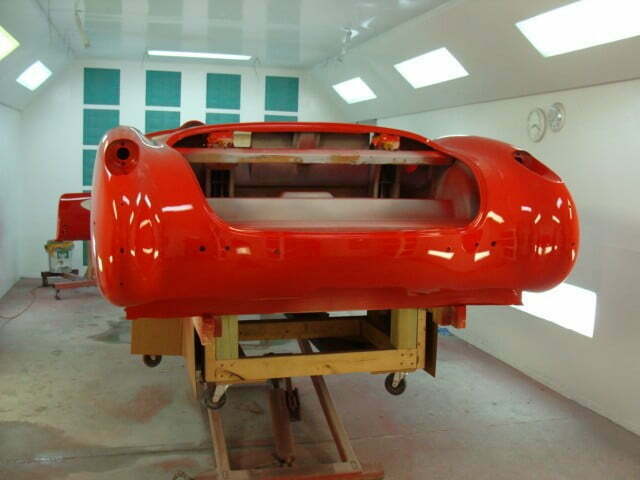 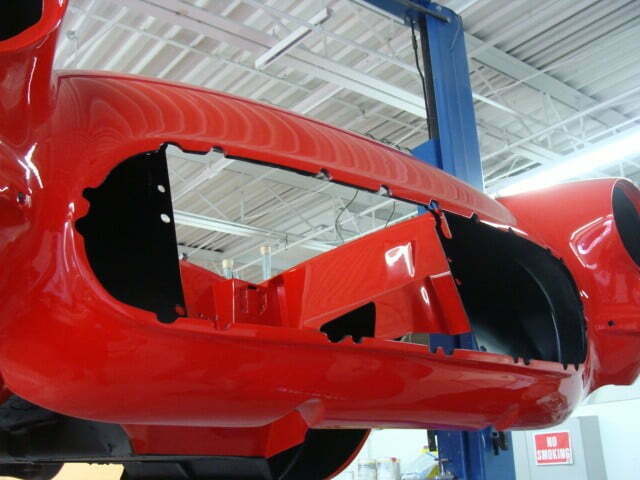 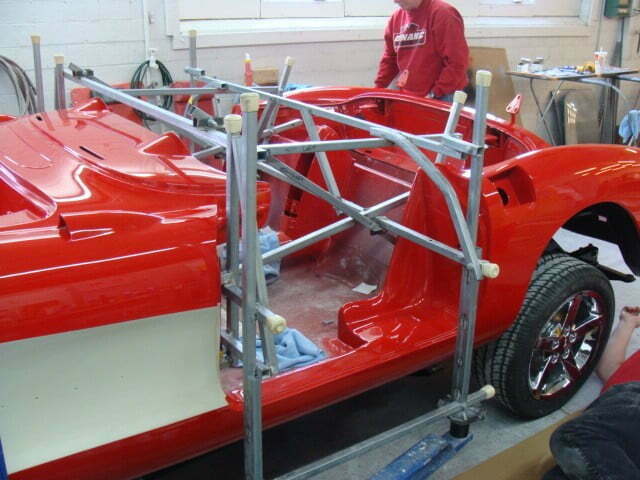 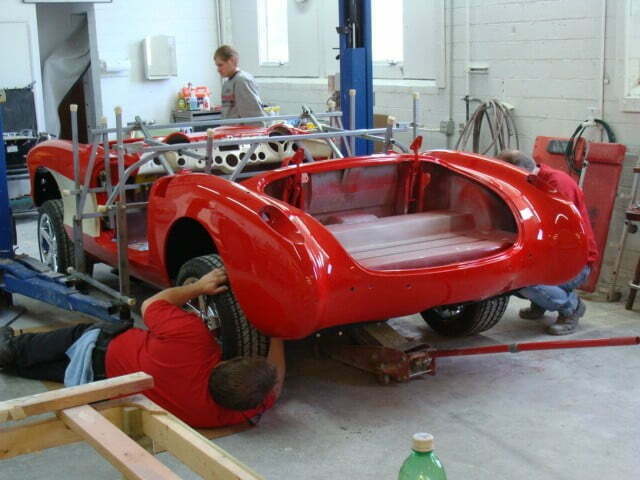 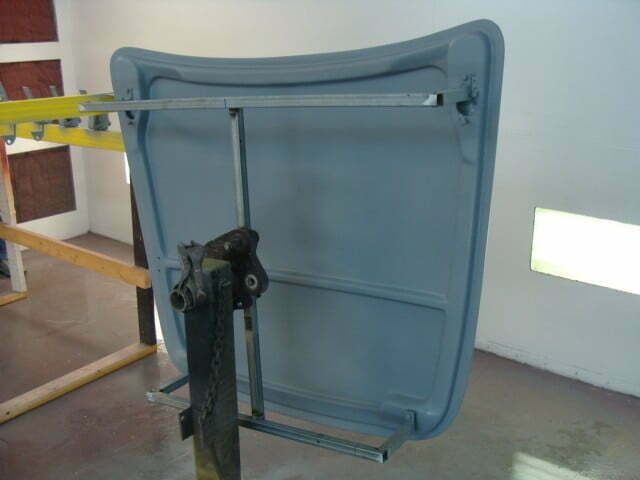 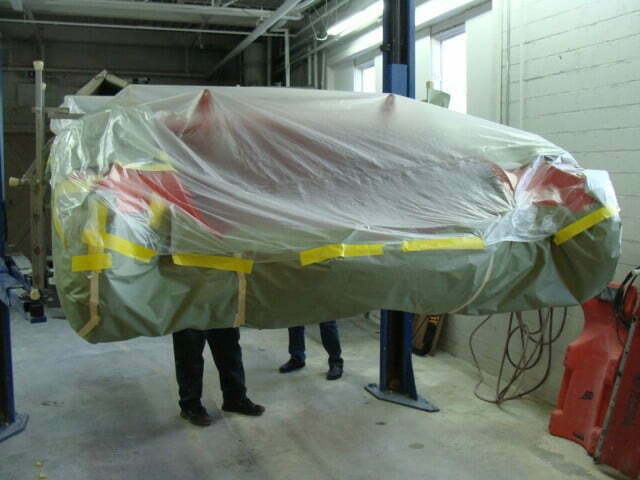 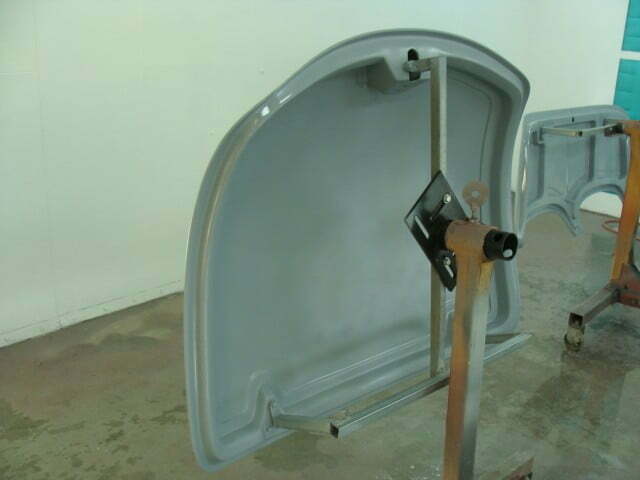 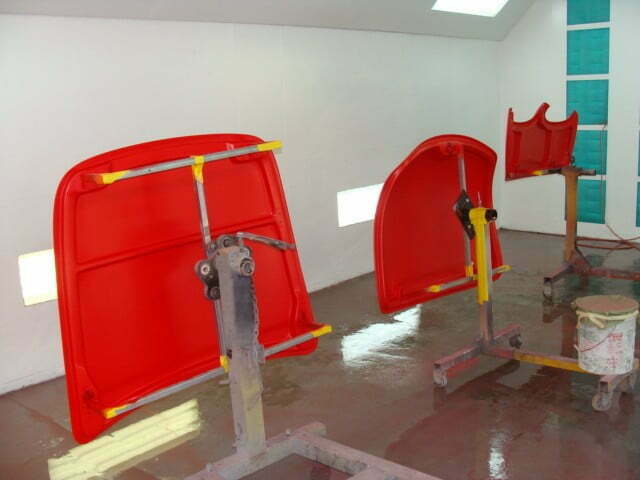 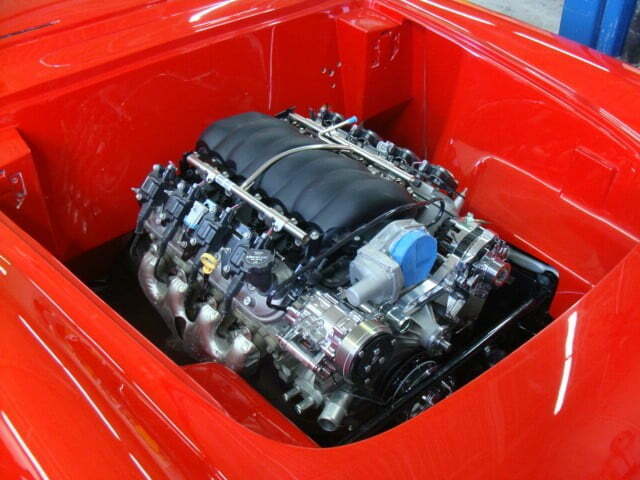 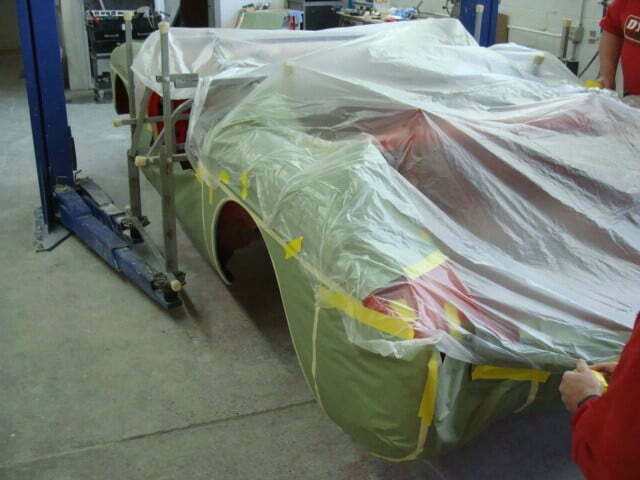 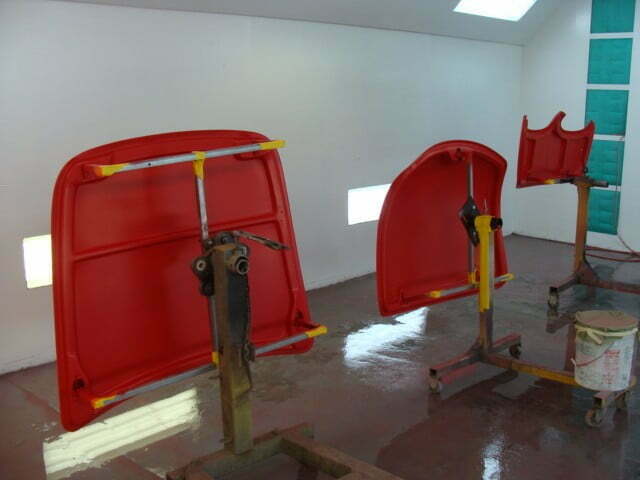 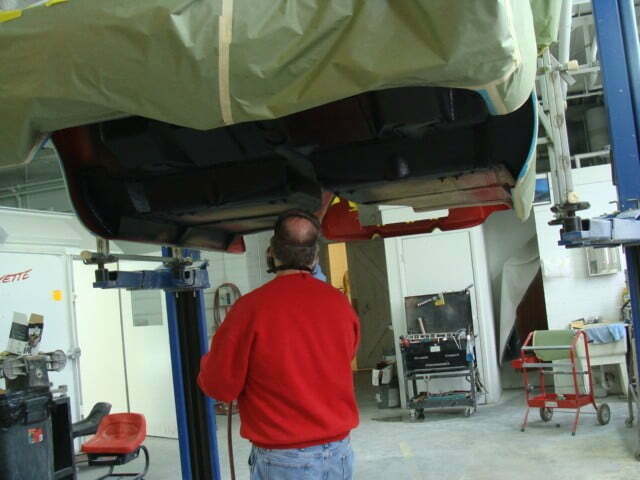 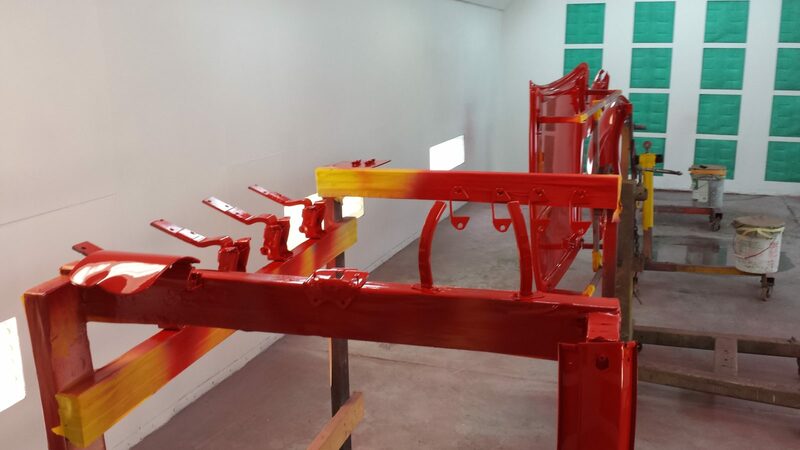 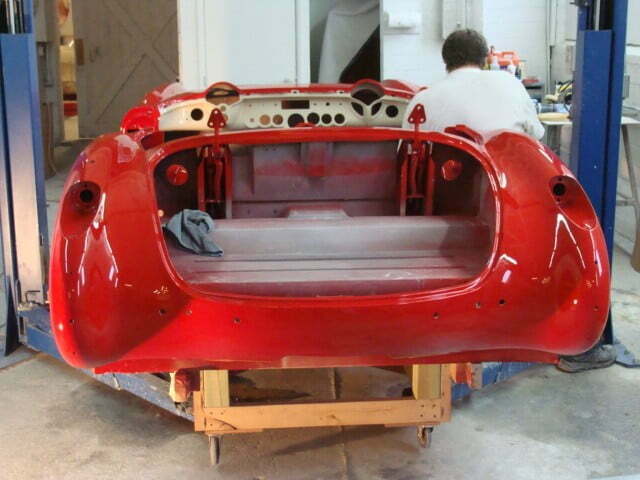 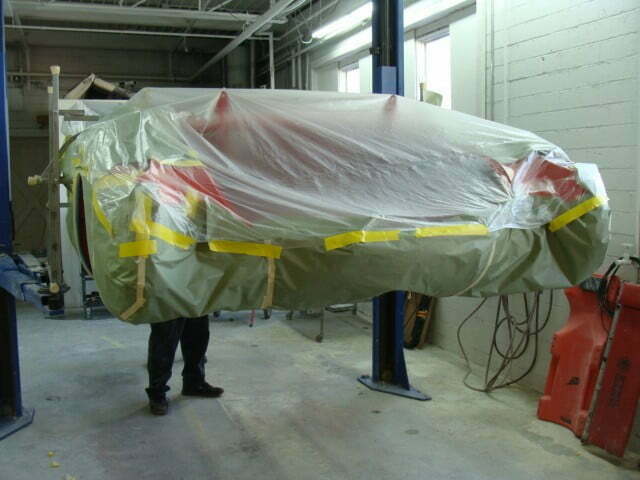 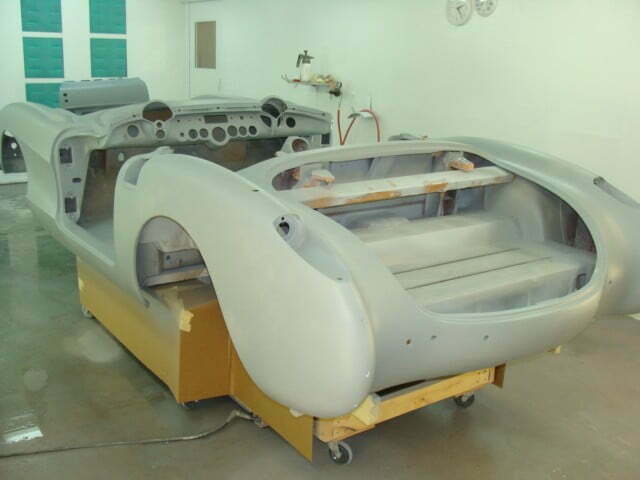 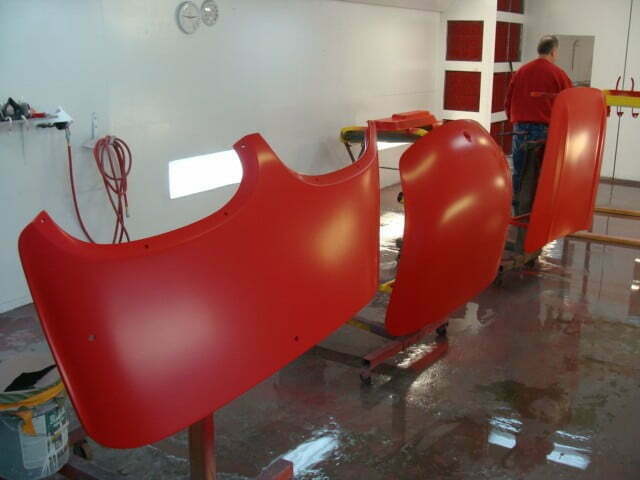 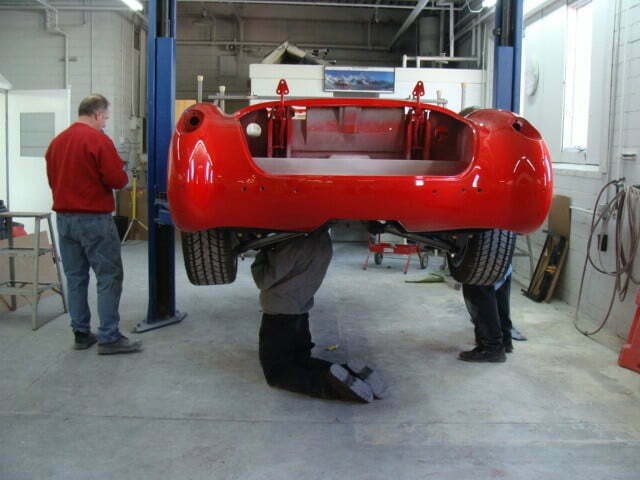 Once the chassis was completed, he had it transported to our shop while we continued to perfect the body. 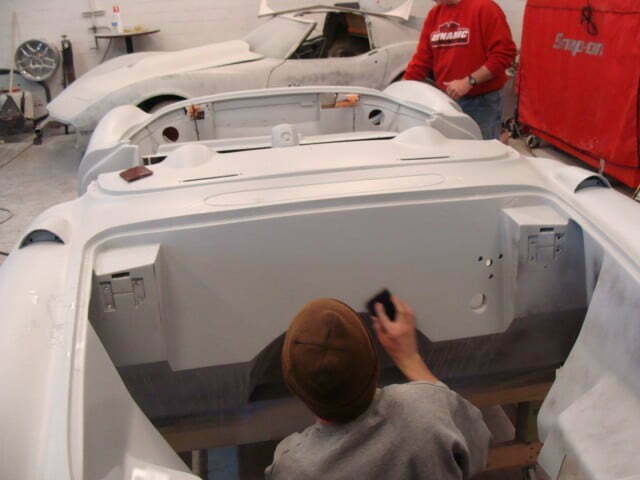 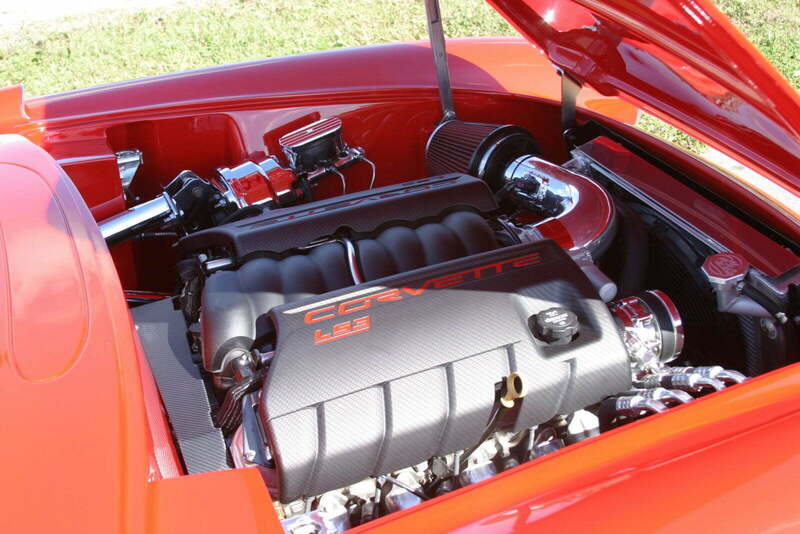 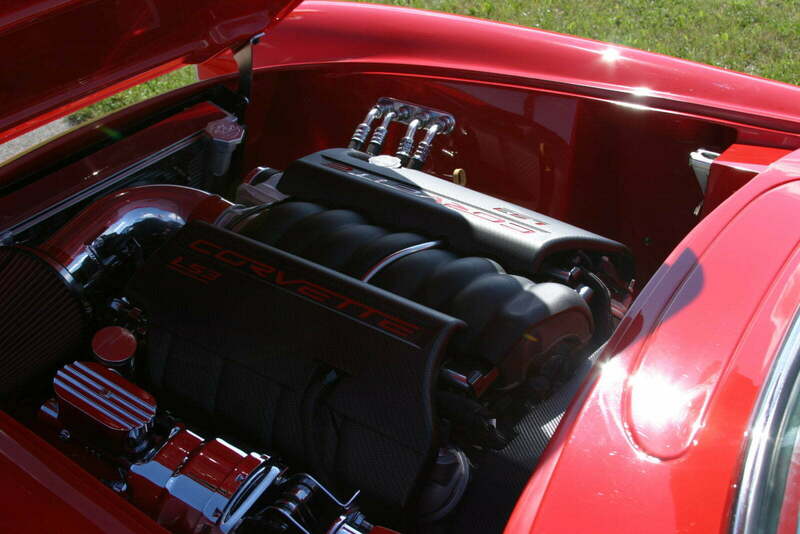 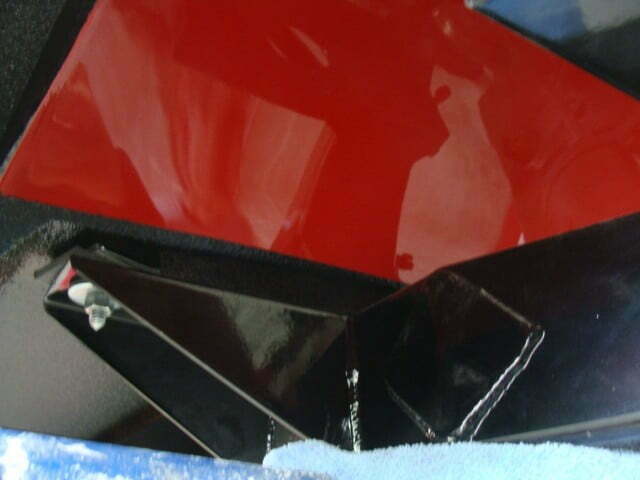 We had our hands all over that car until we were completely satisfied. 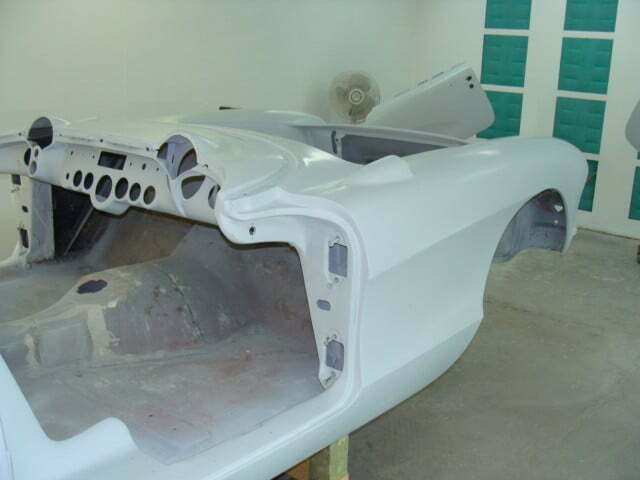 Applied 2 coats of primer, wet sanded the entire body, and applied our coats of base and clear, followed by more wet sanding.